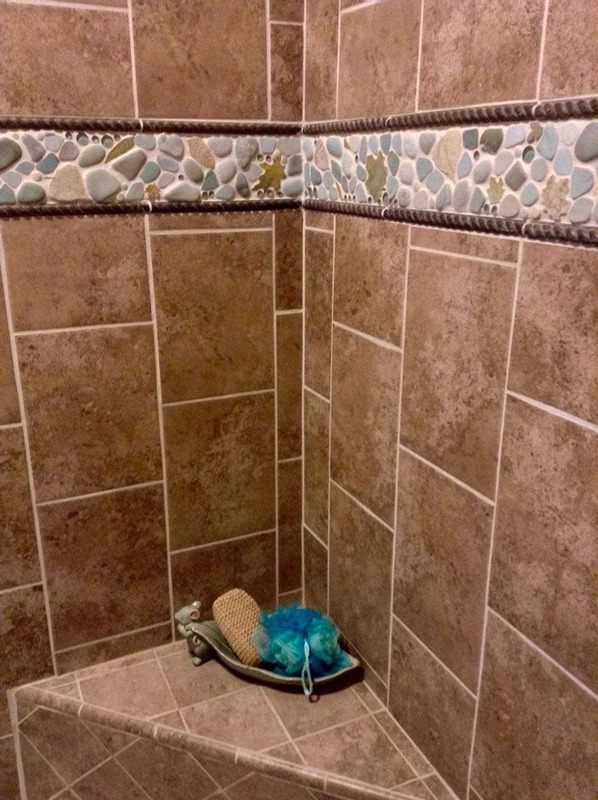 Please view our photo galleries for ideas and inspiration, showing installations in a wide variety of spaces, including floors, walls, wet and high heat applications. 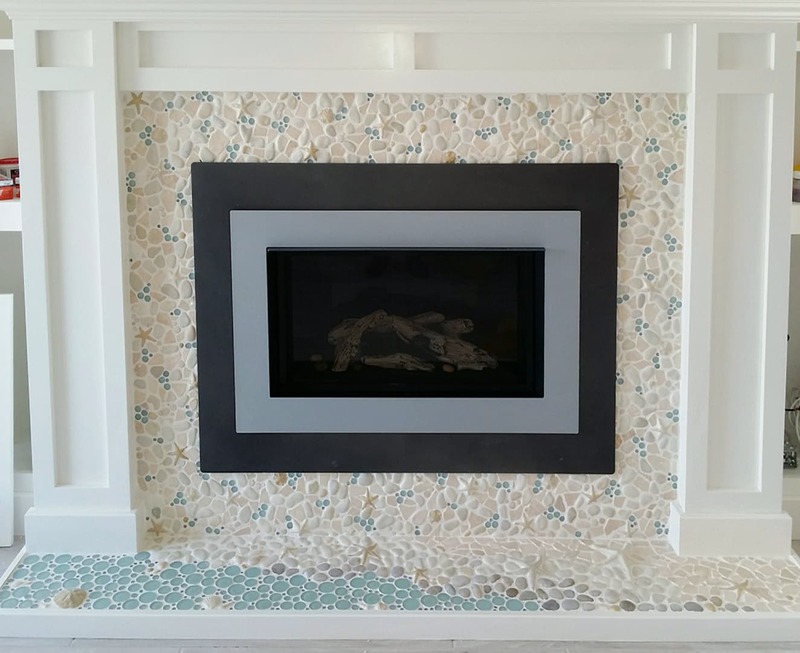 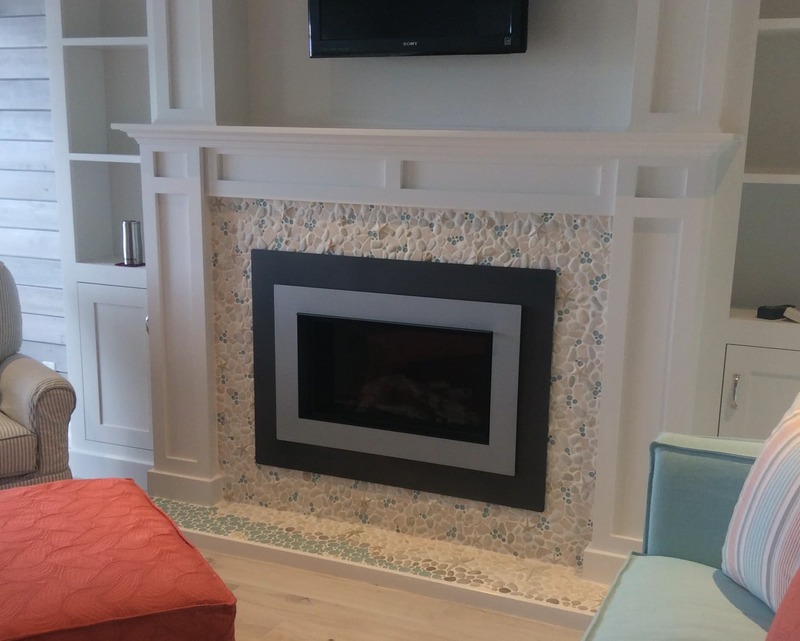 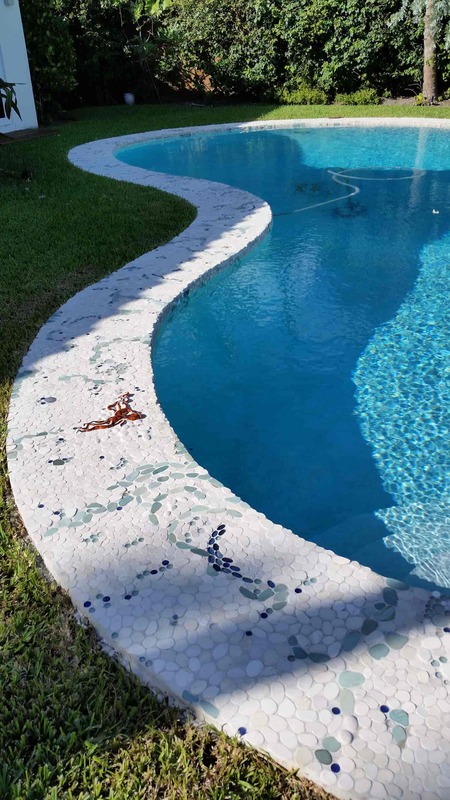 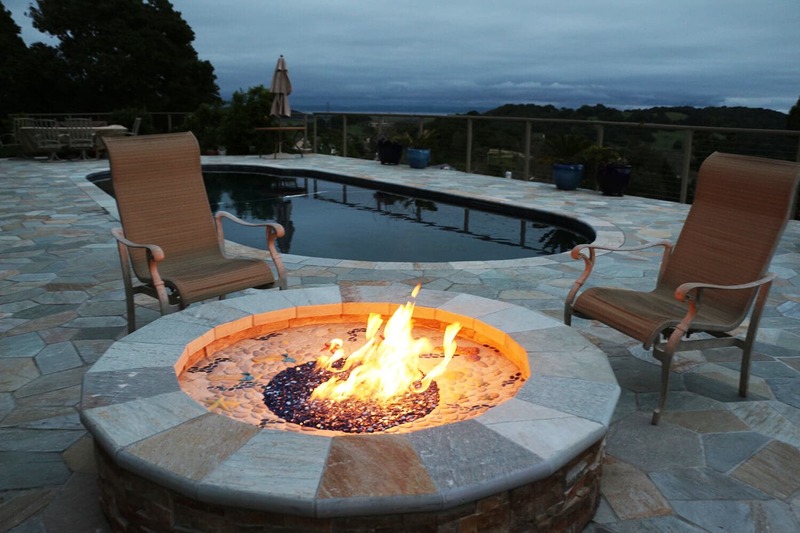 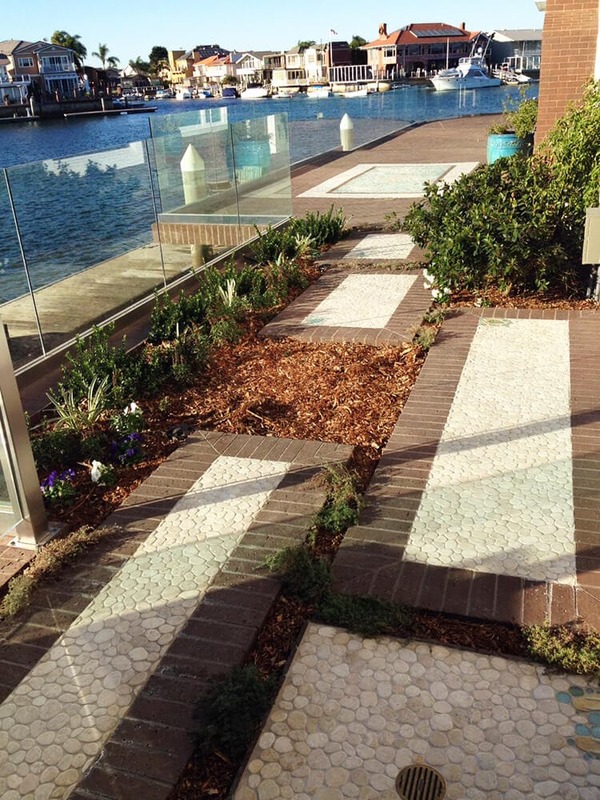 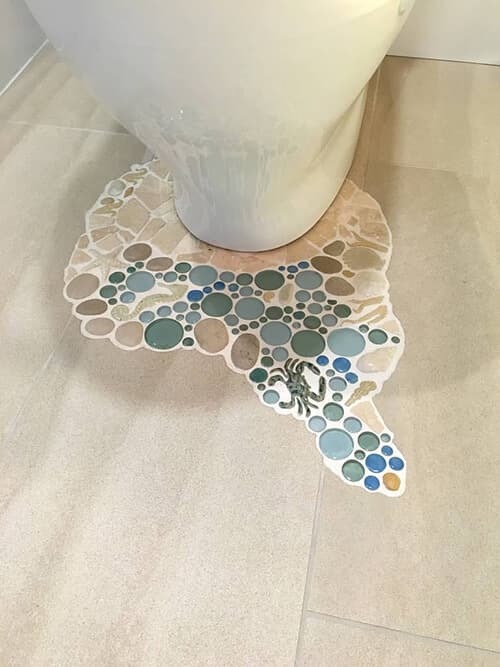 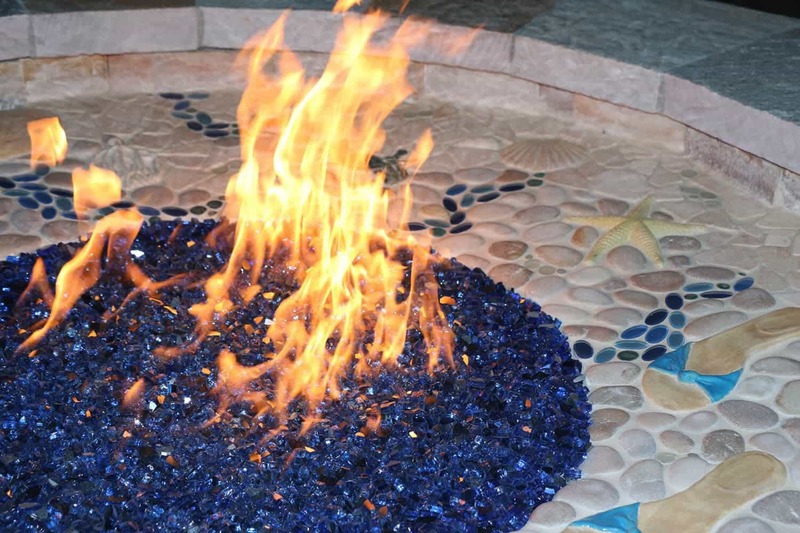 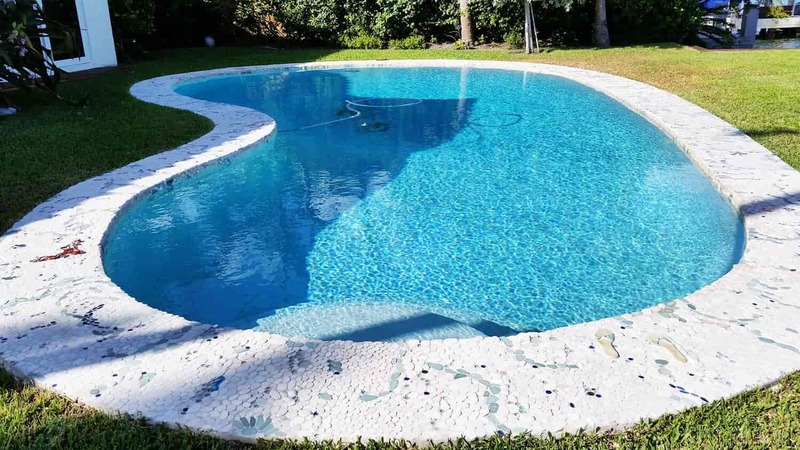 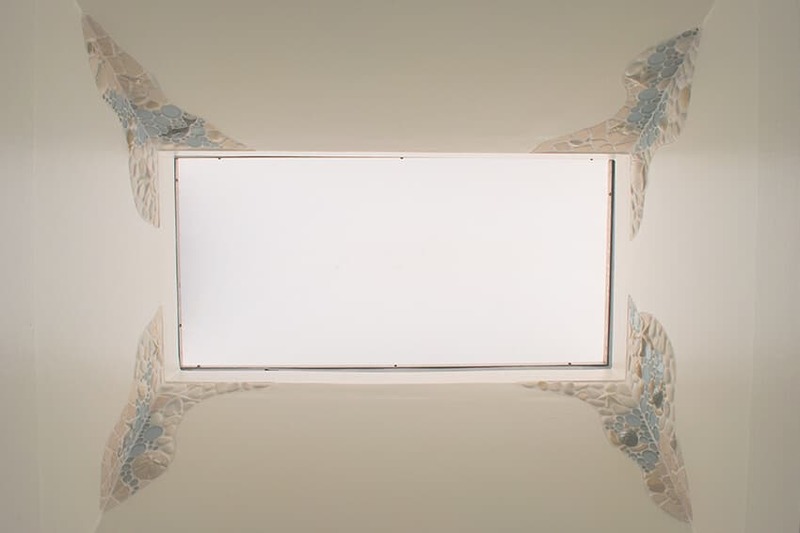 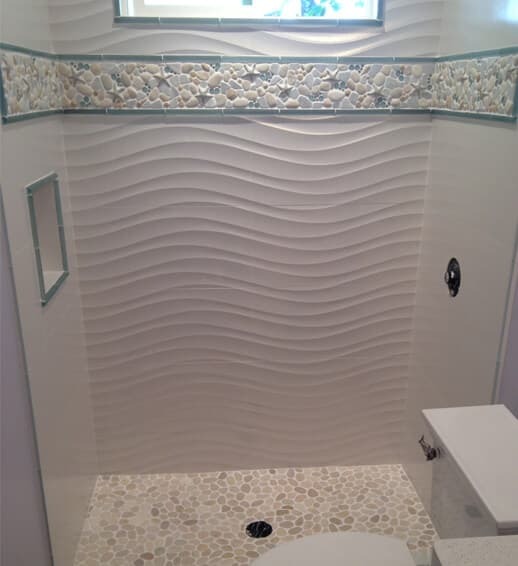 We love sharing the unique designs we have created, so please enjoy this selection of installations. 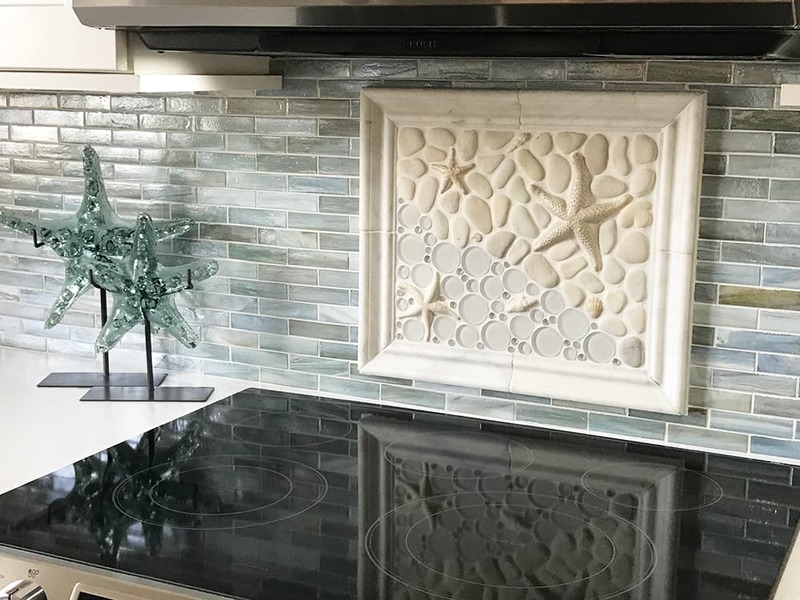 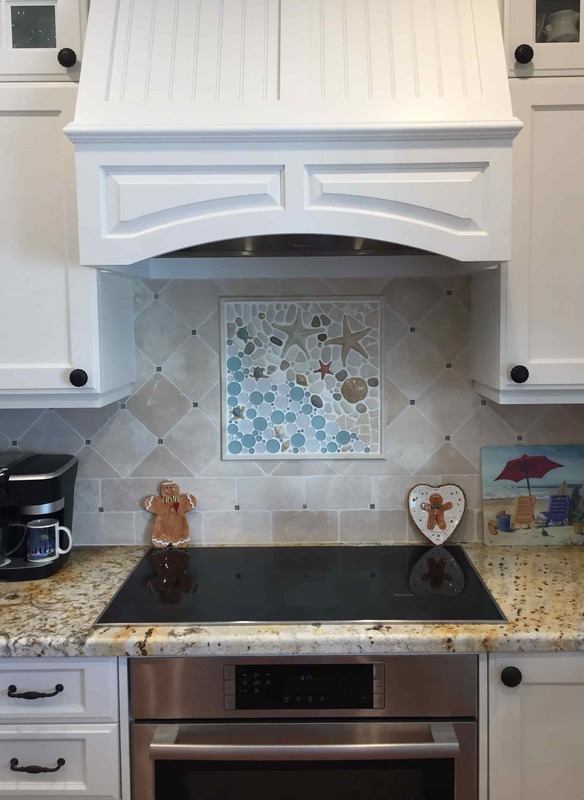 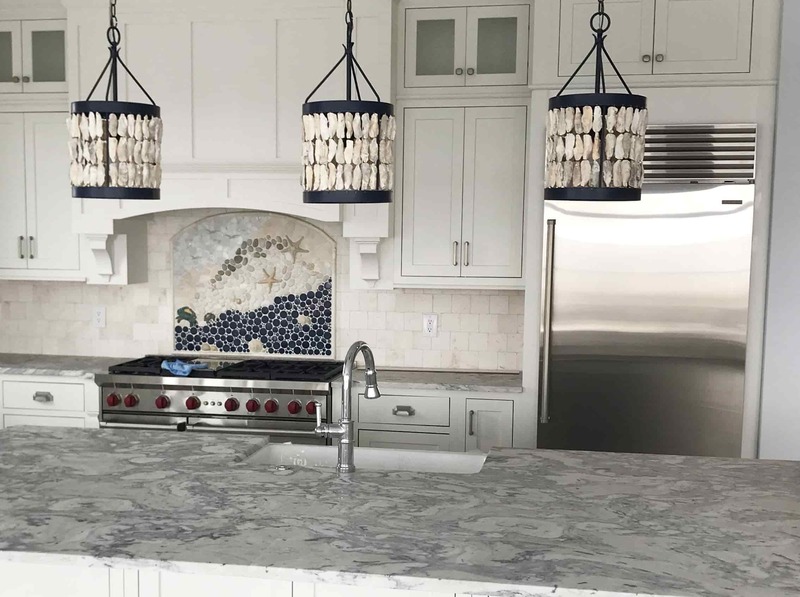 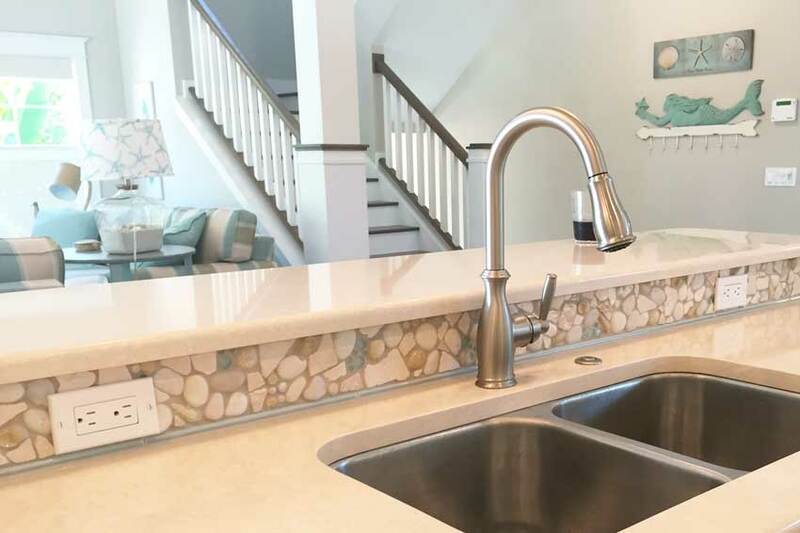 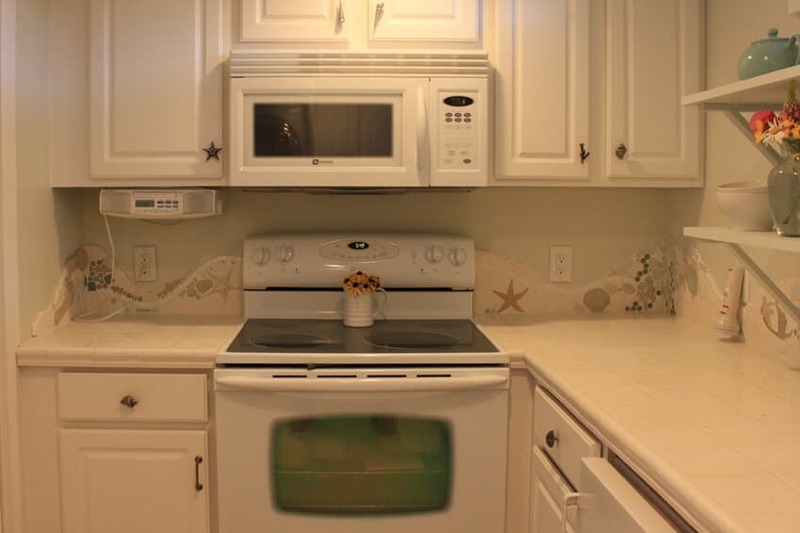 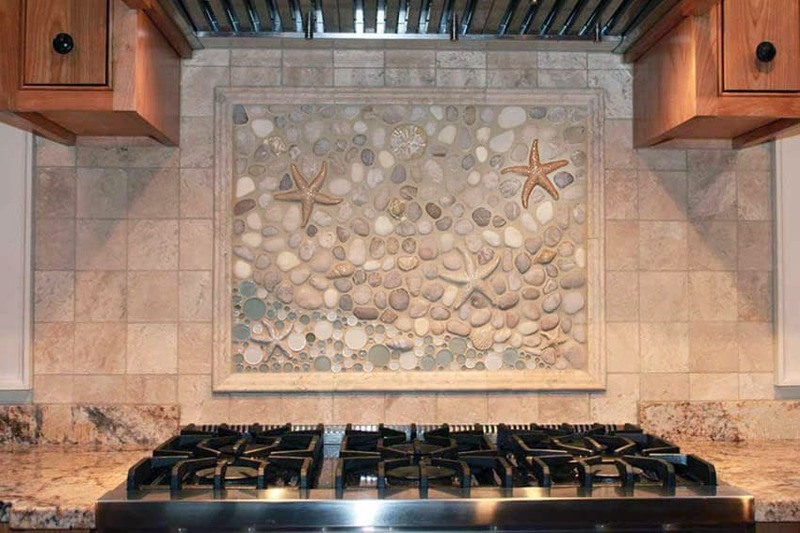 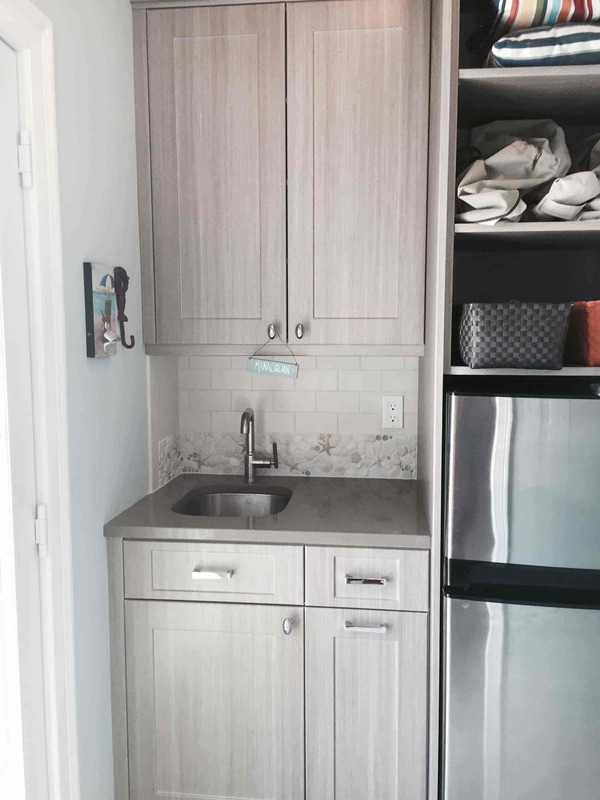 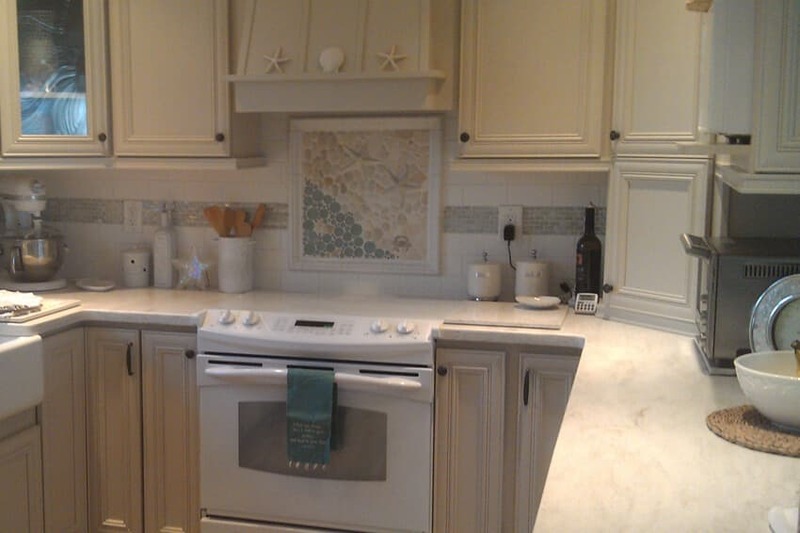 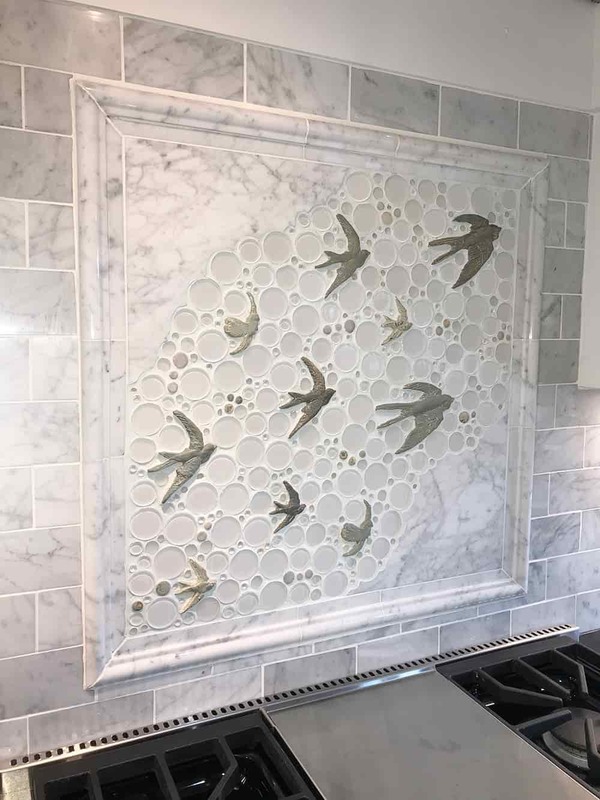 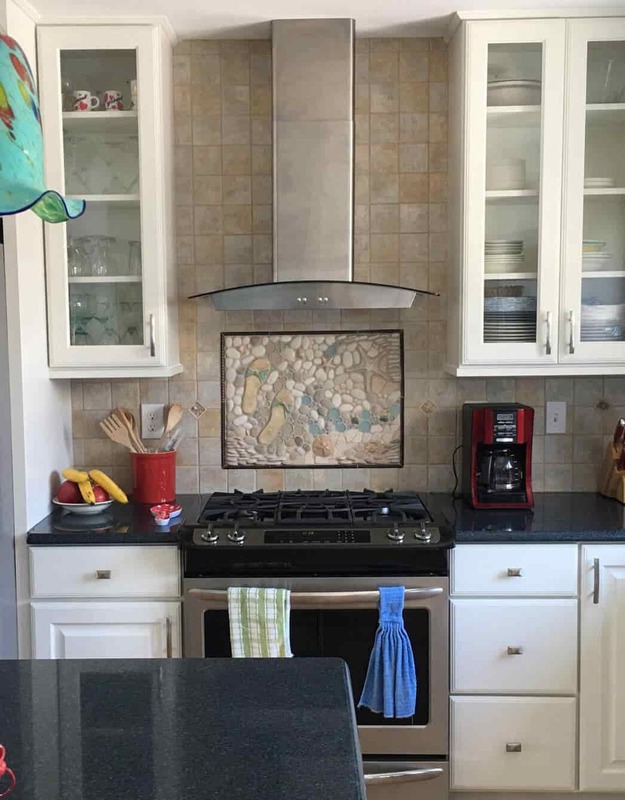 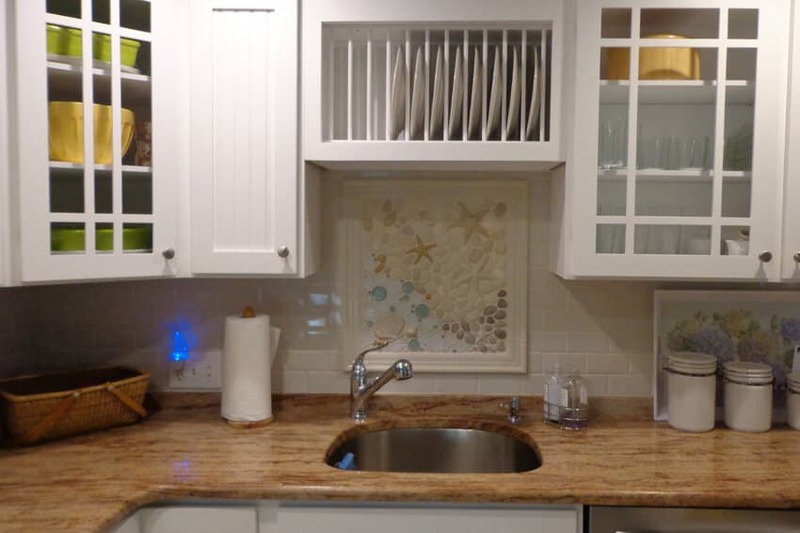 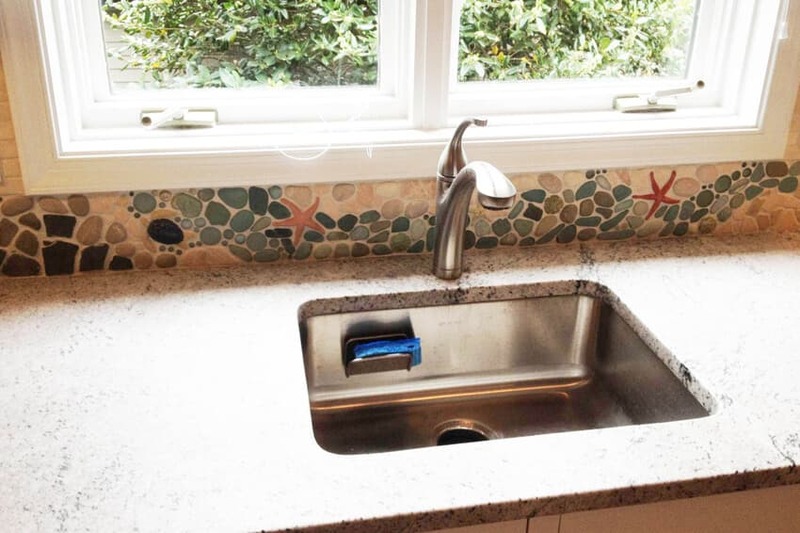 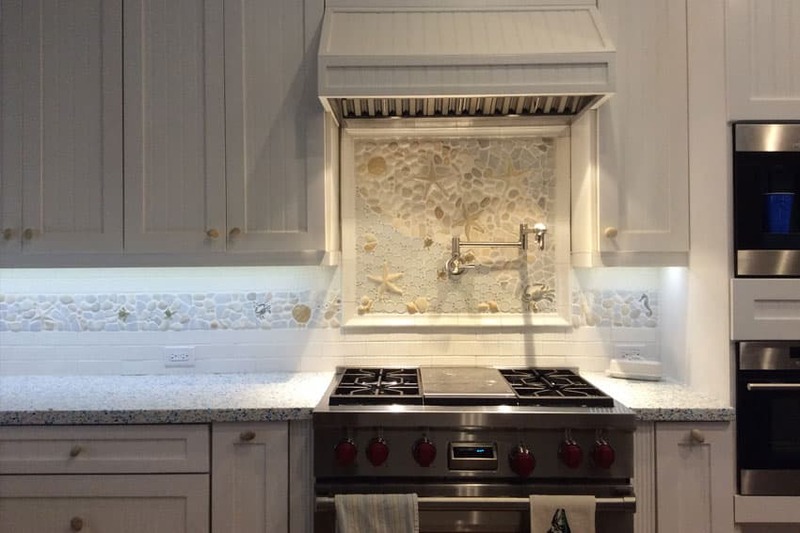 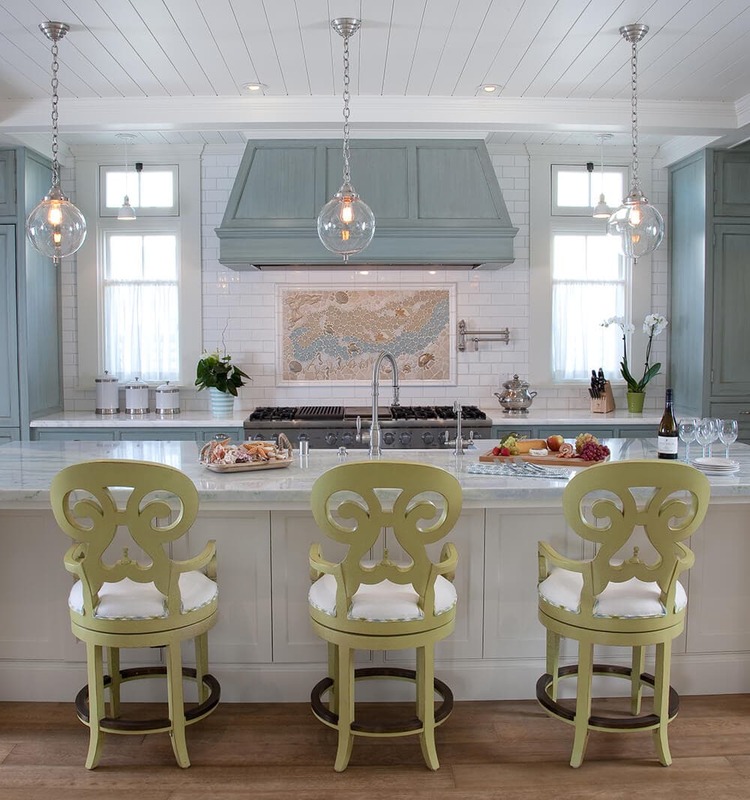 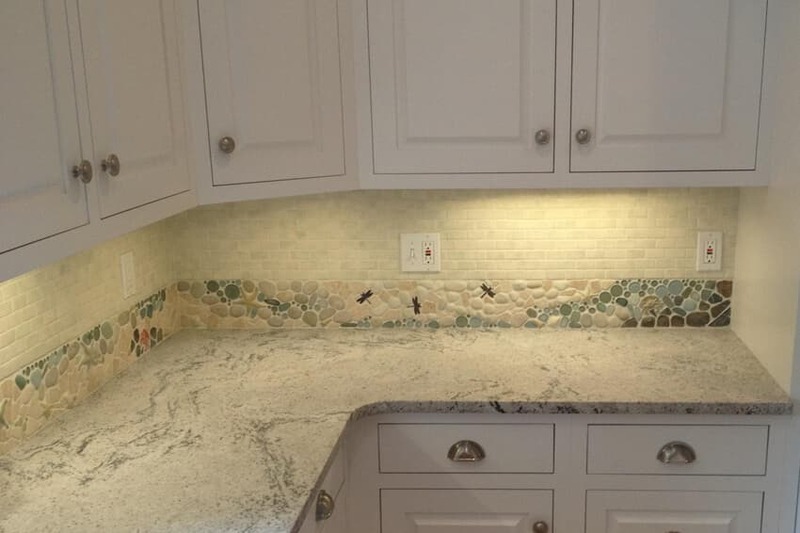 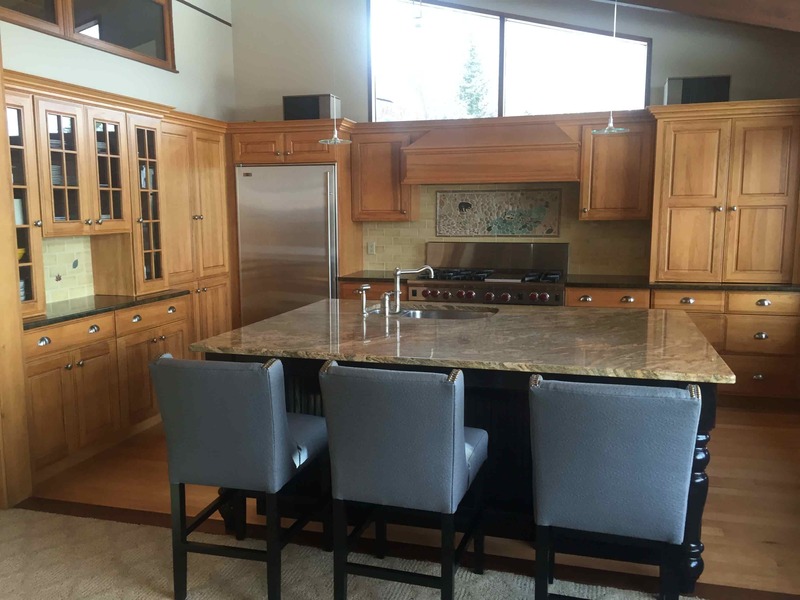 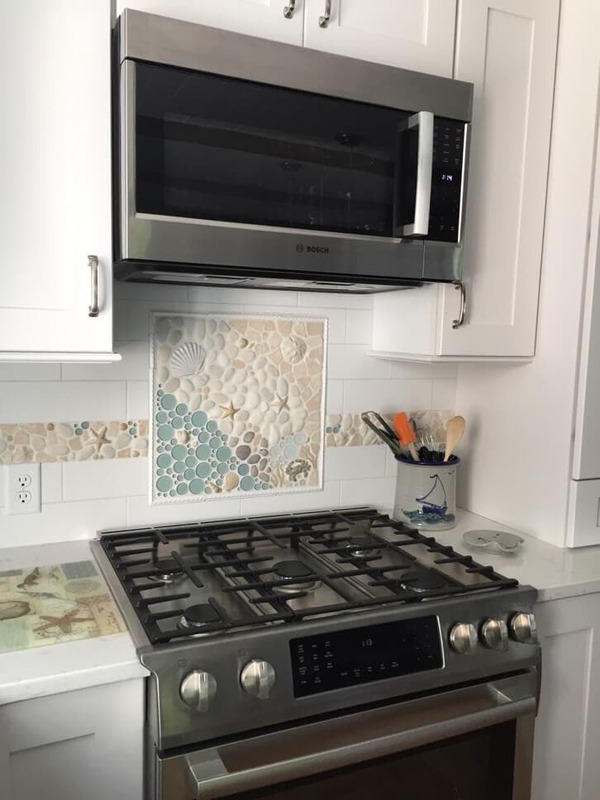 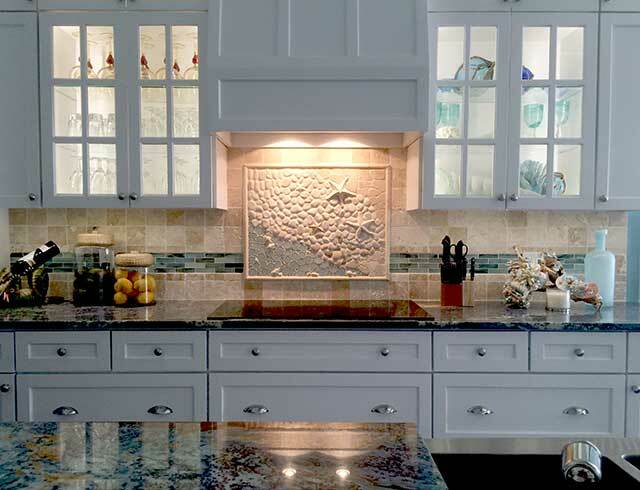 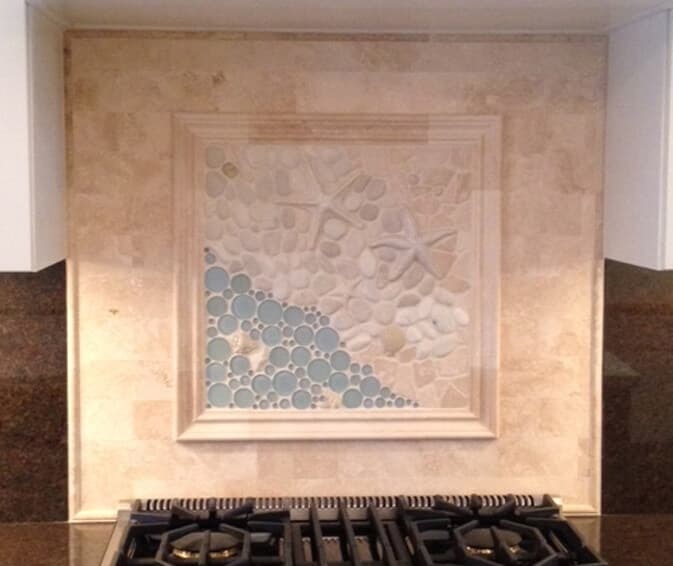 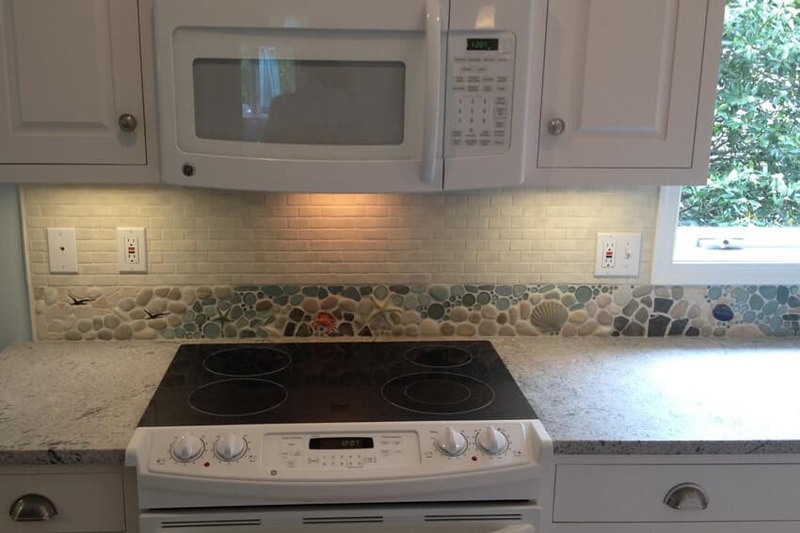 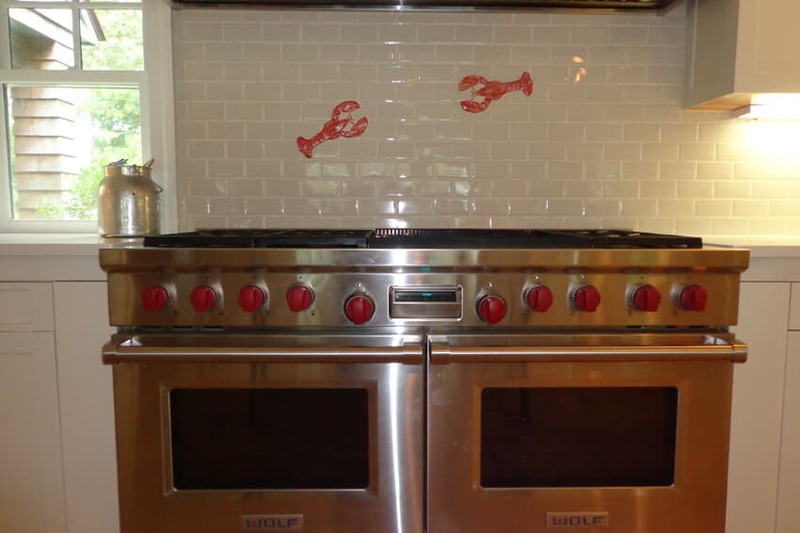 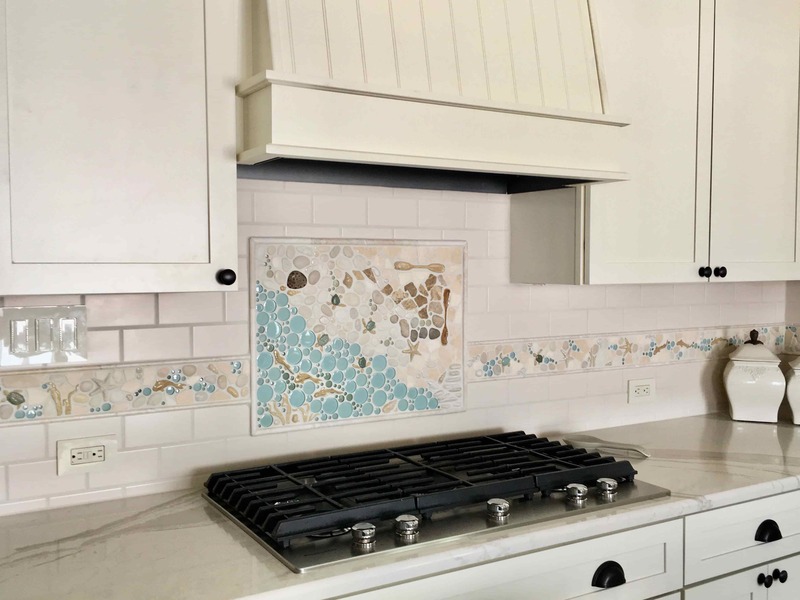 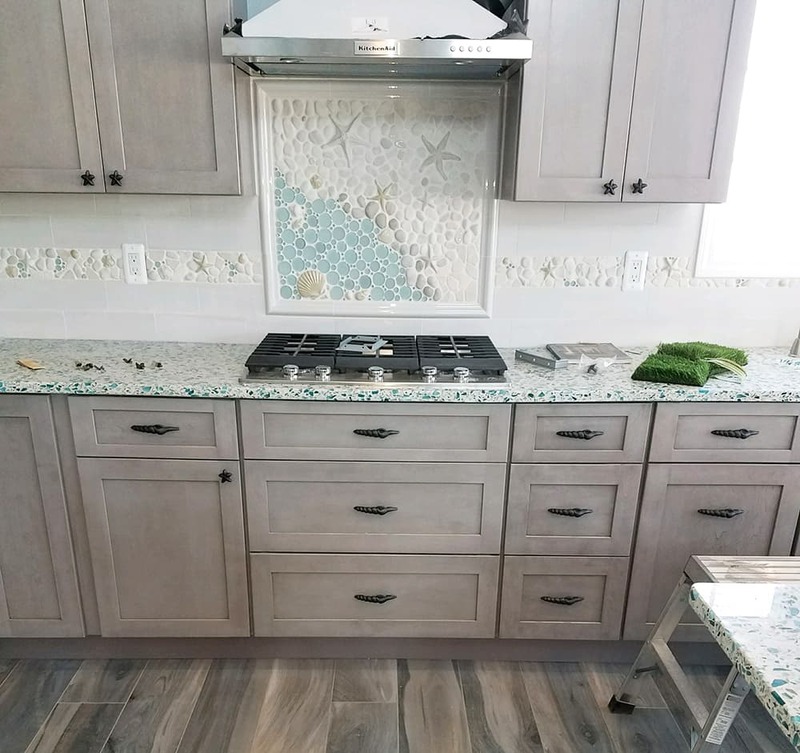 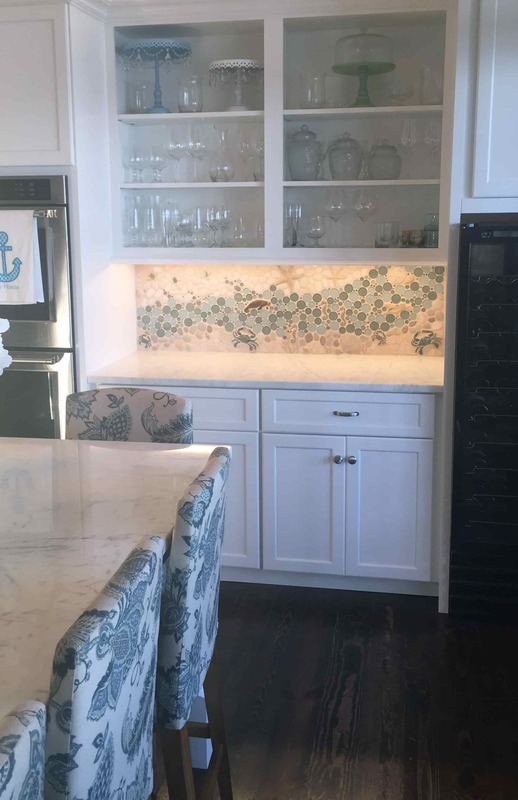 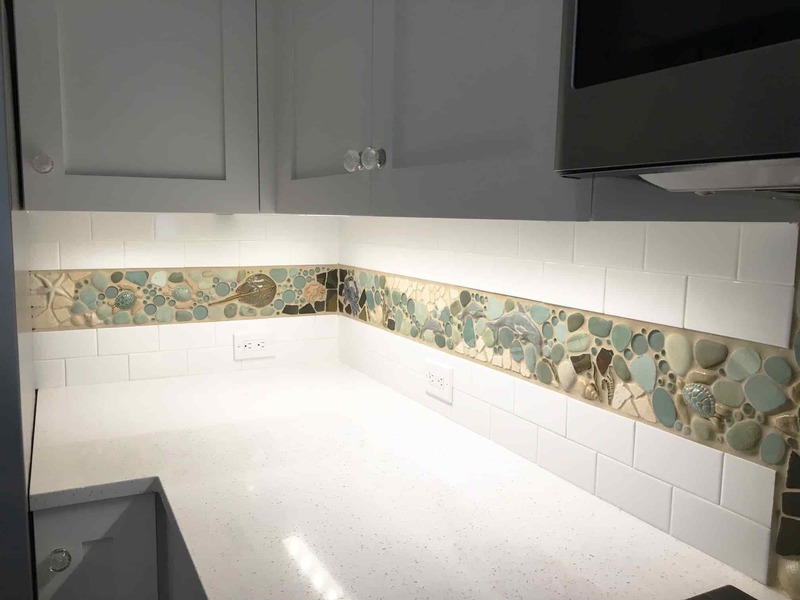 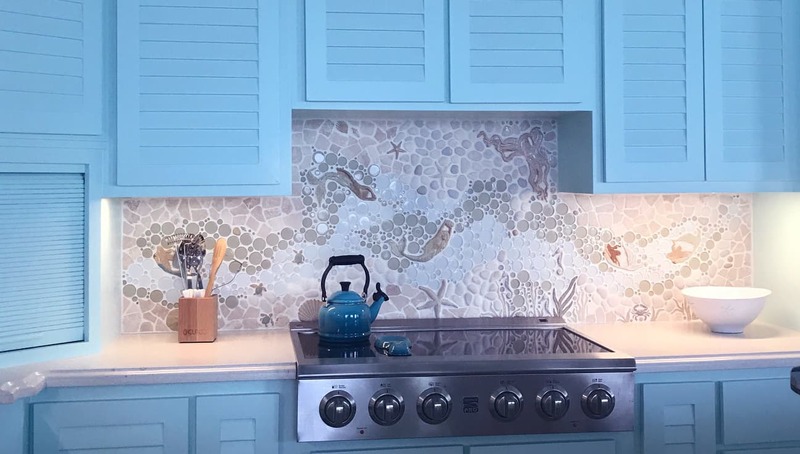 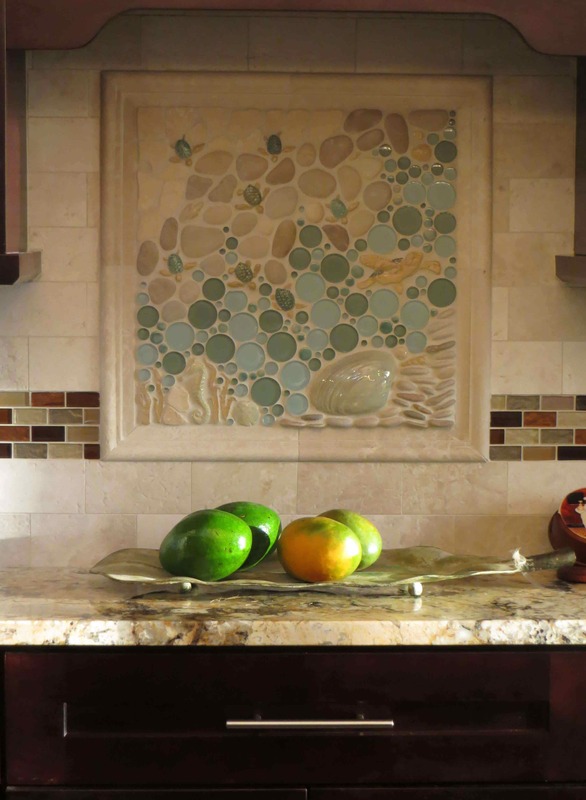 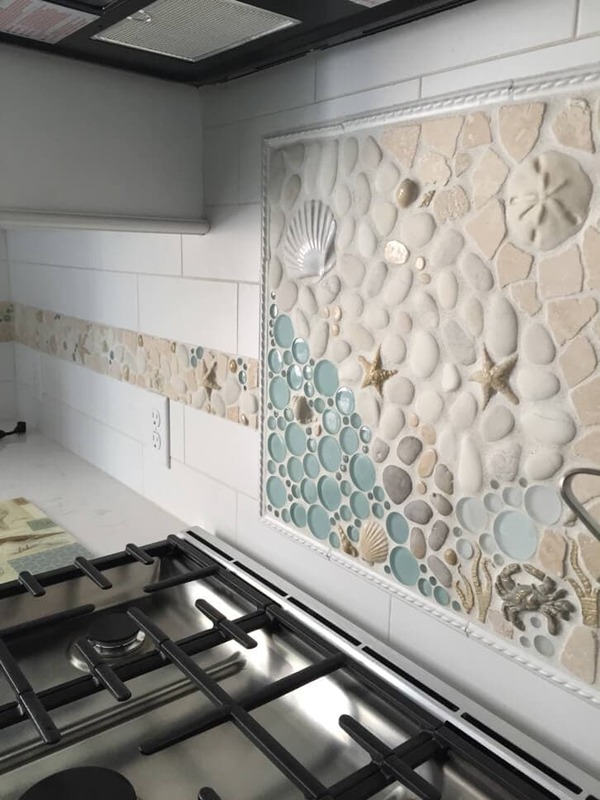 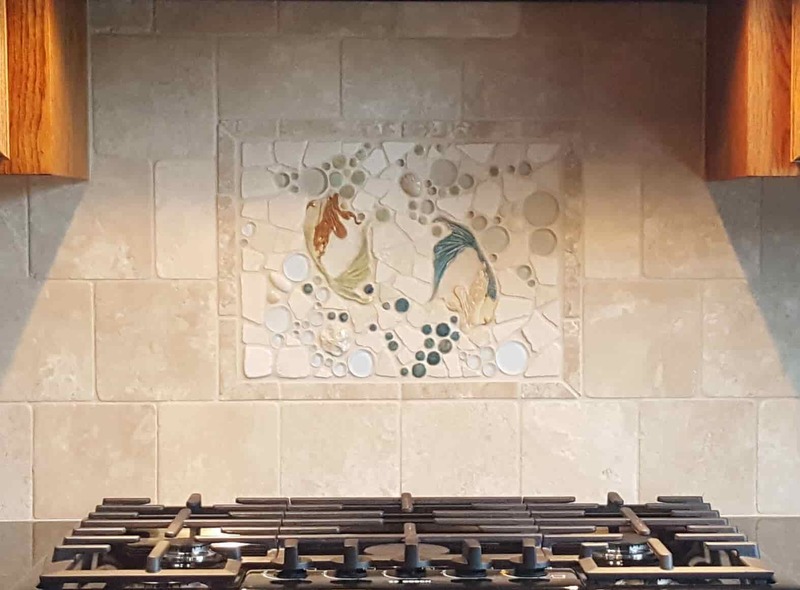 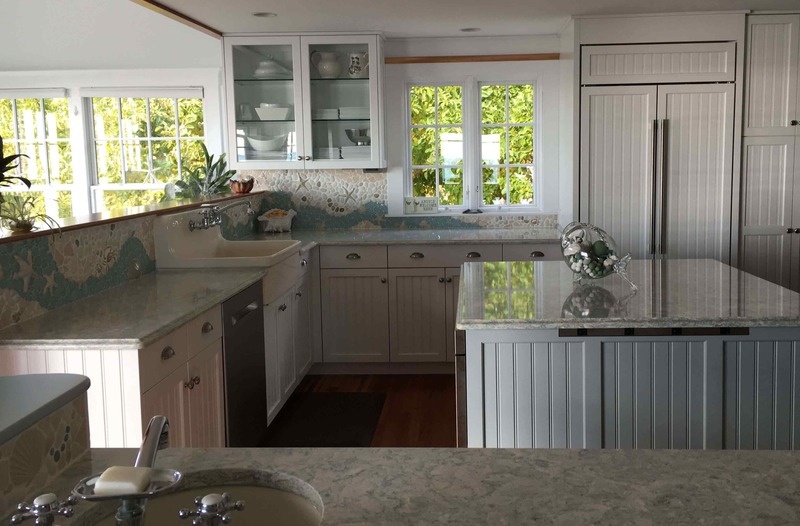 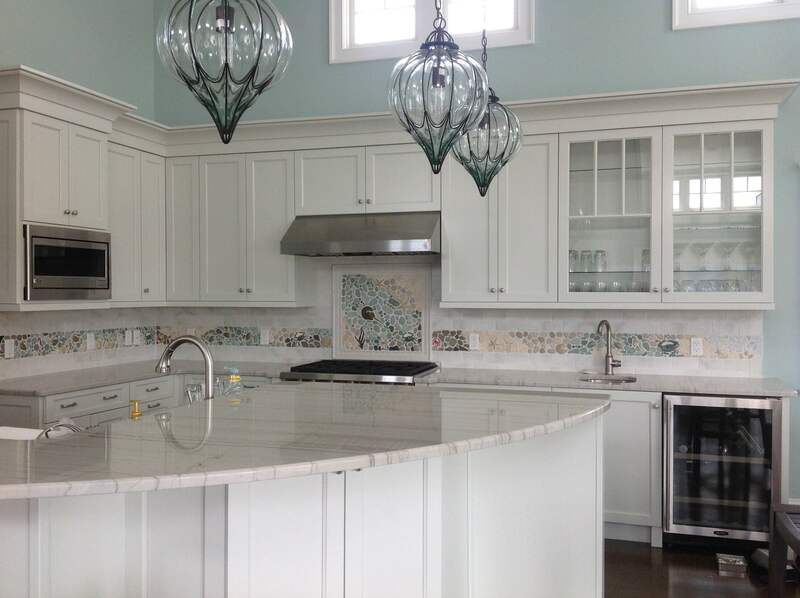 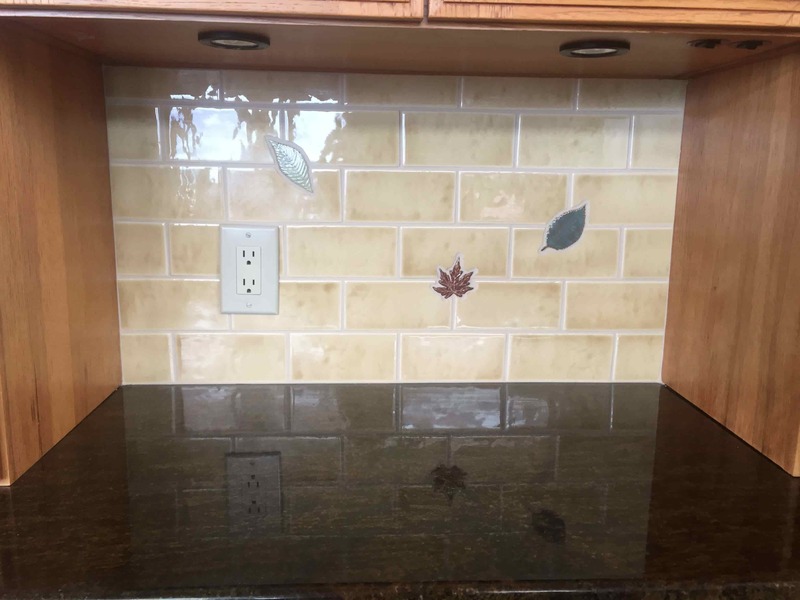 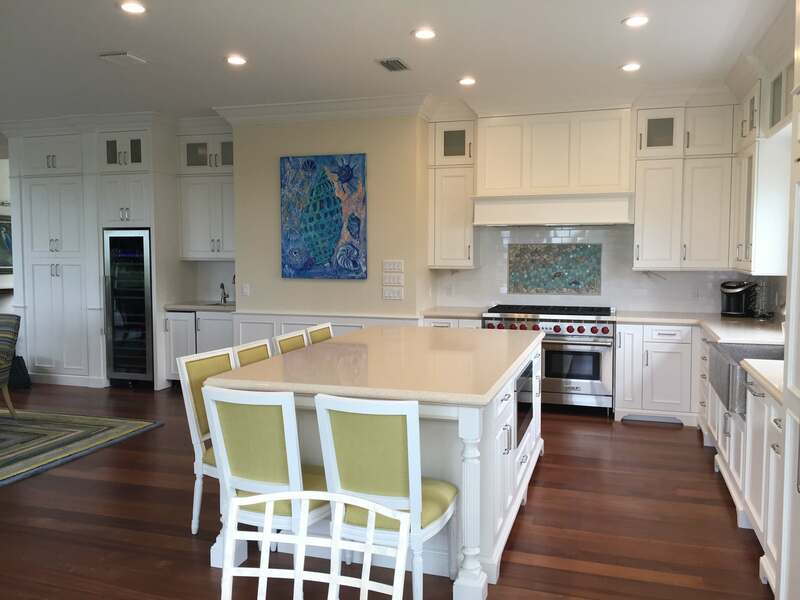 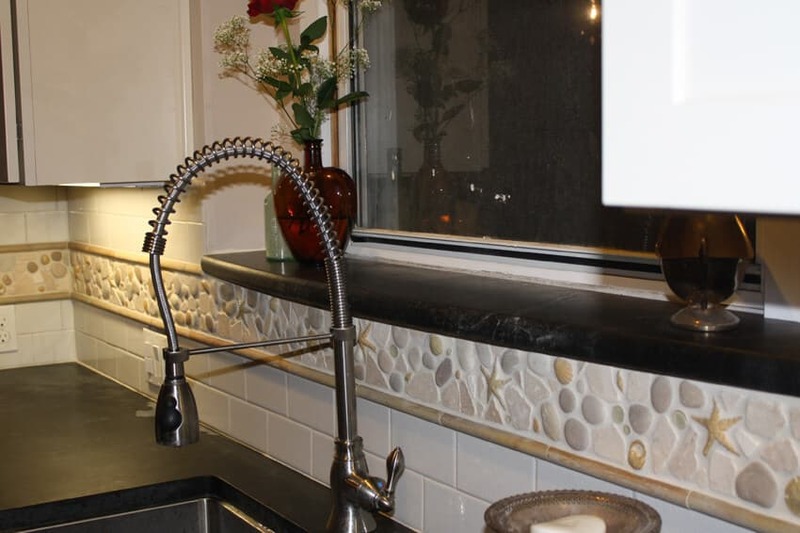 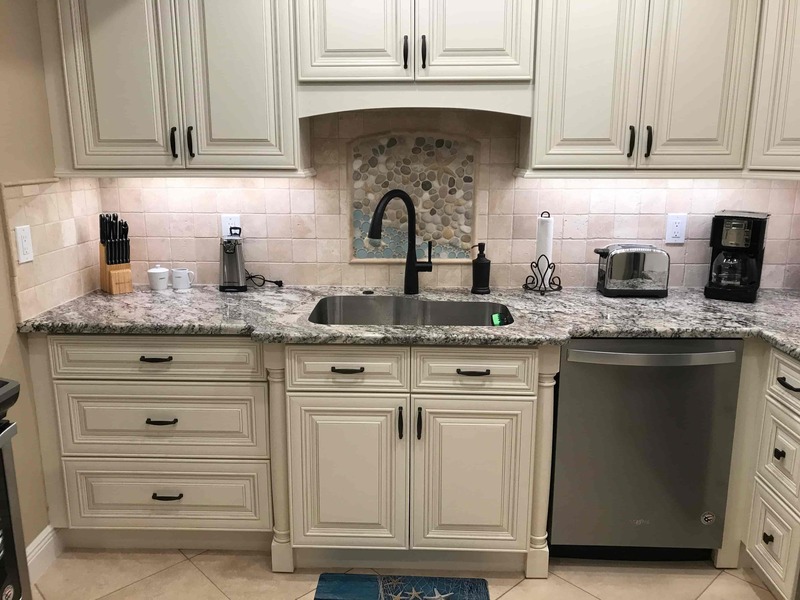 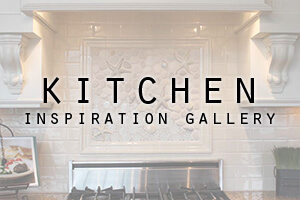 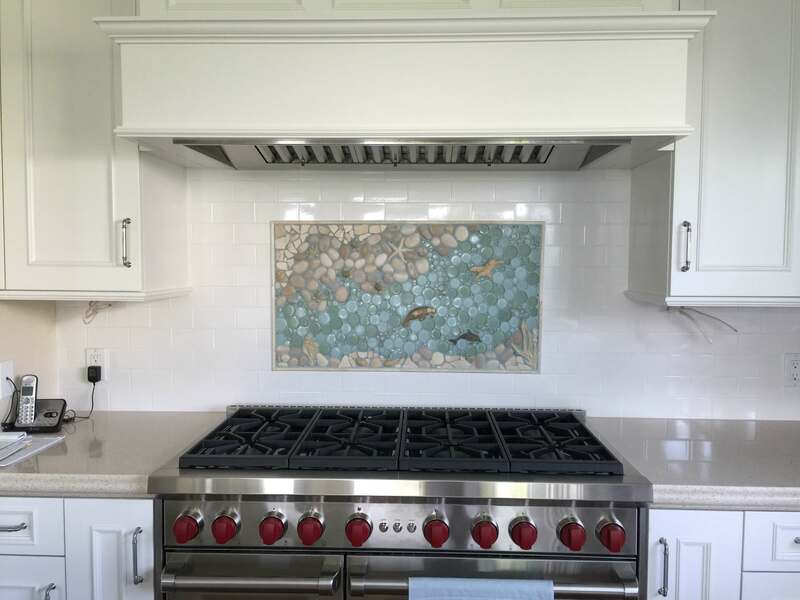 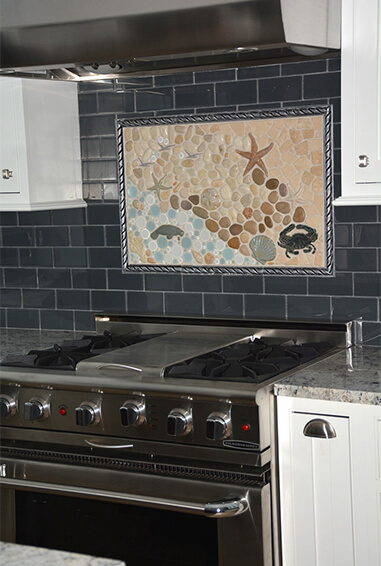 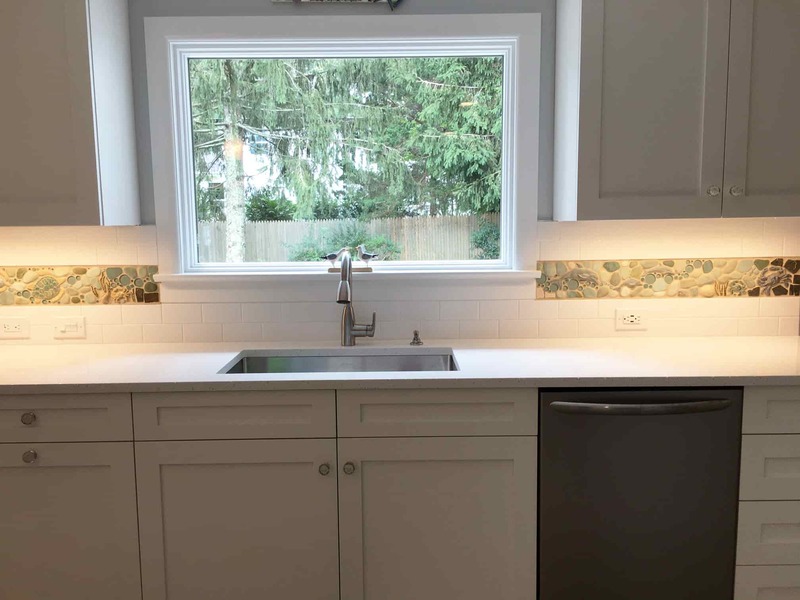 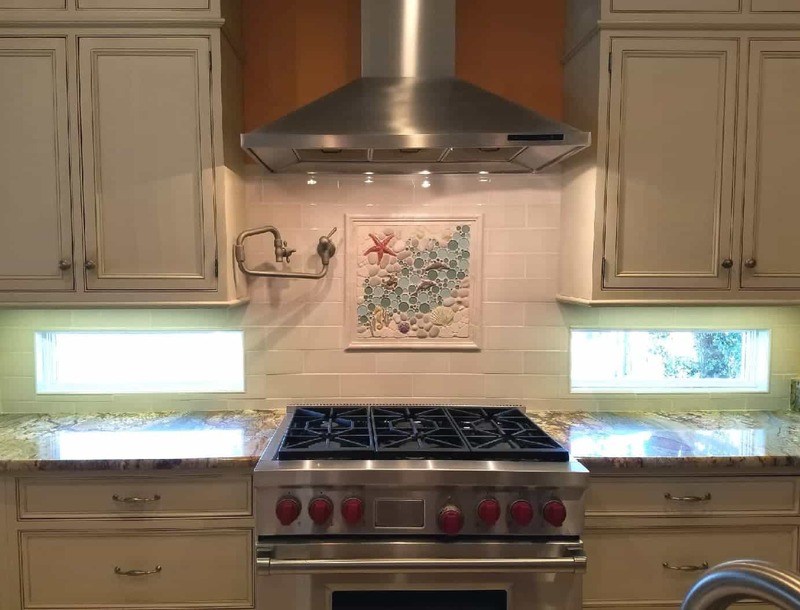 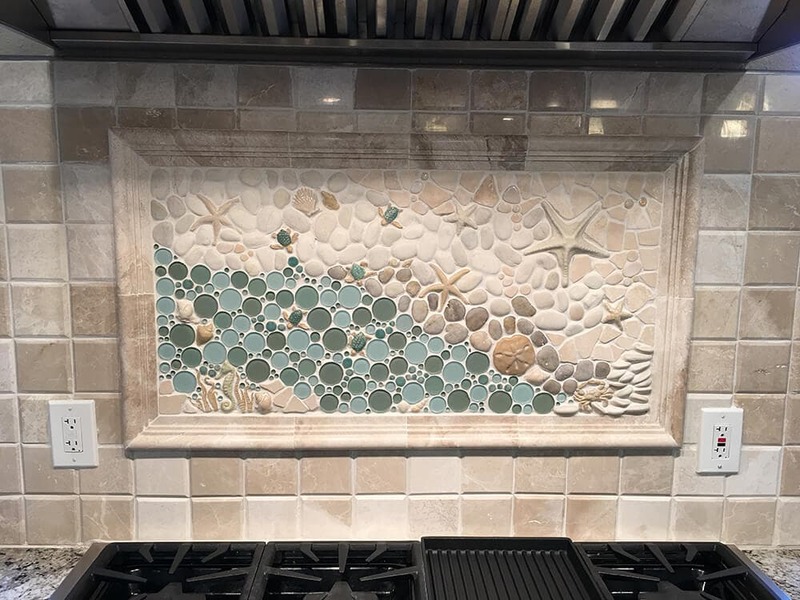 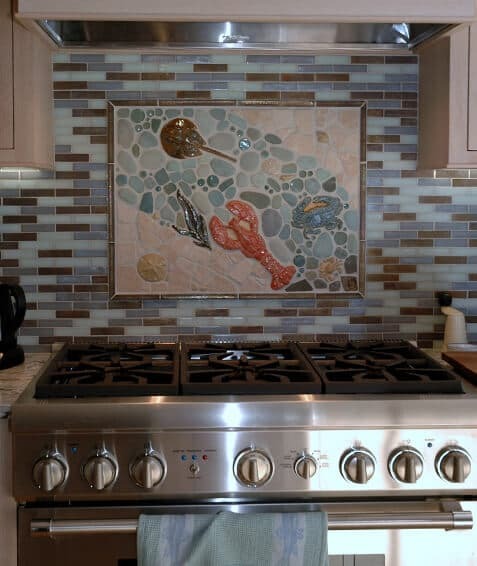 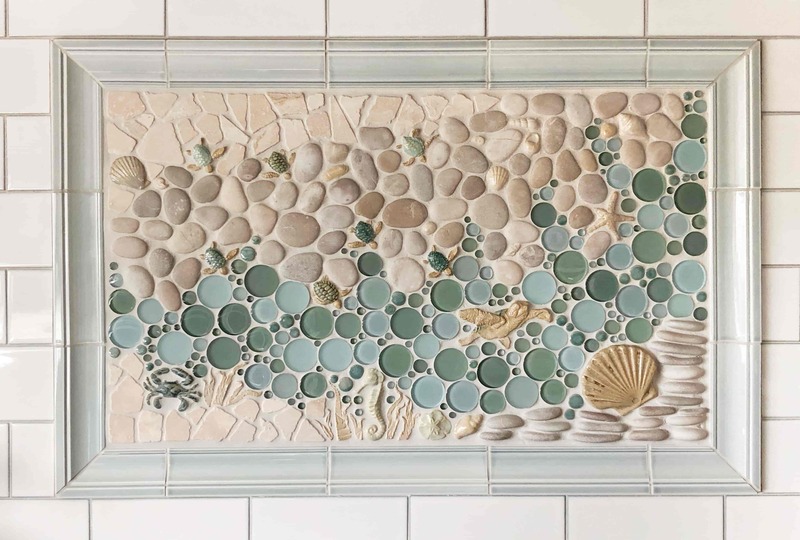 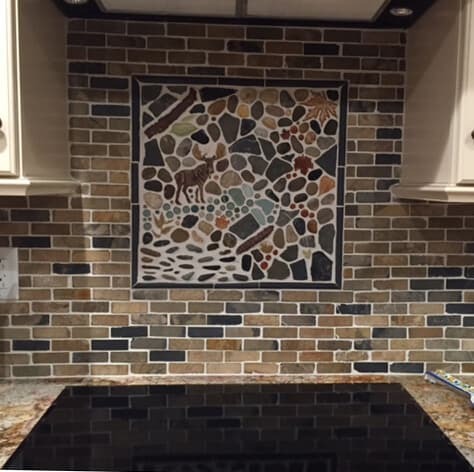 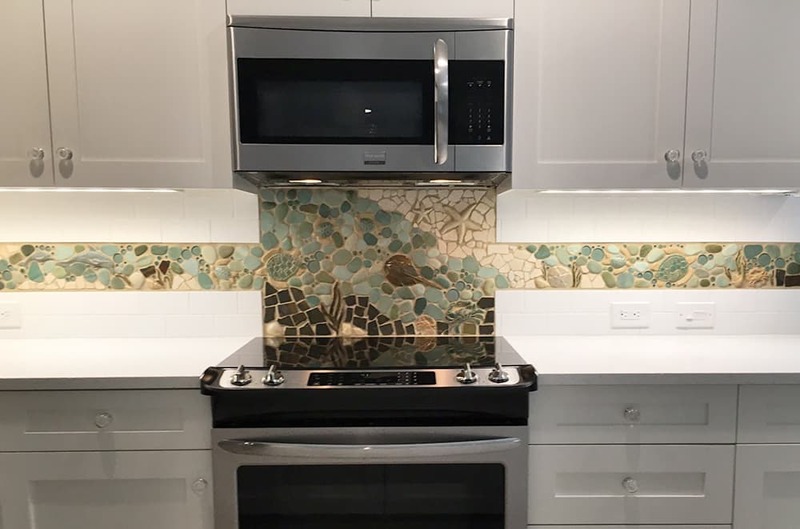 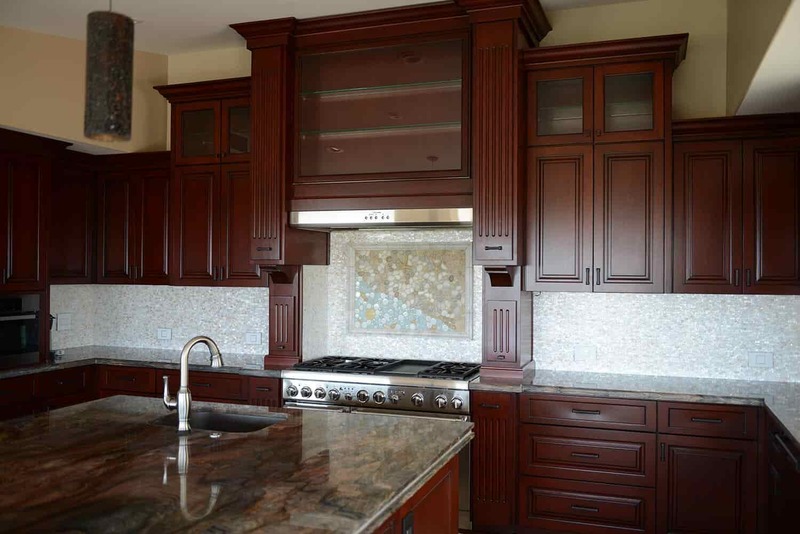 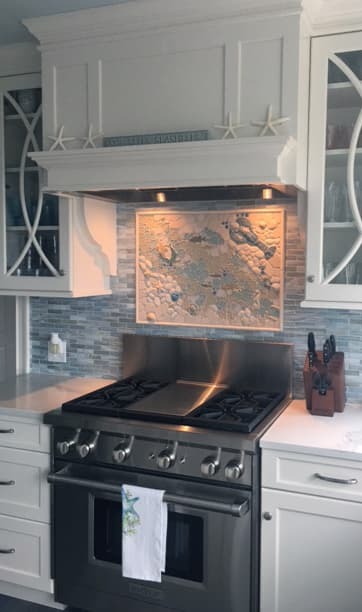 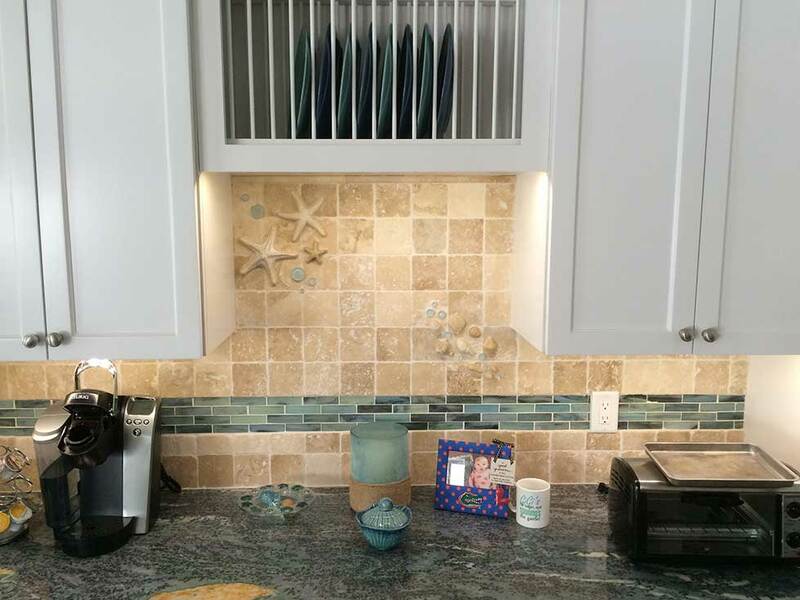 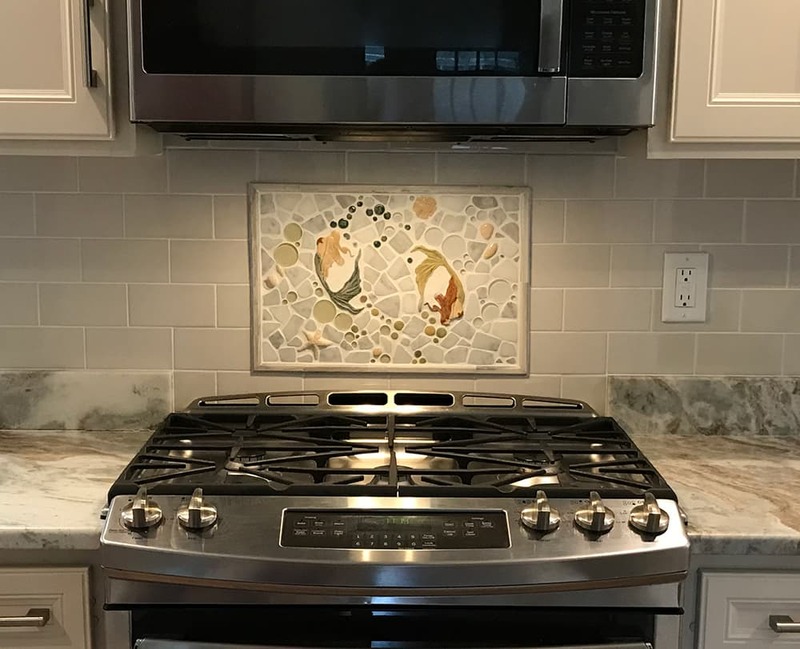 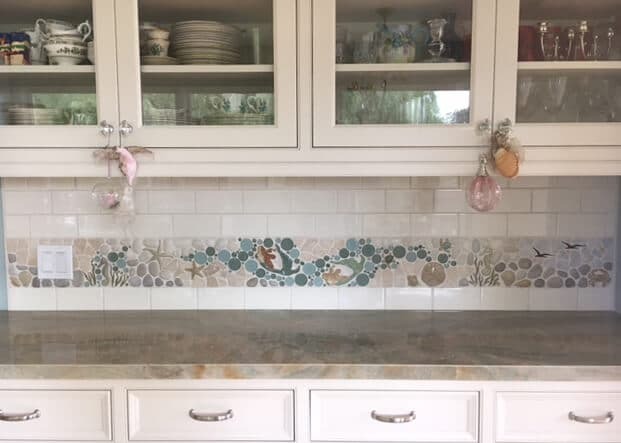 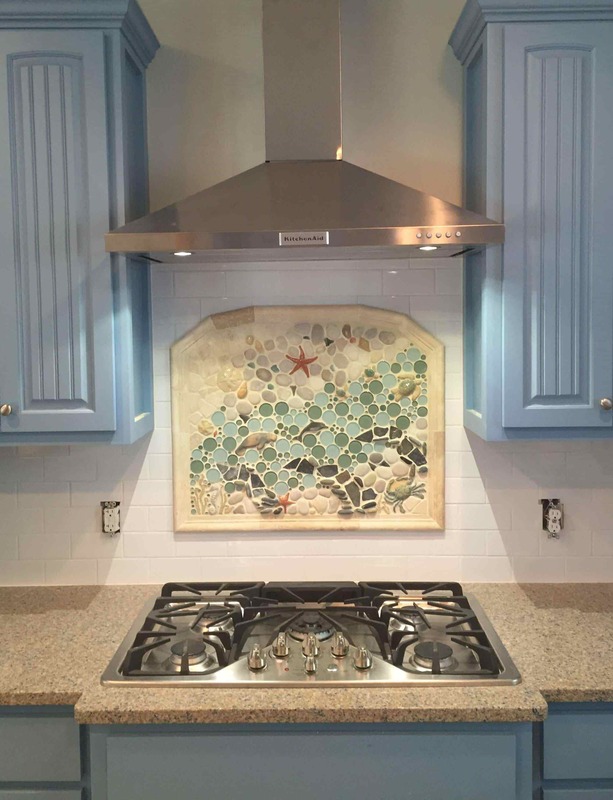 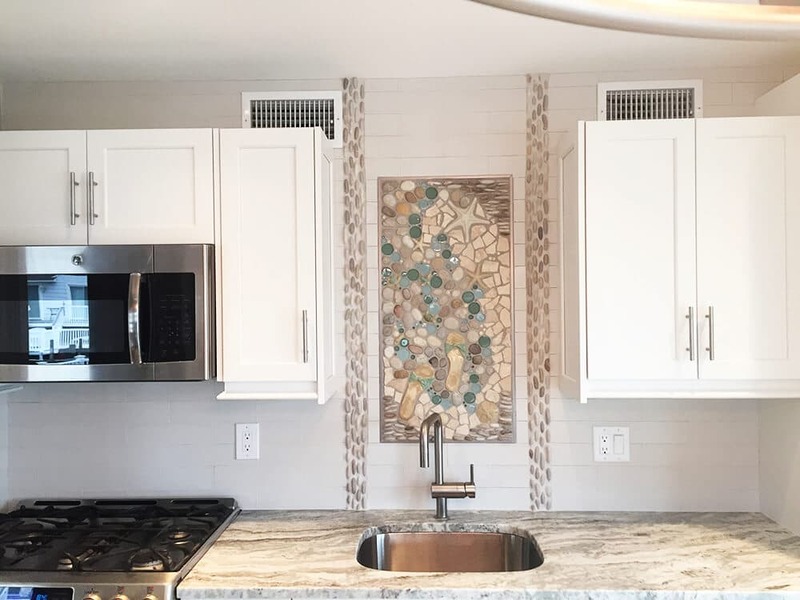 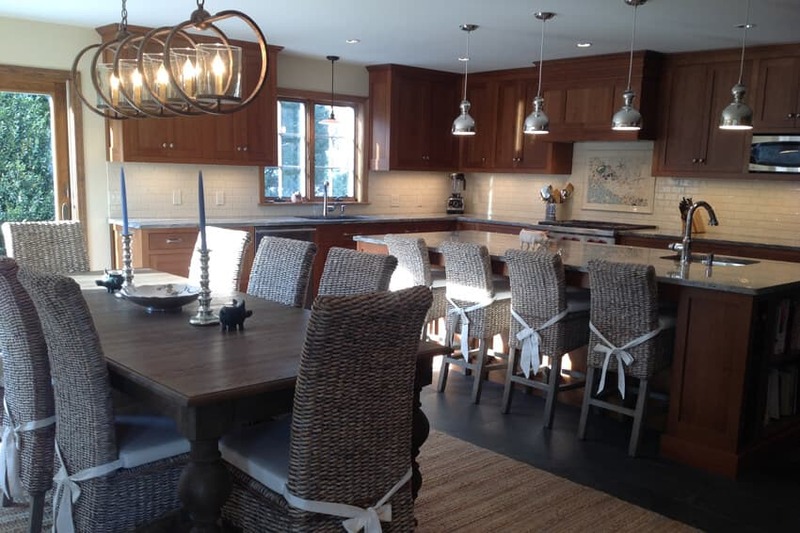 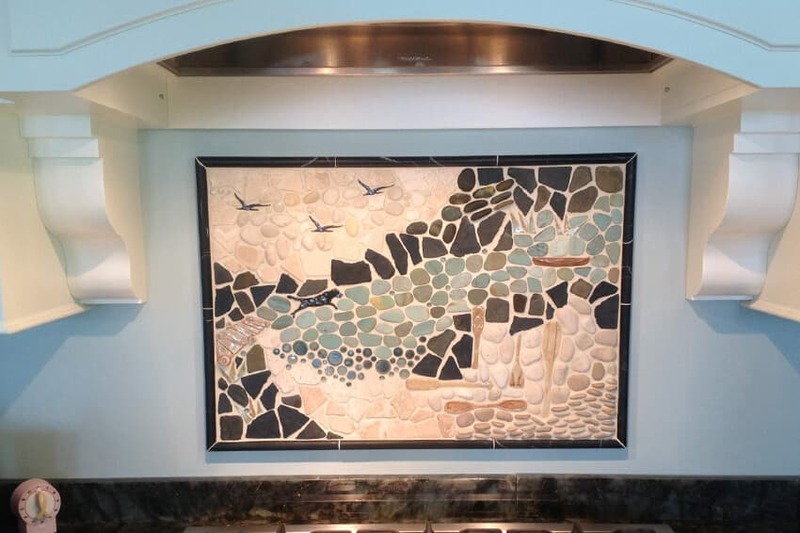 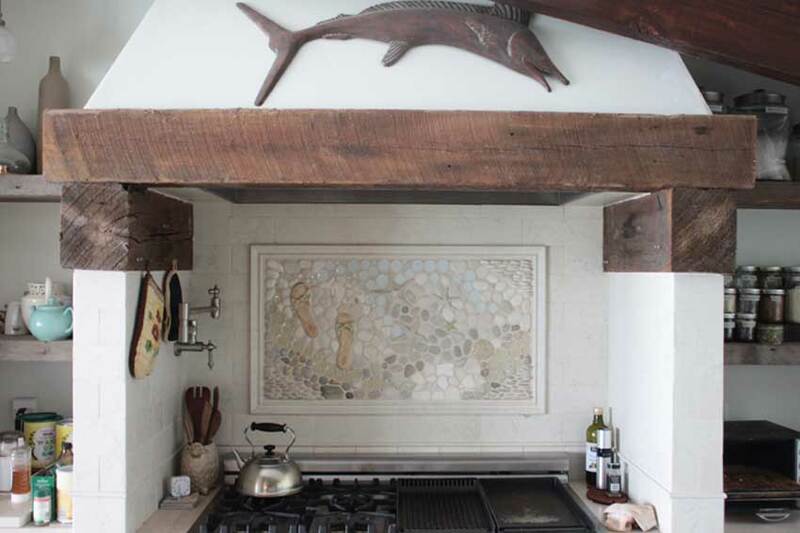 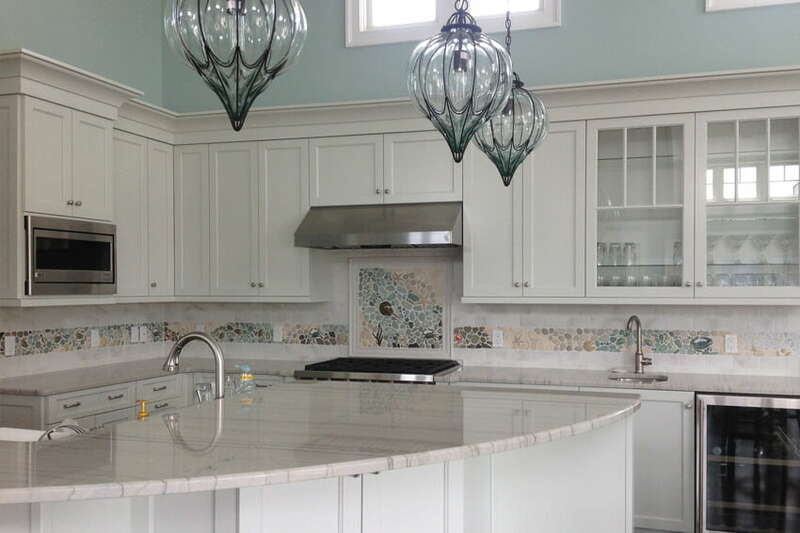 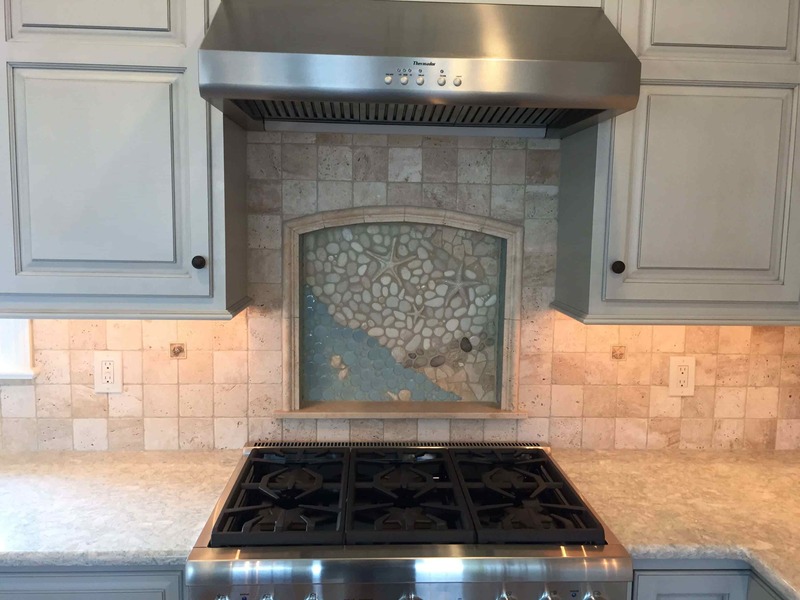 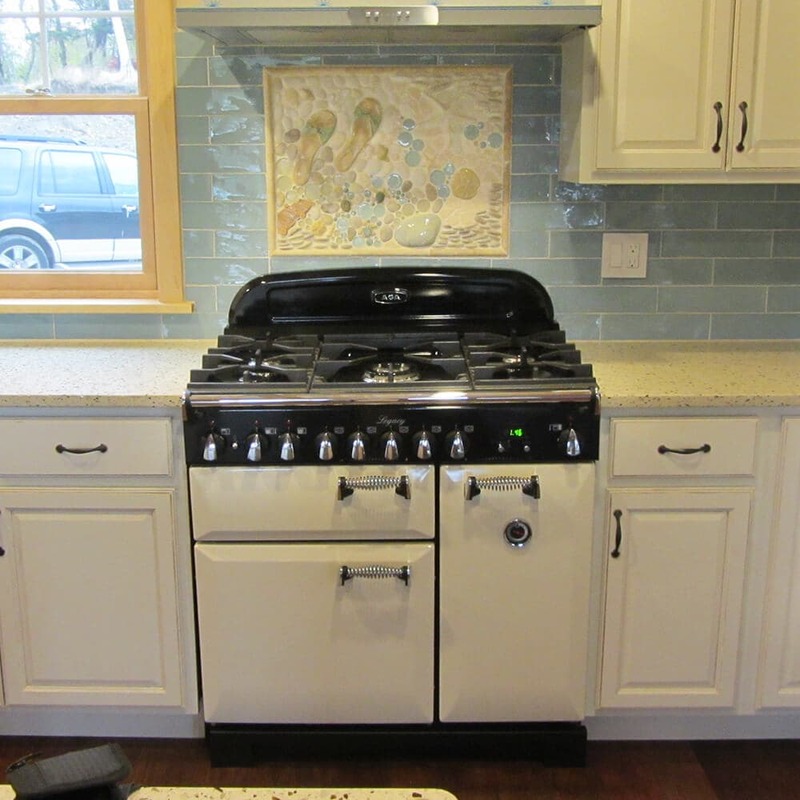 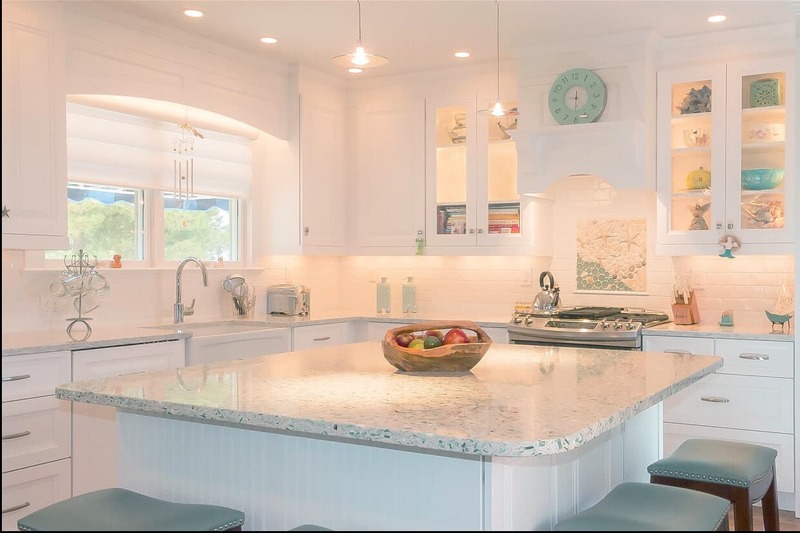 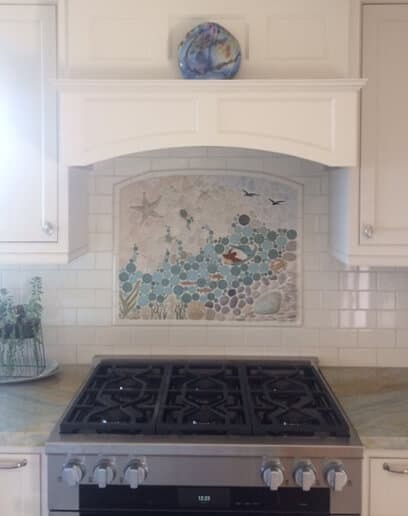 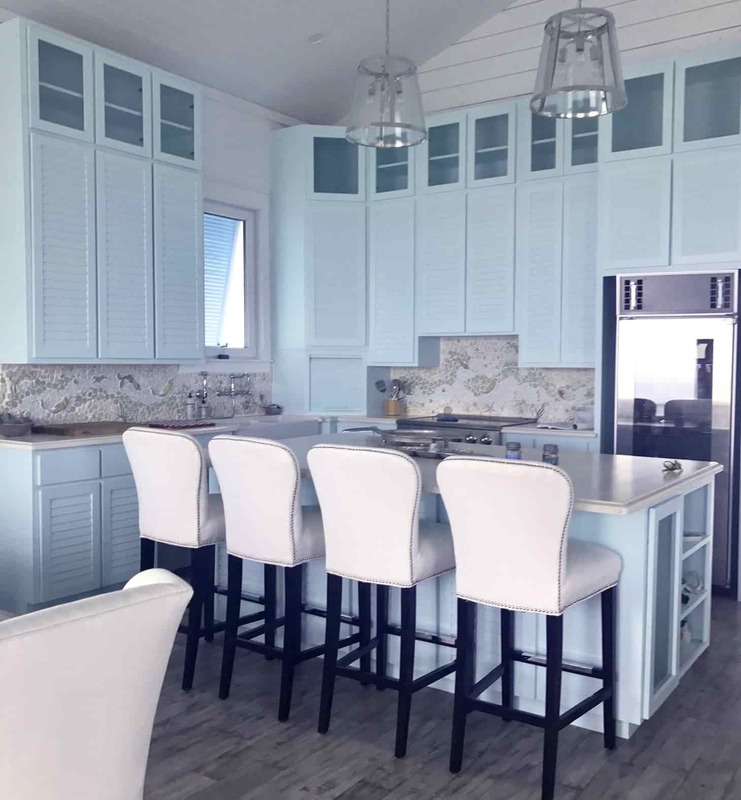 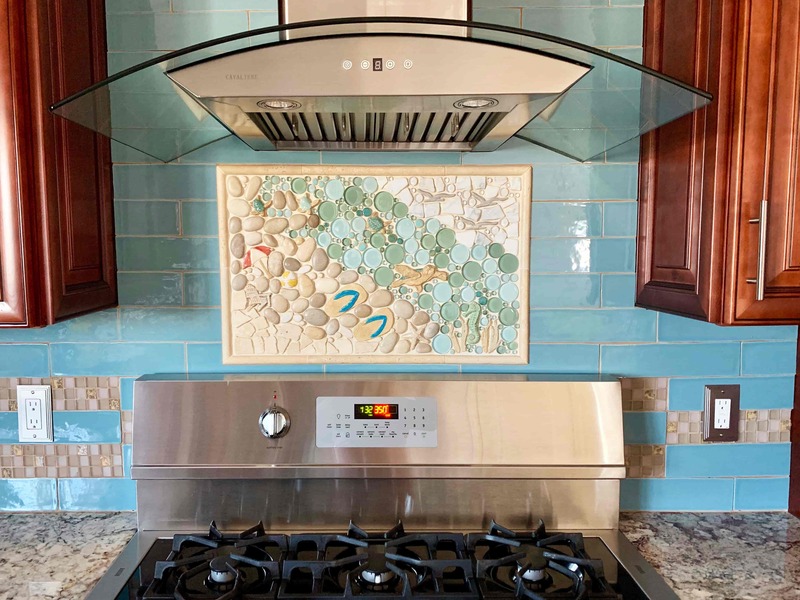 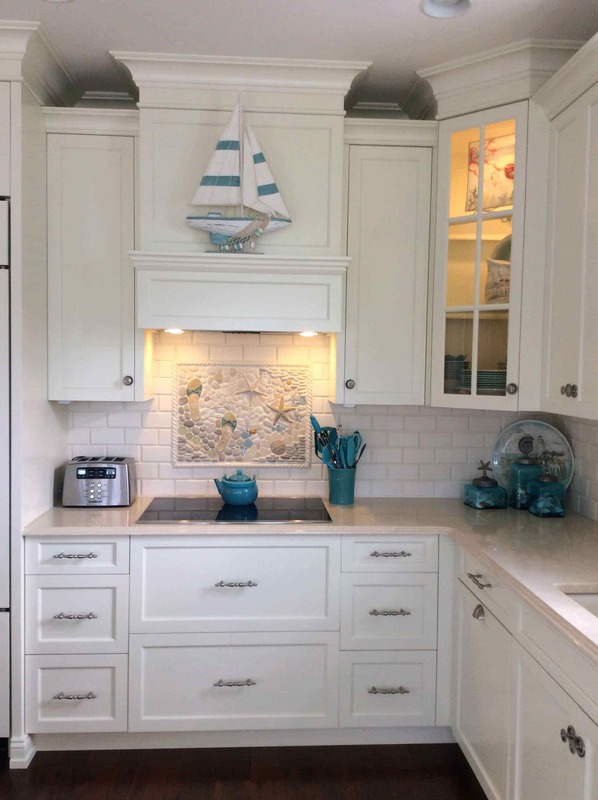 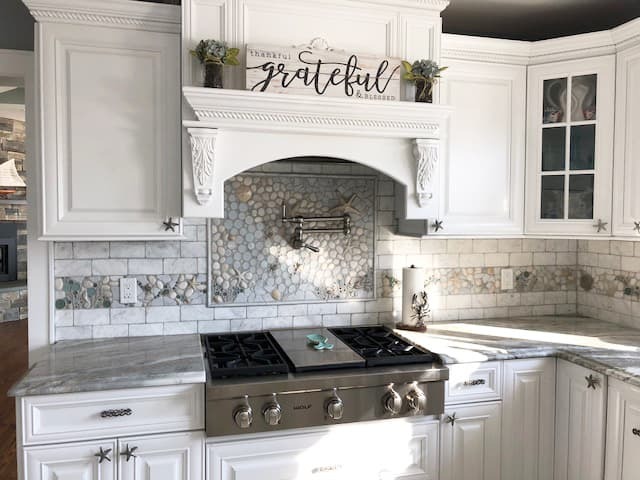 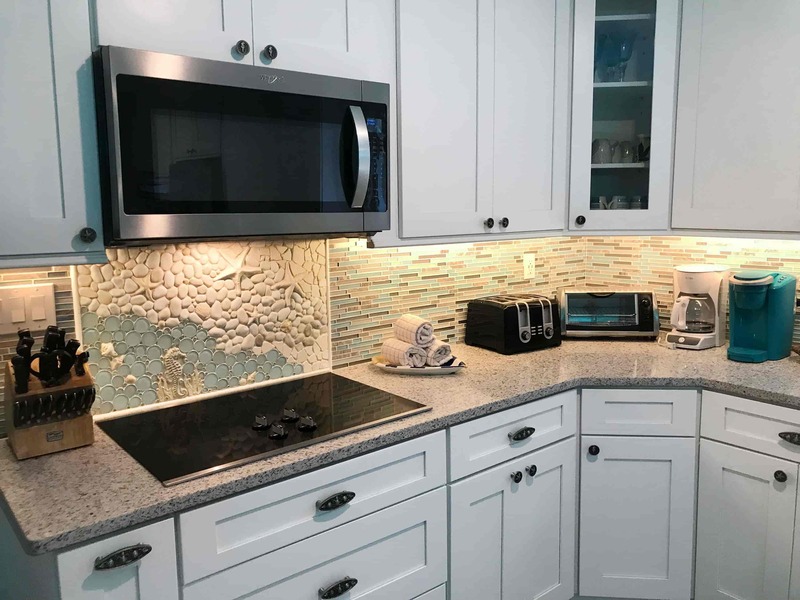 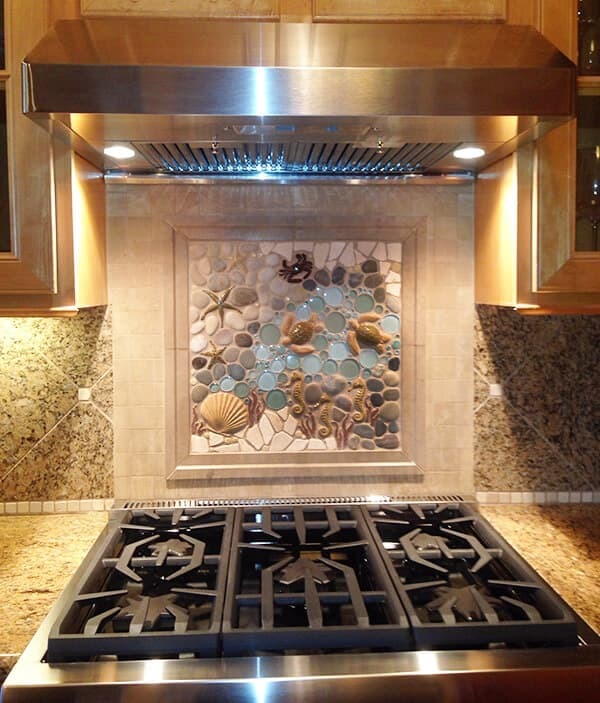 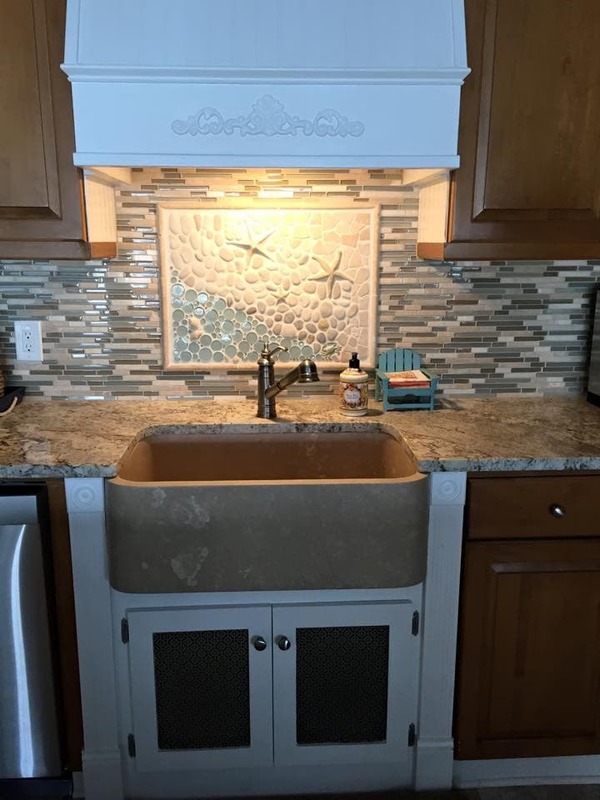 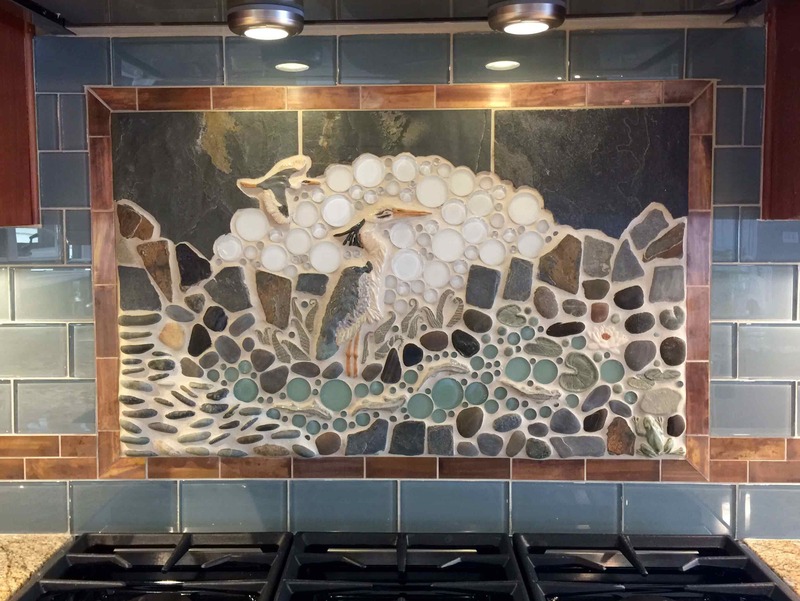 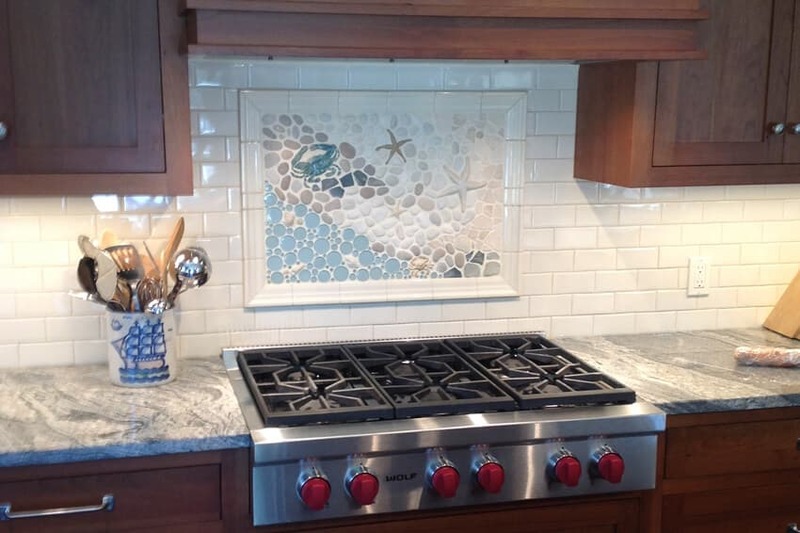 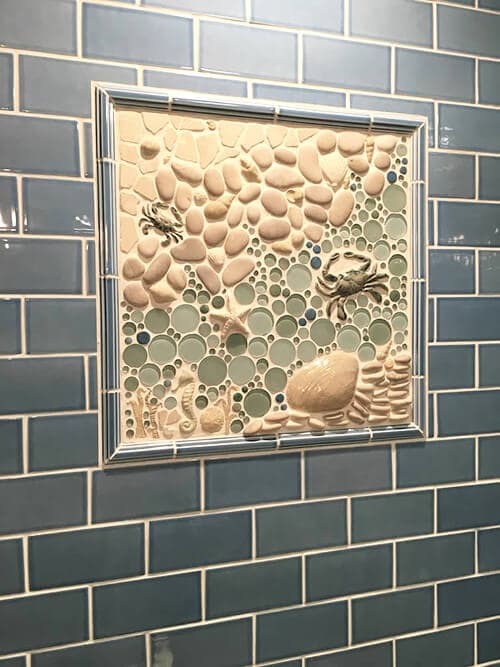 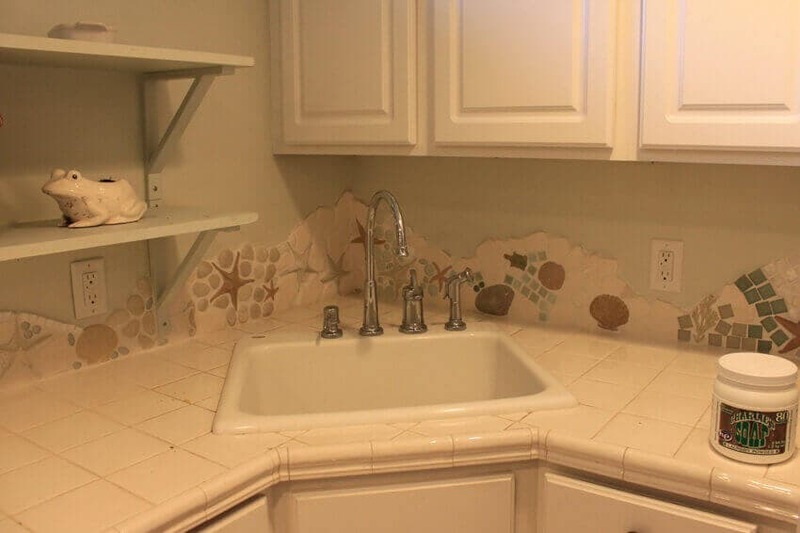 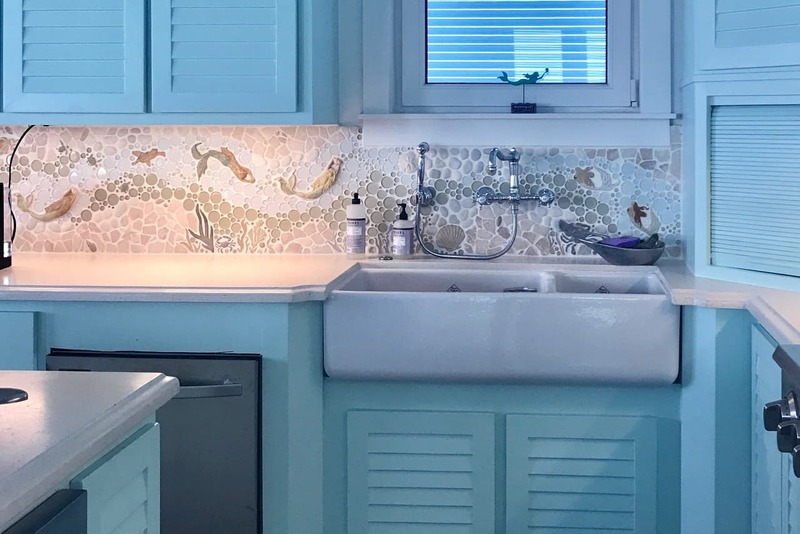 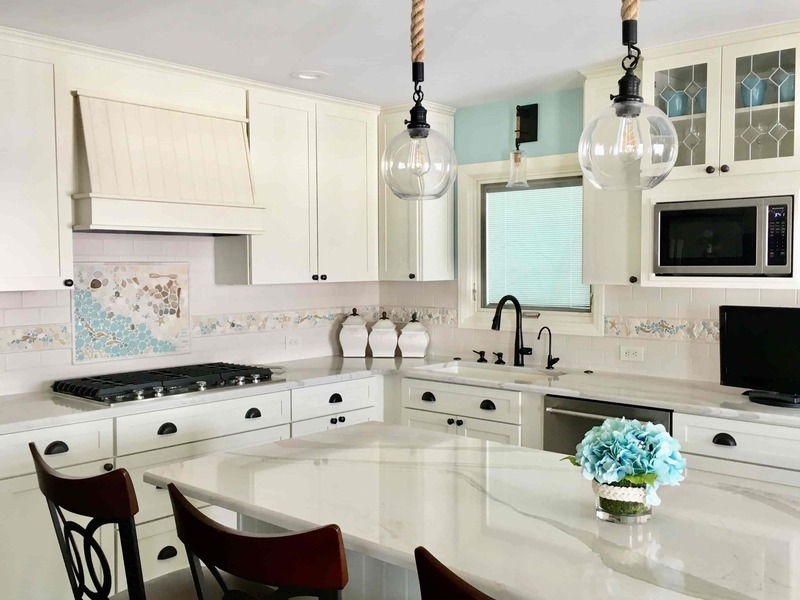 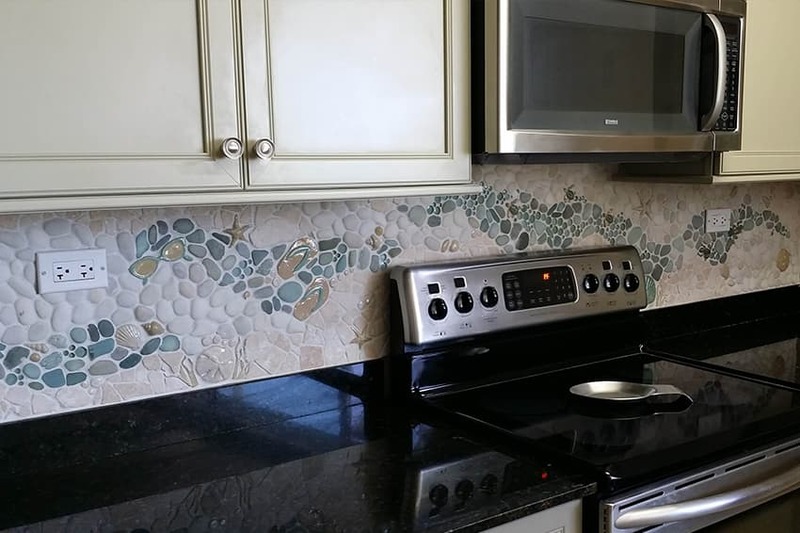 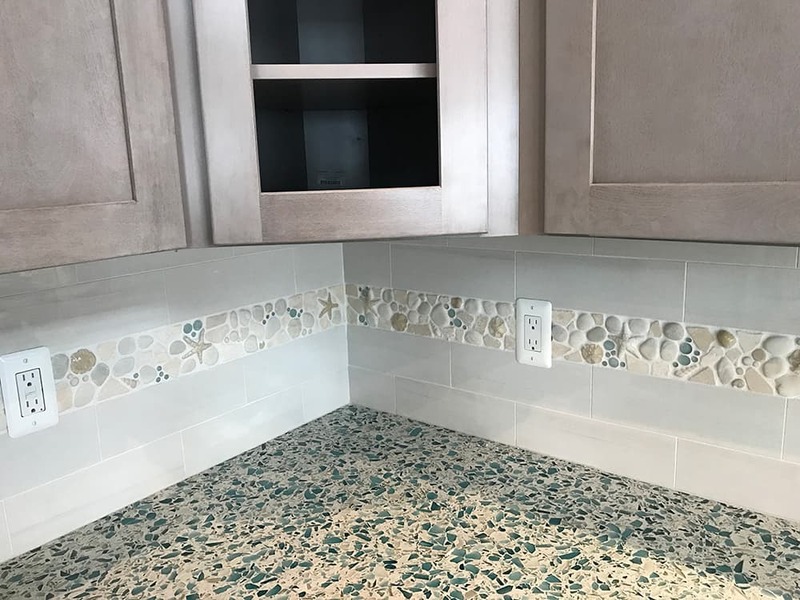 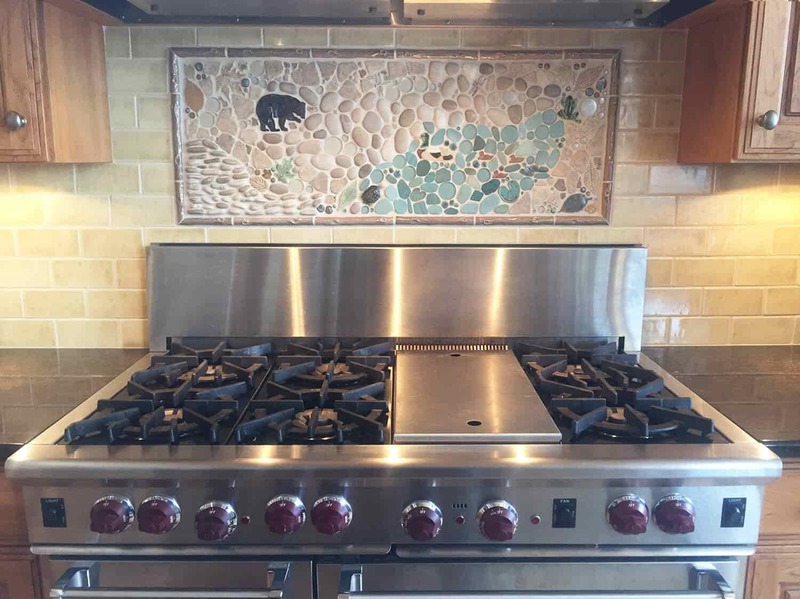 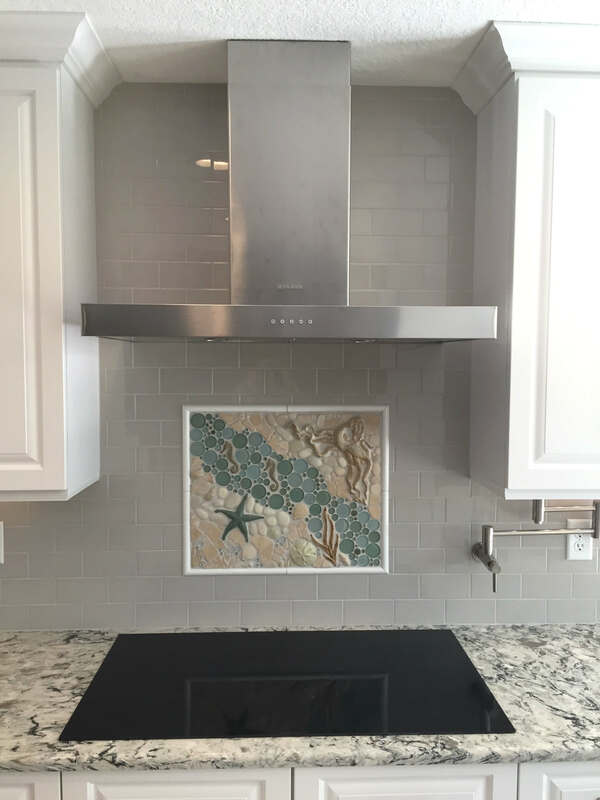 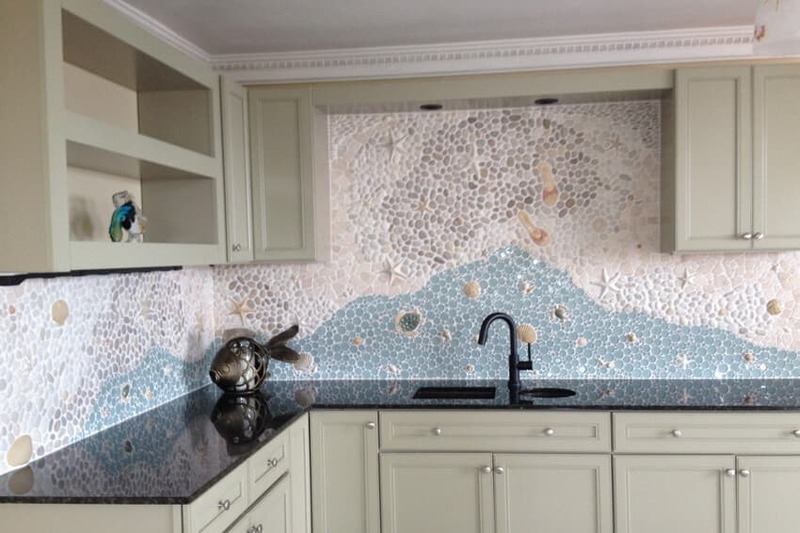 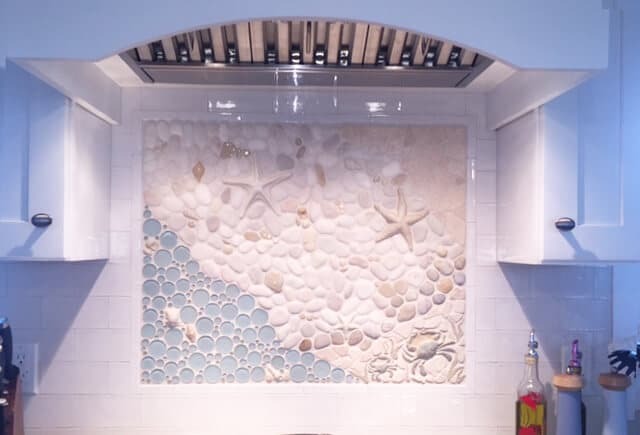 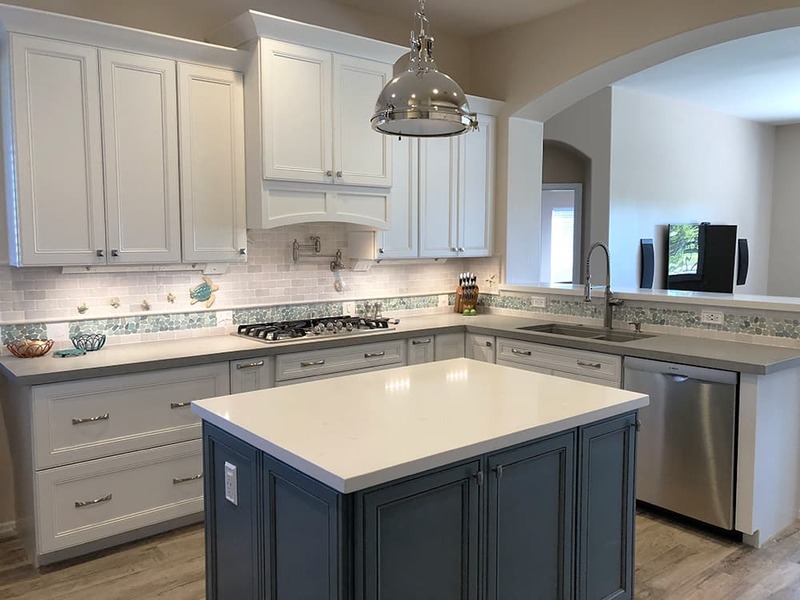 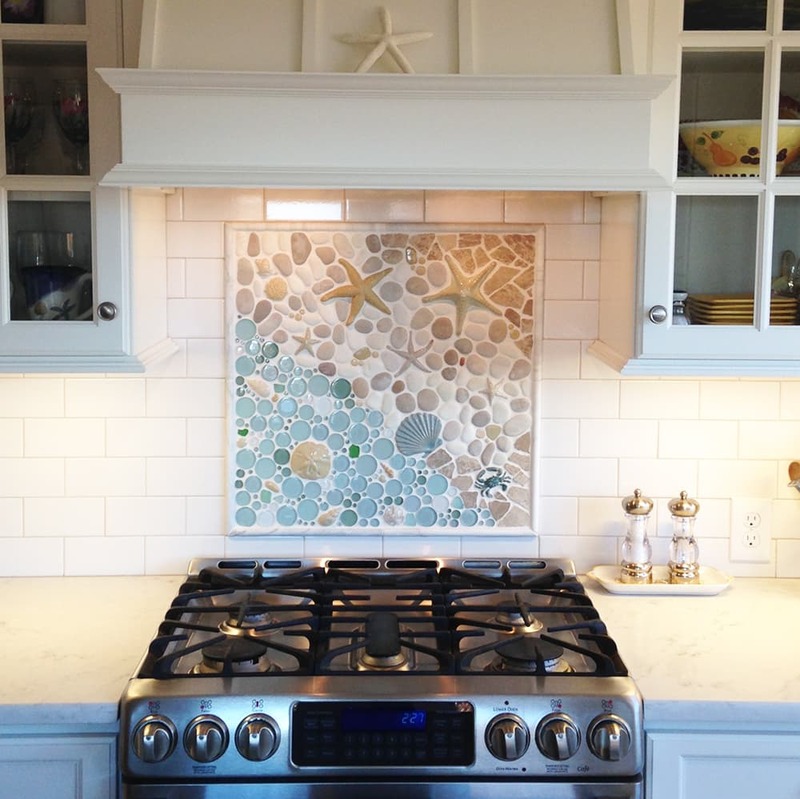 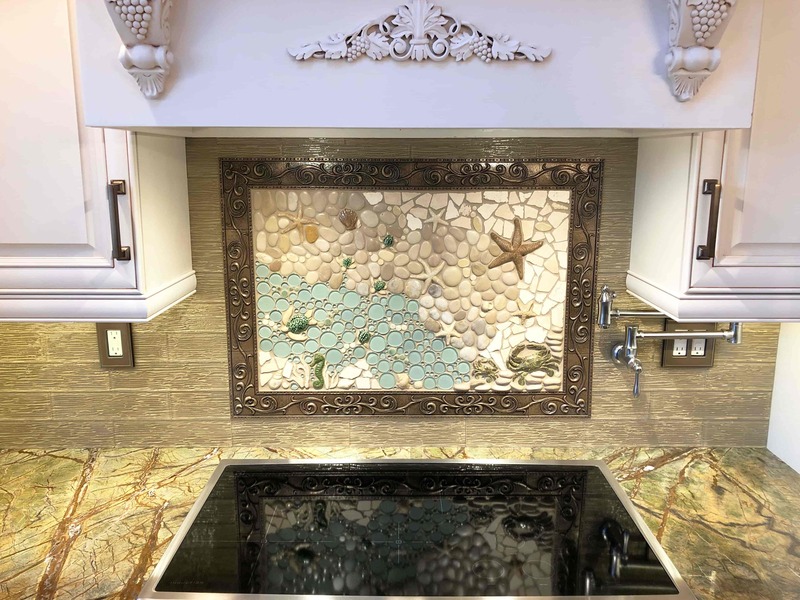 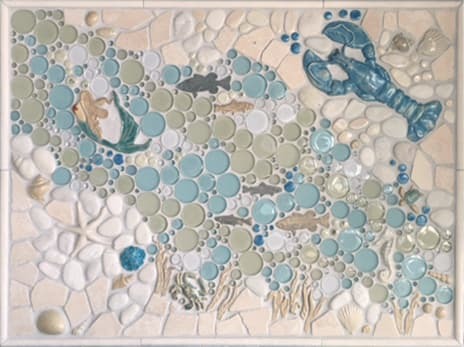 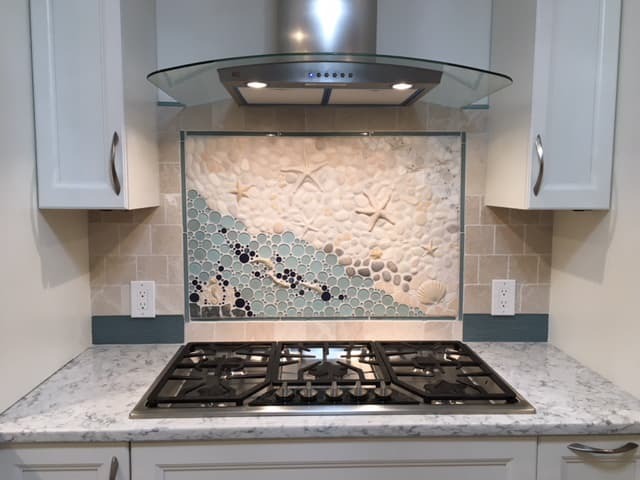 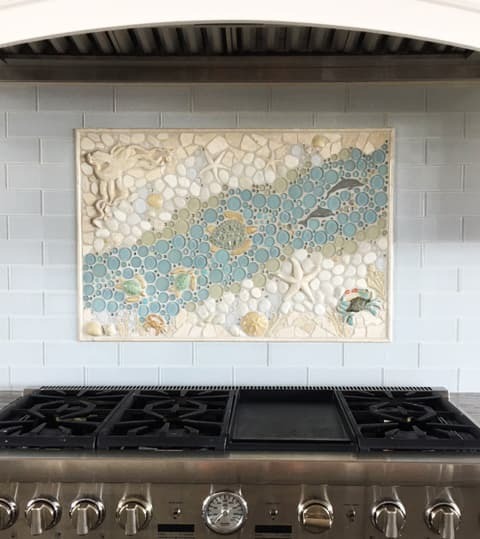 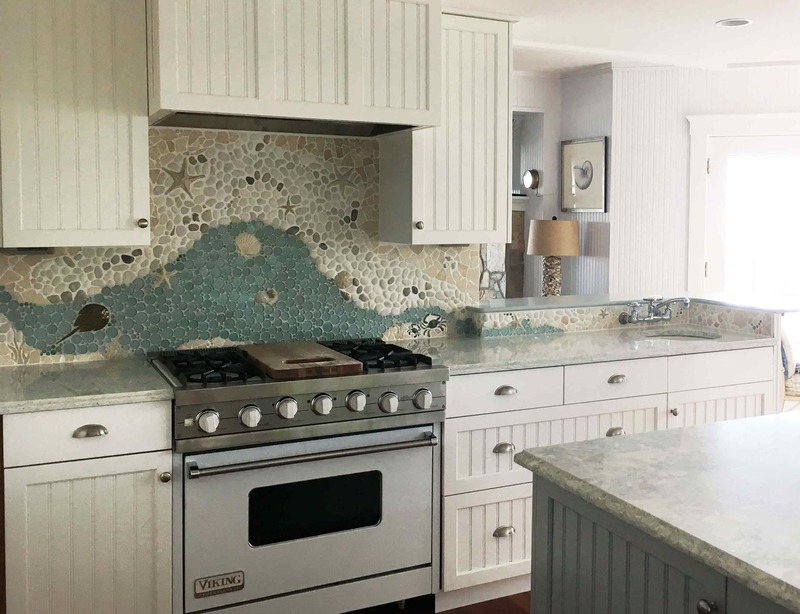 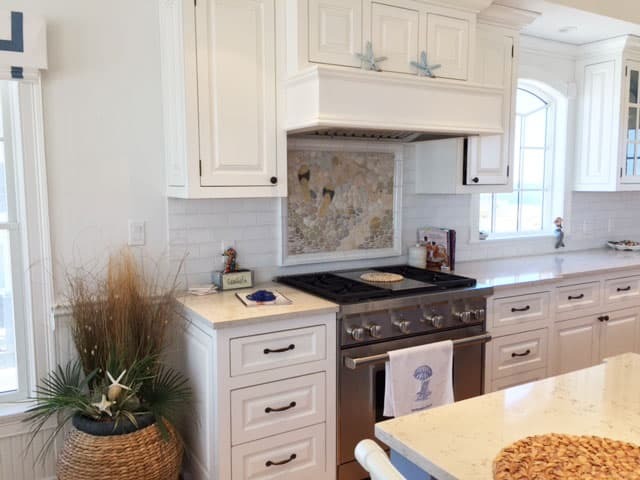 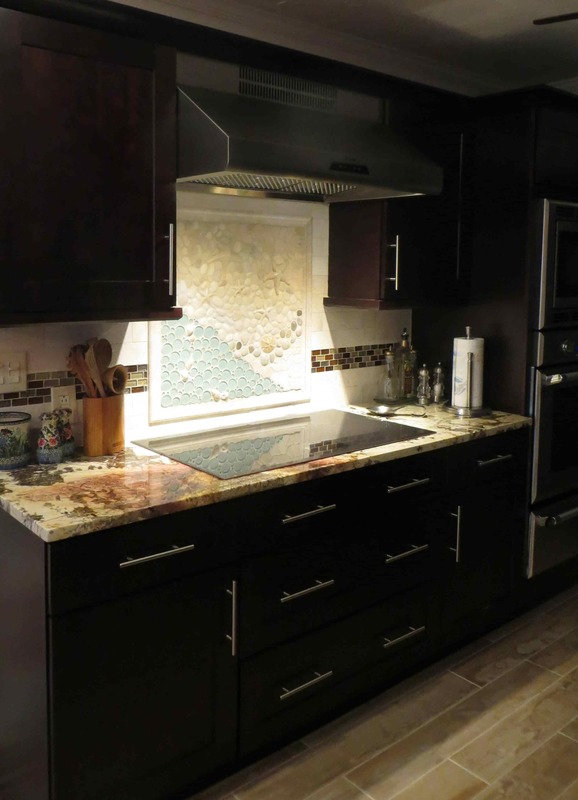 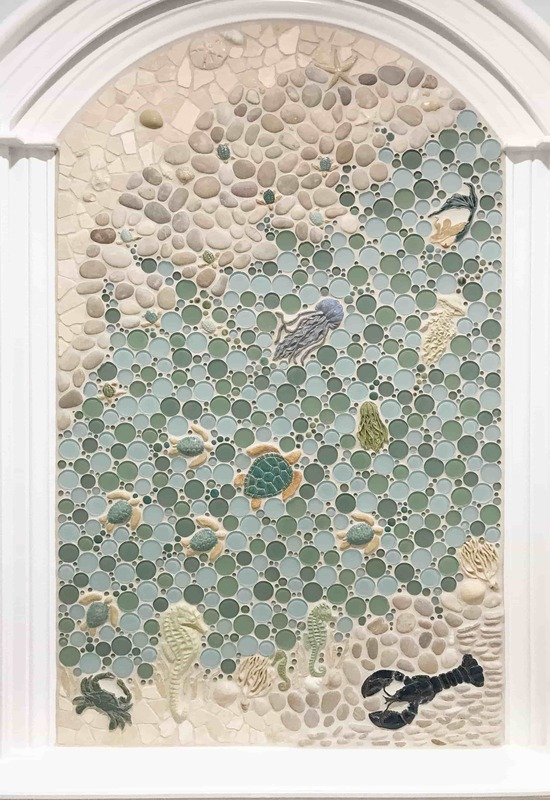 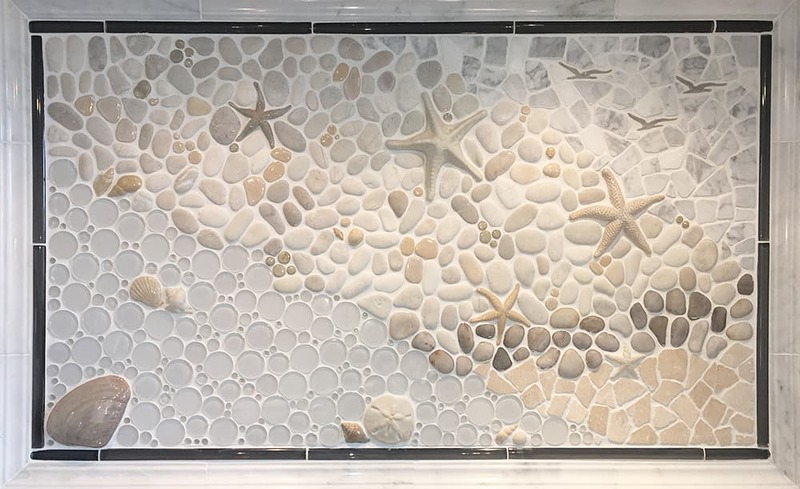 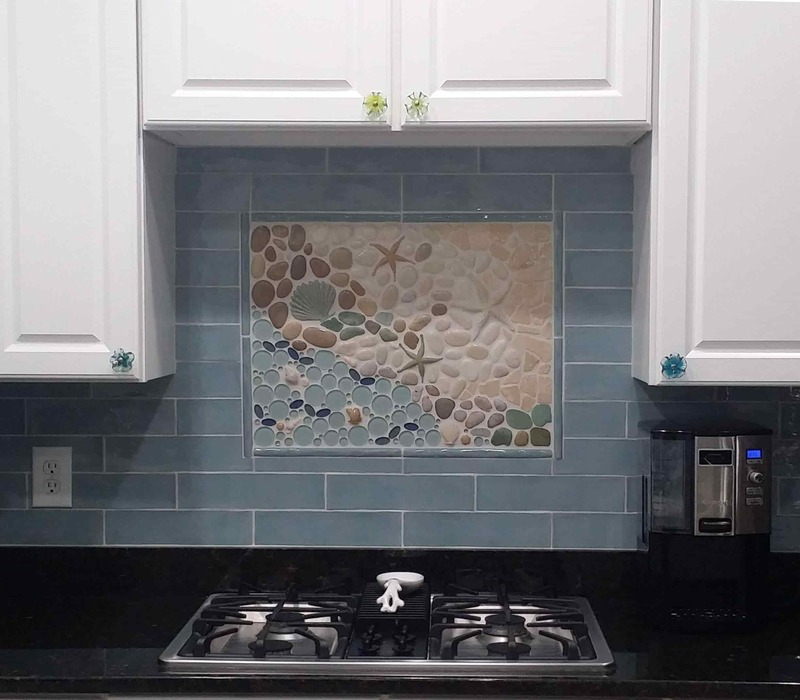 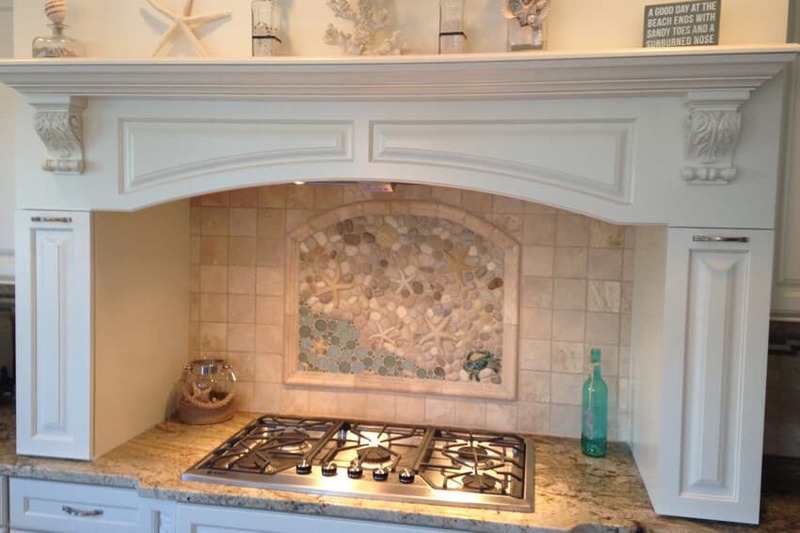 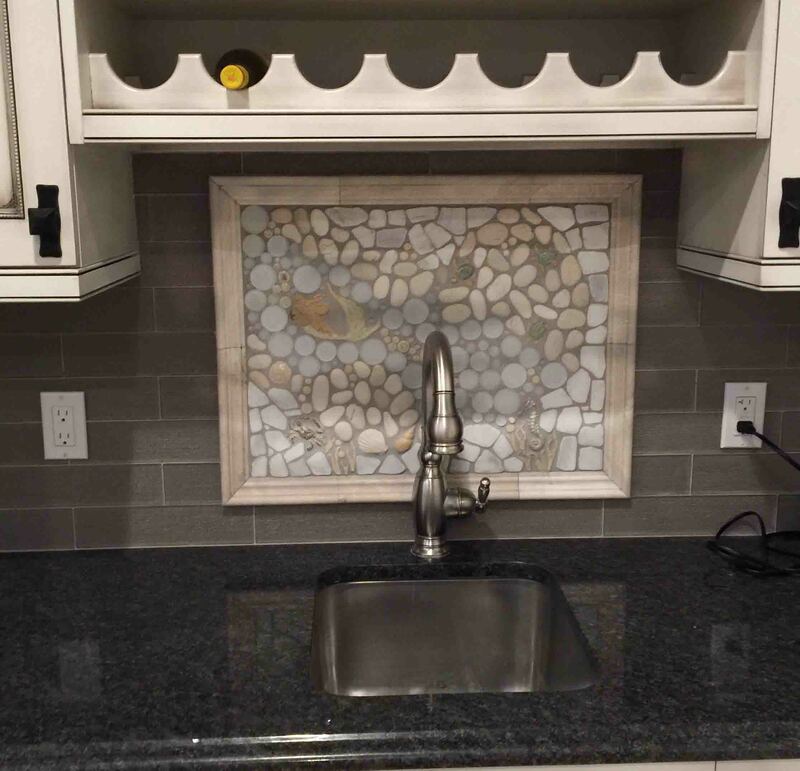 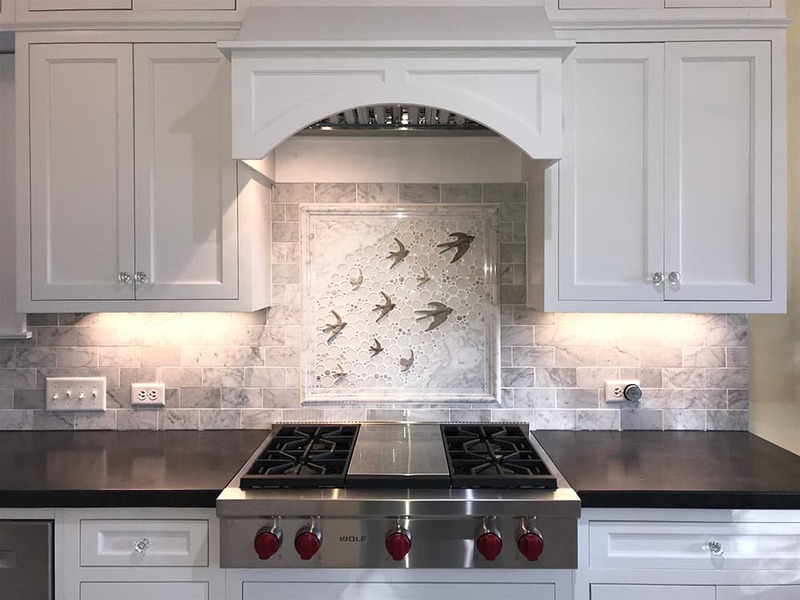 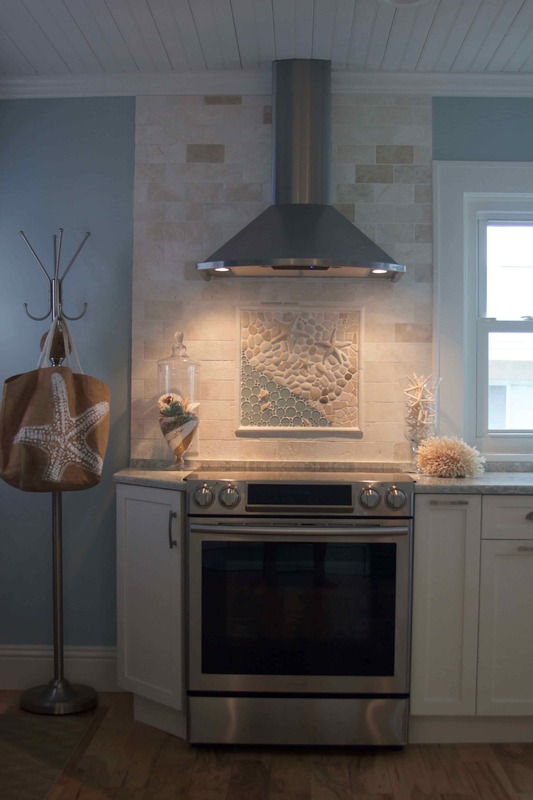 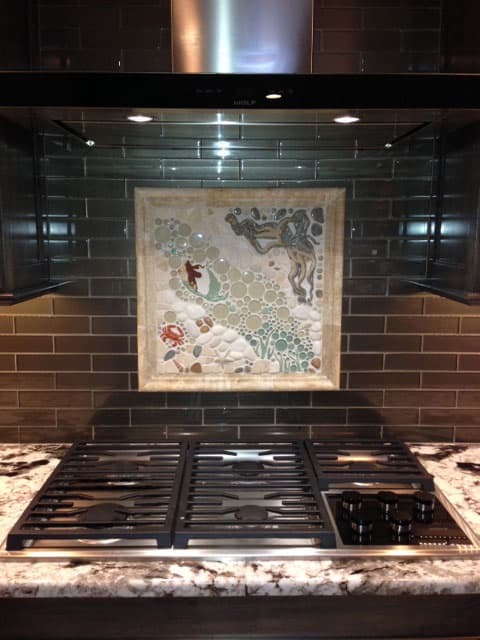 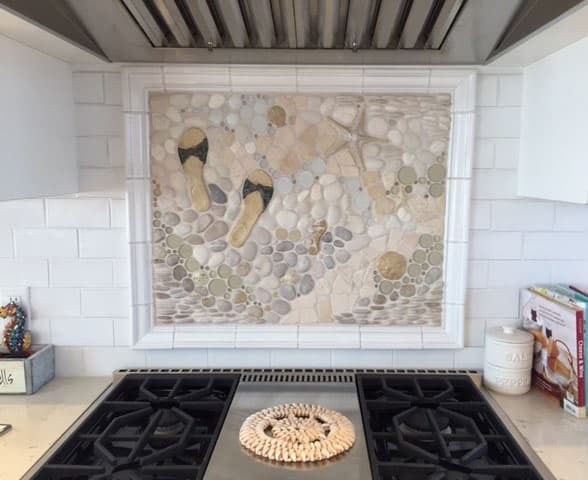 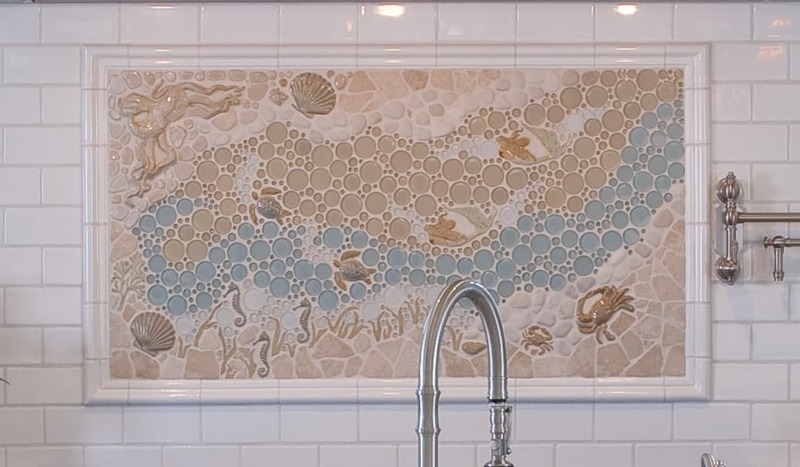 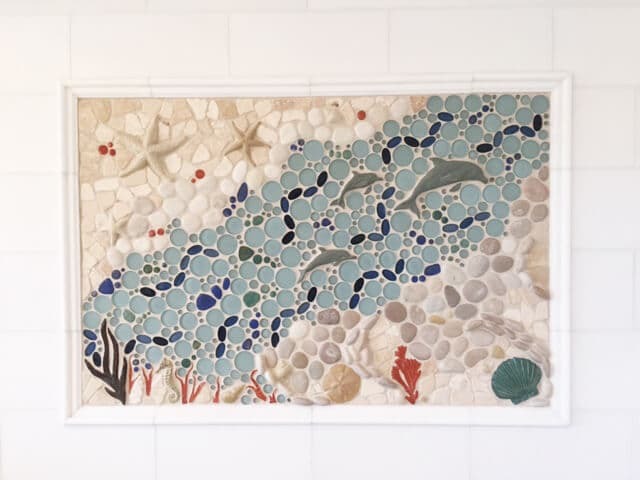 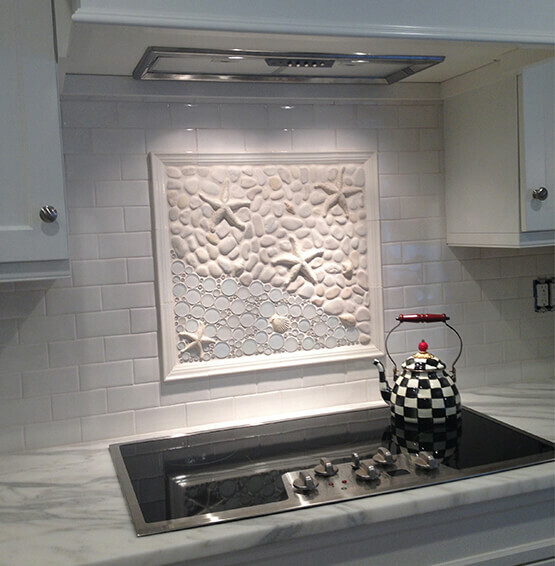 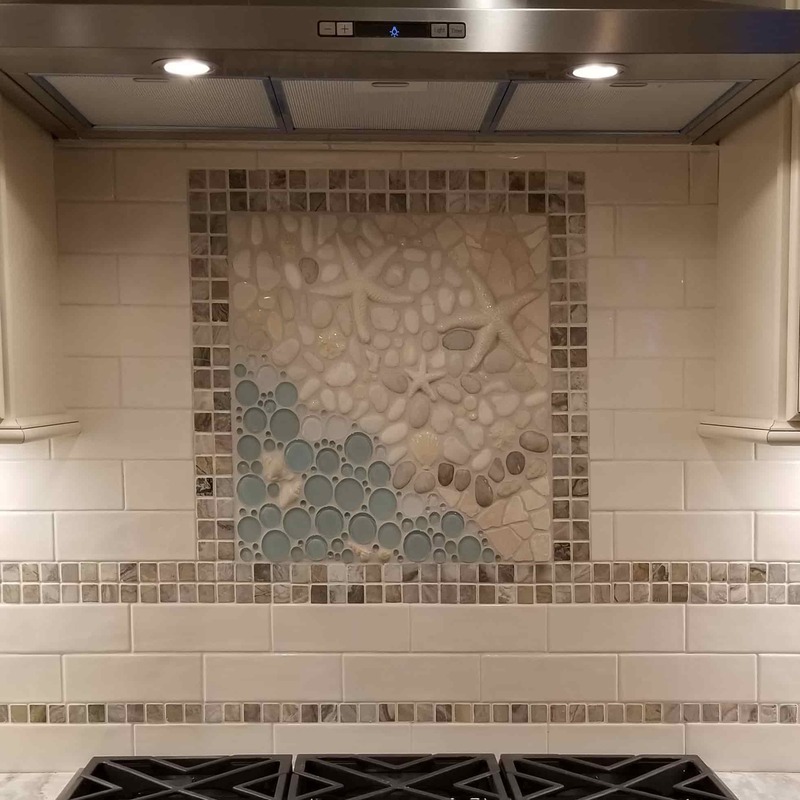 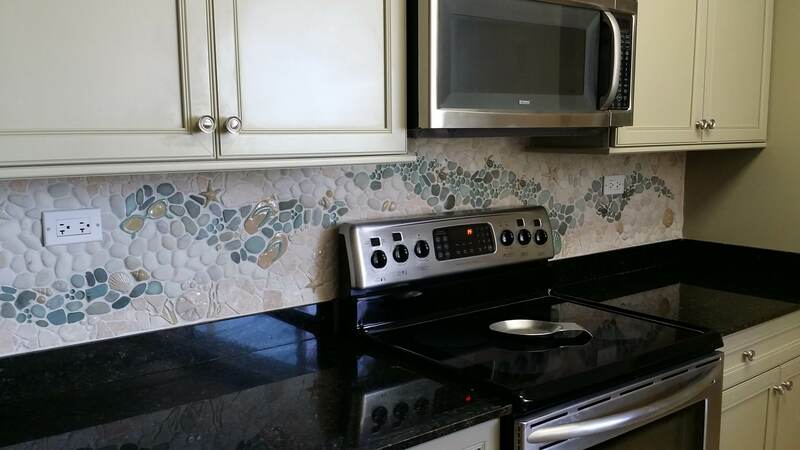 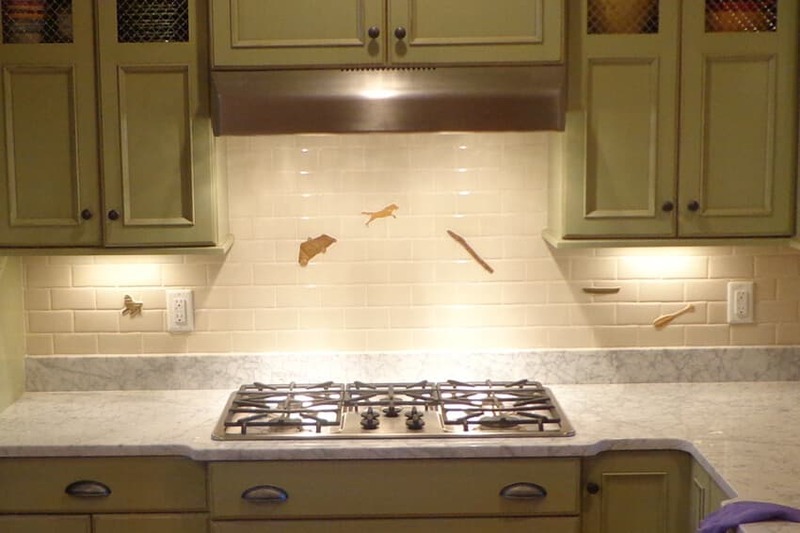 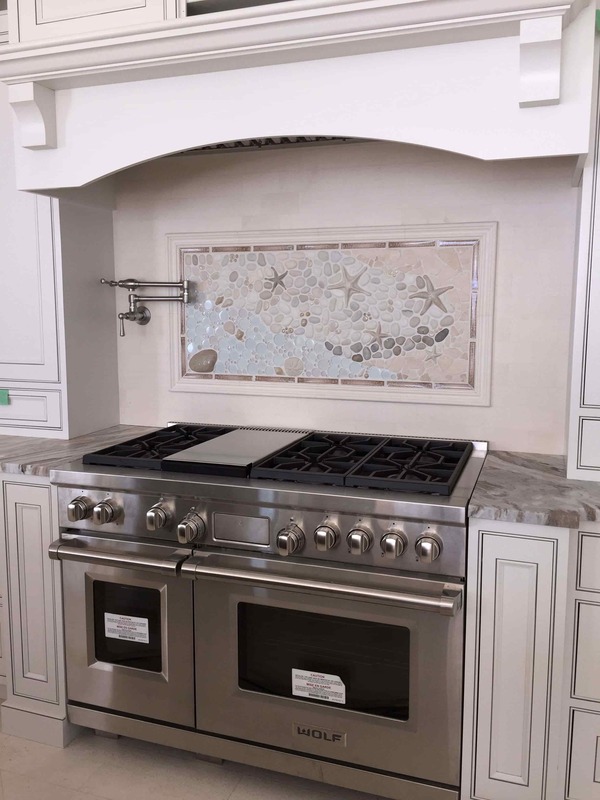 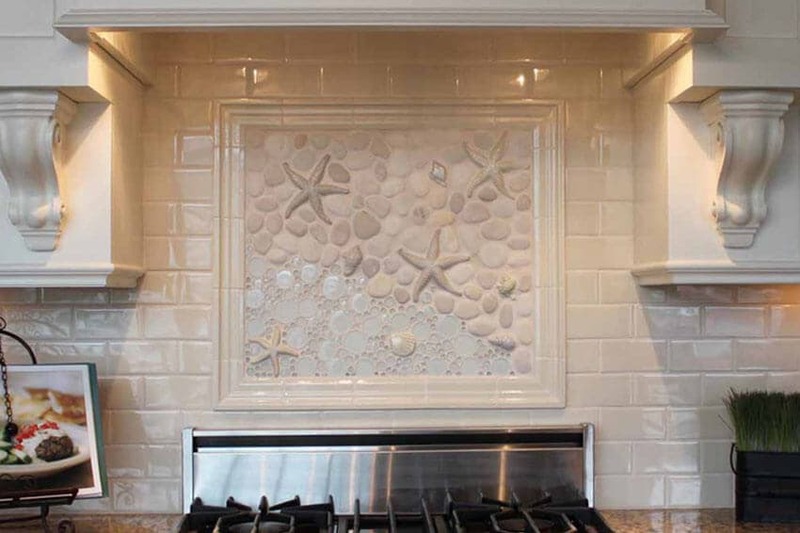 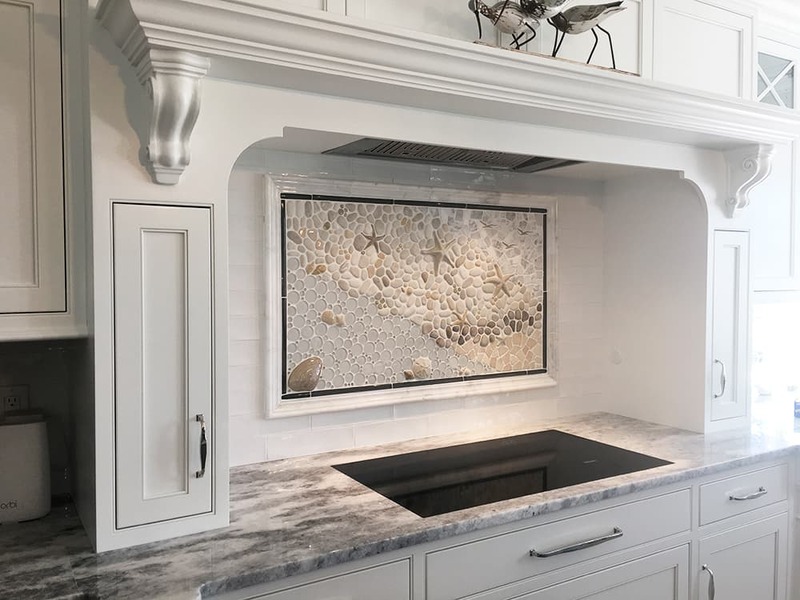 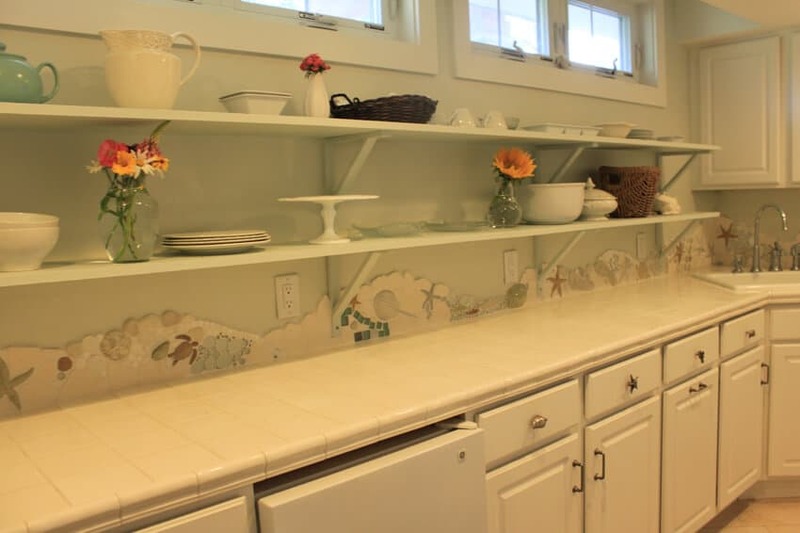 View the Kitchen Gallery to see our backsplash borders and murals, showcasing how they enhance the beauty of the surrounding countertops and cabinetry. 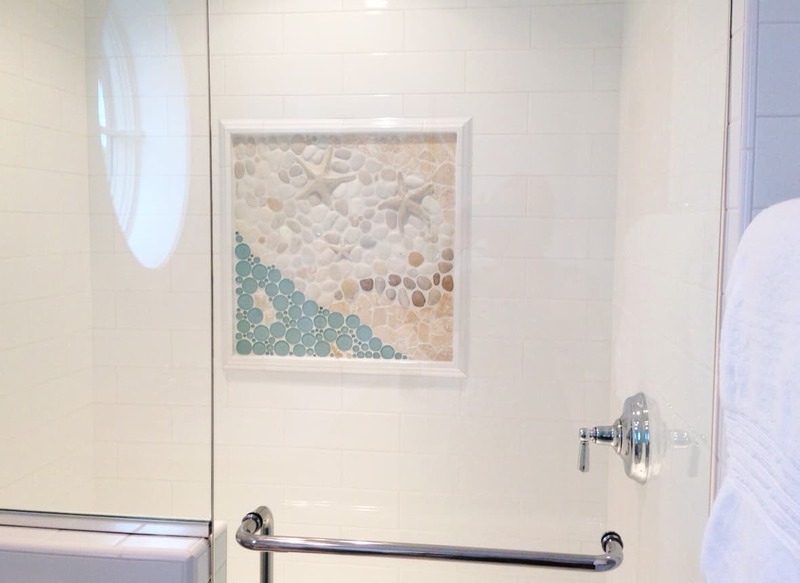 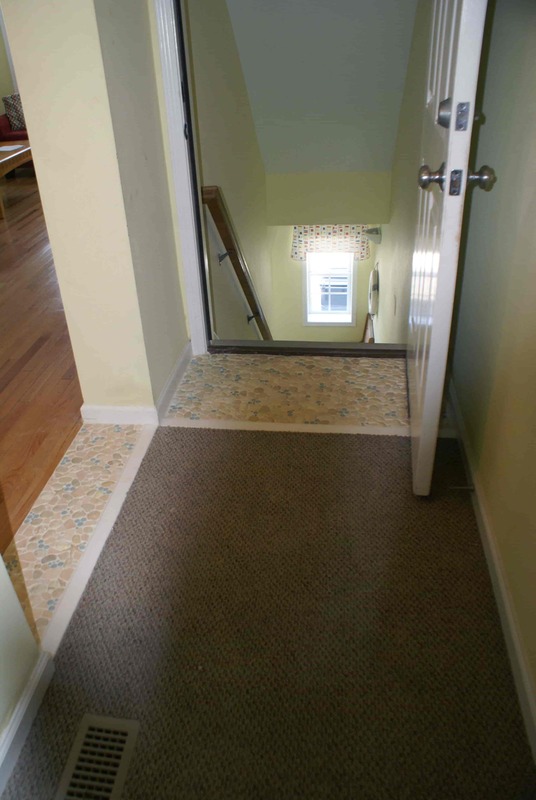 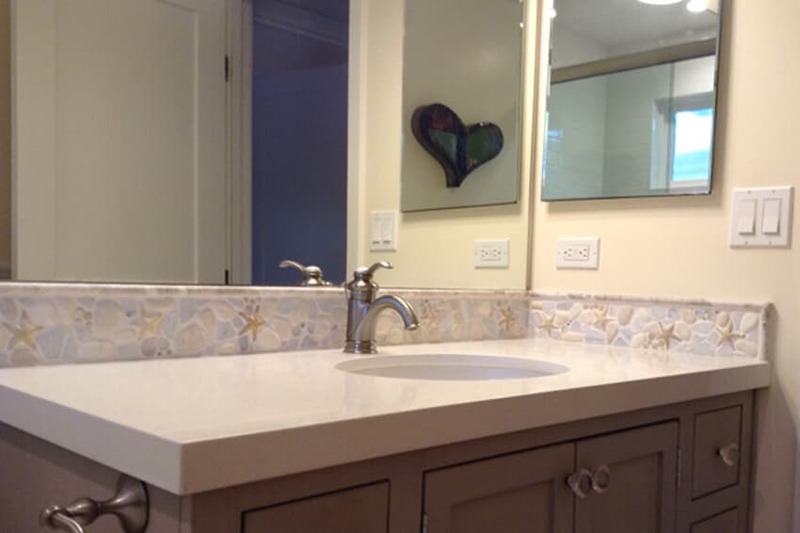 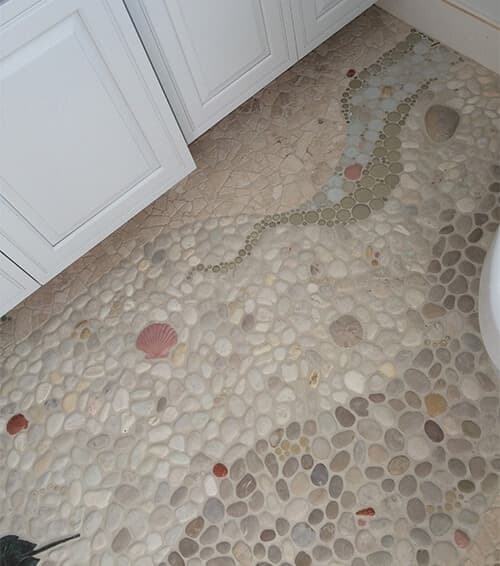 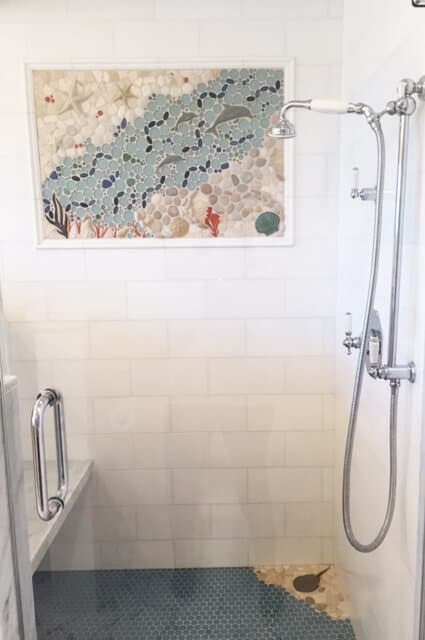 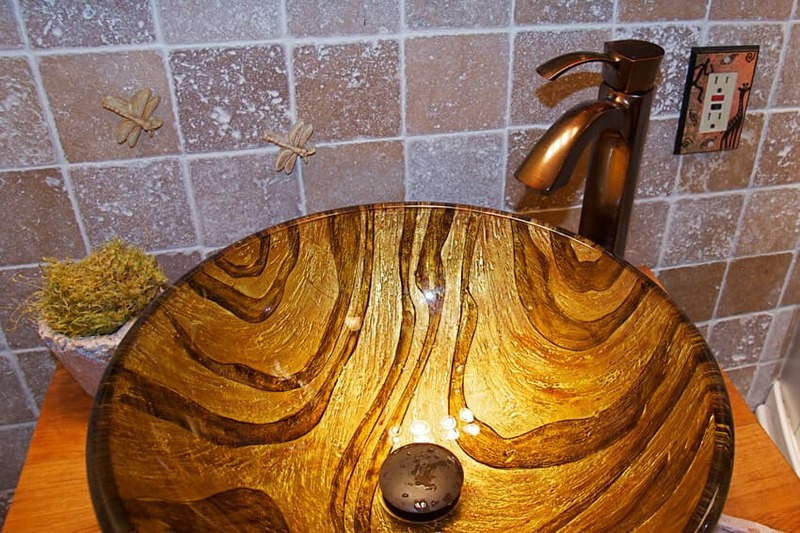 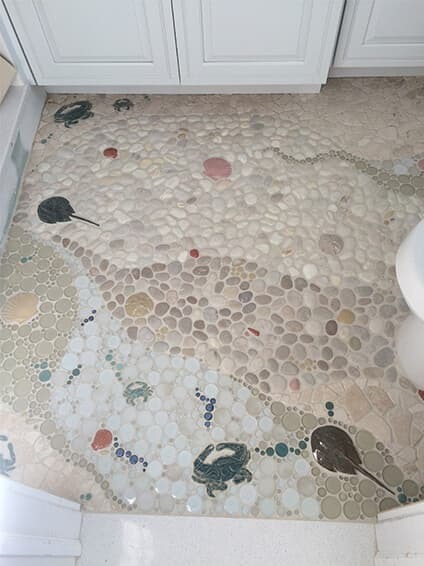 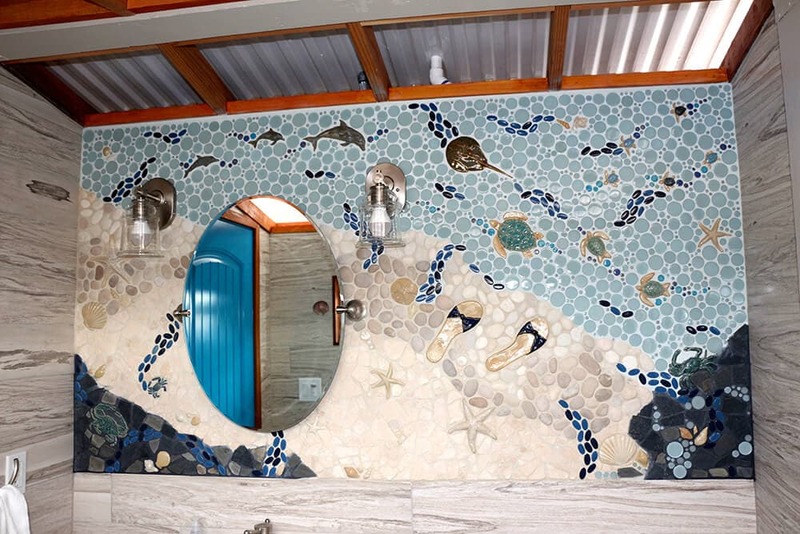 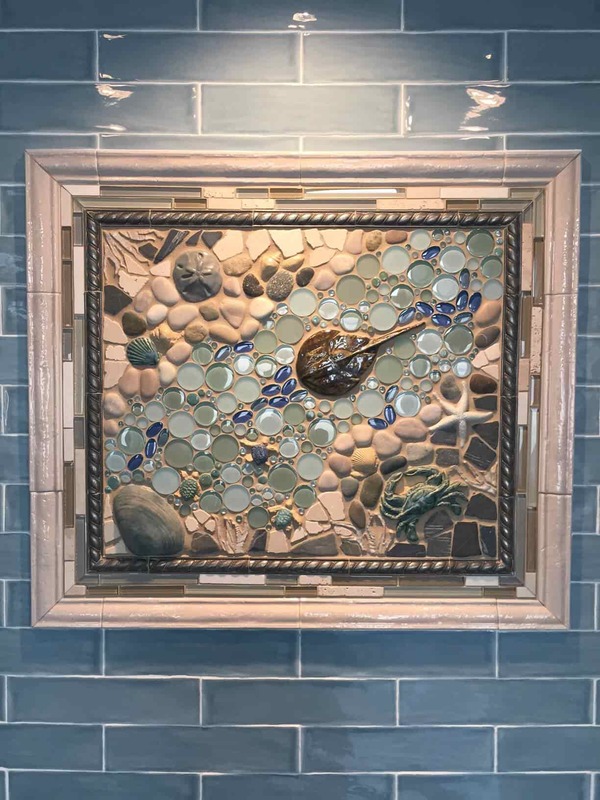 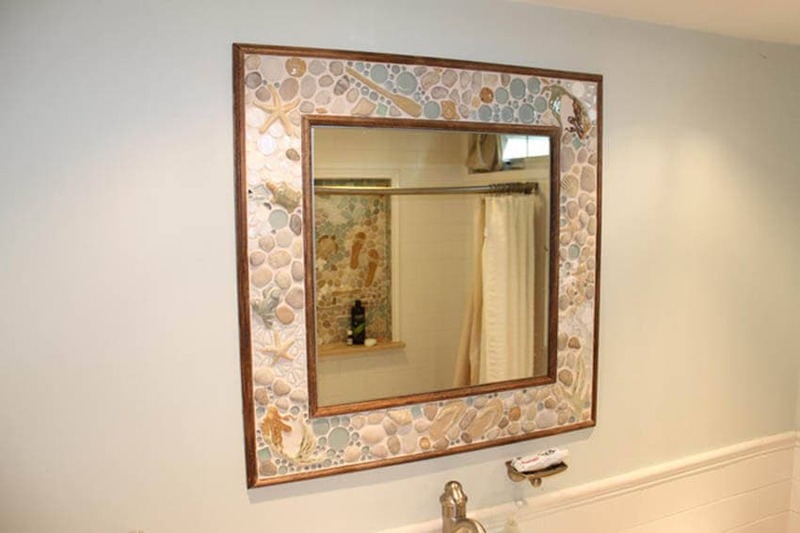 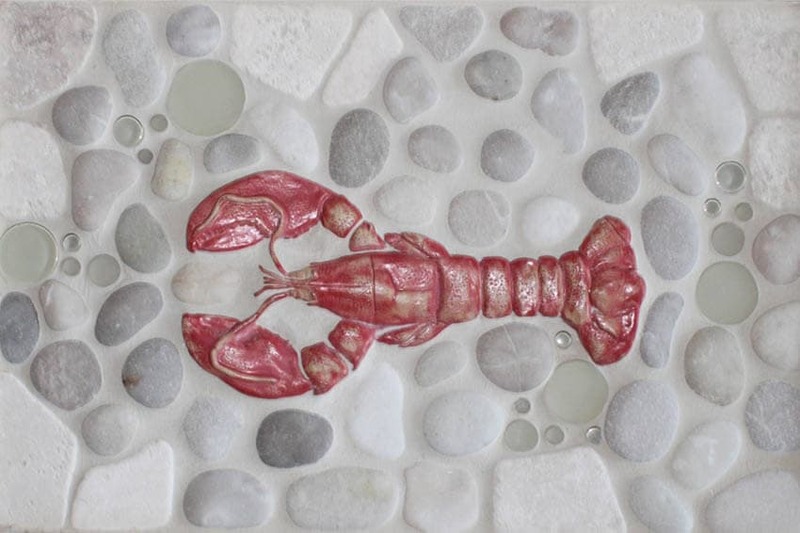 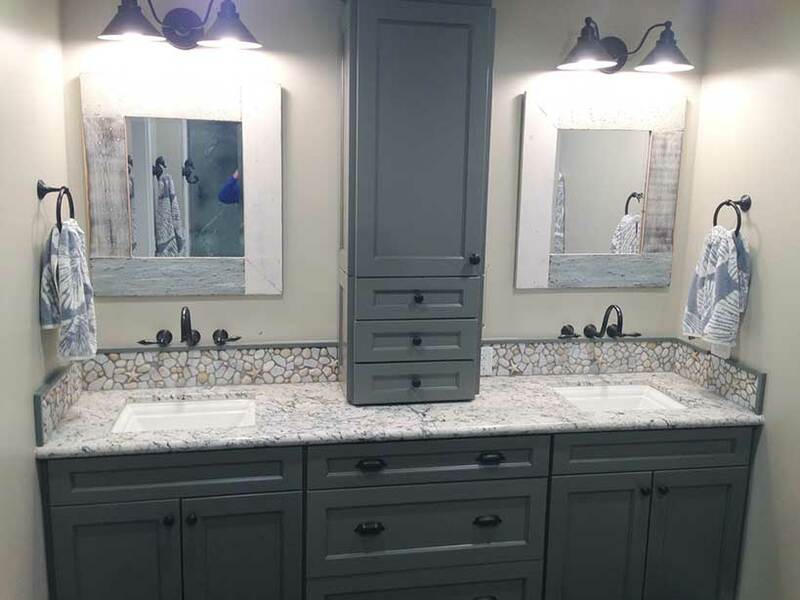 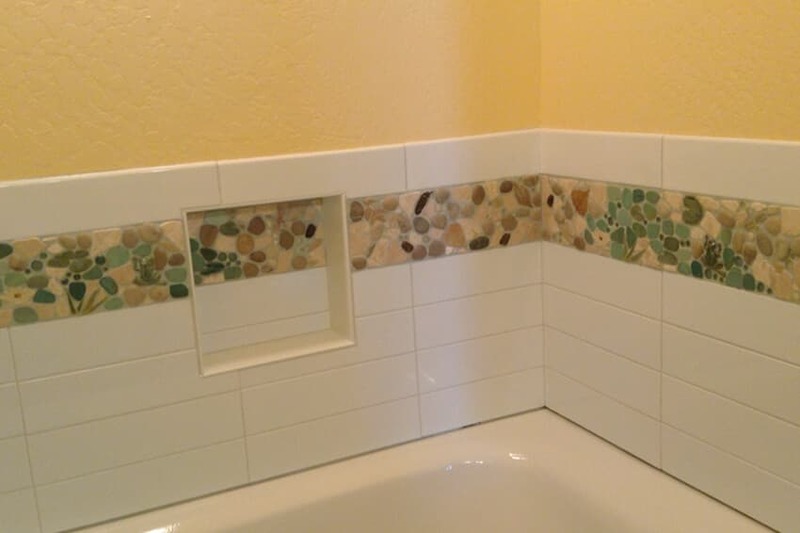 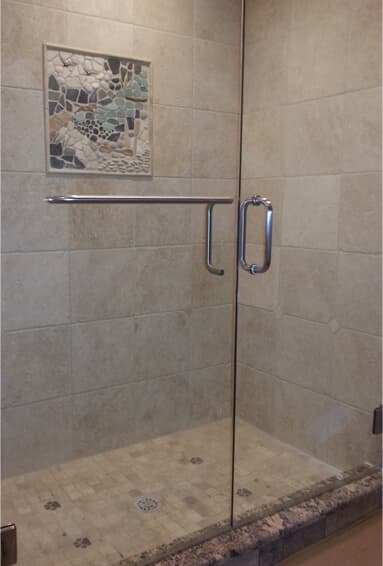 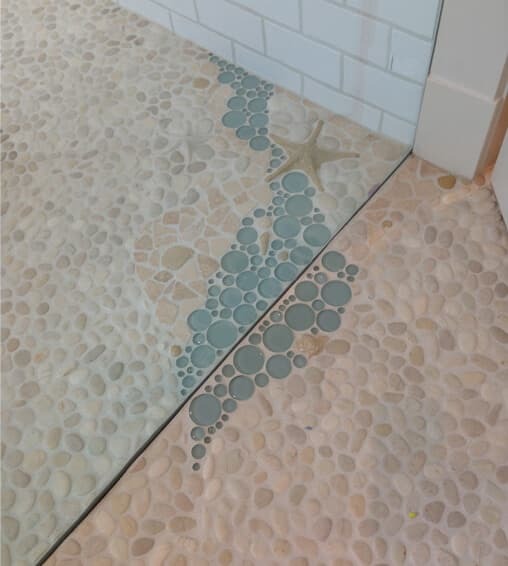 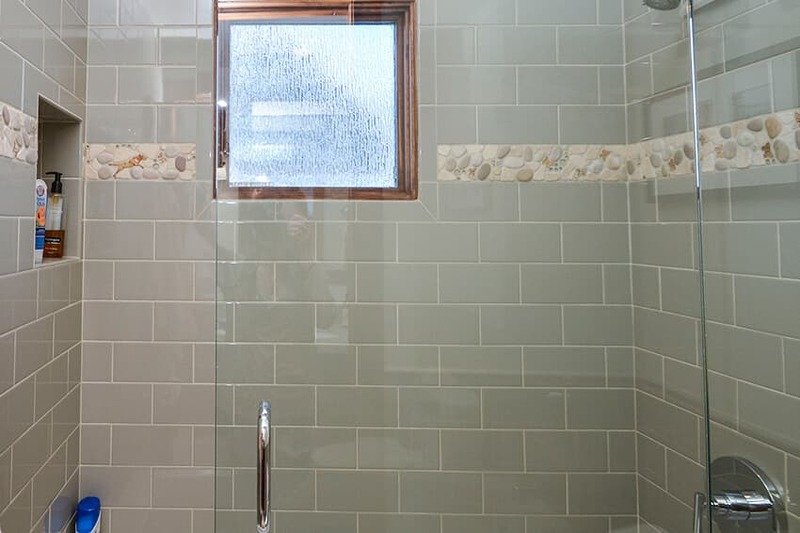 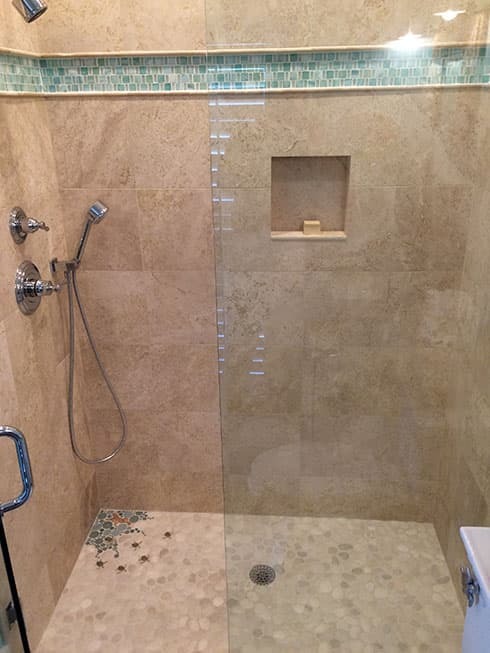 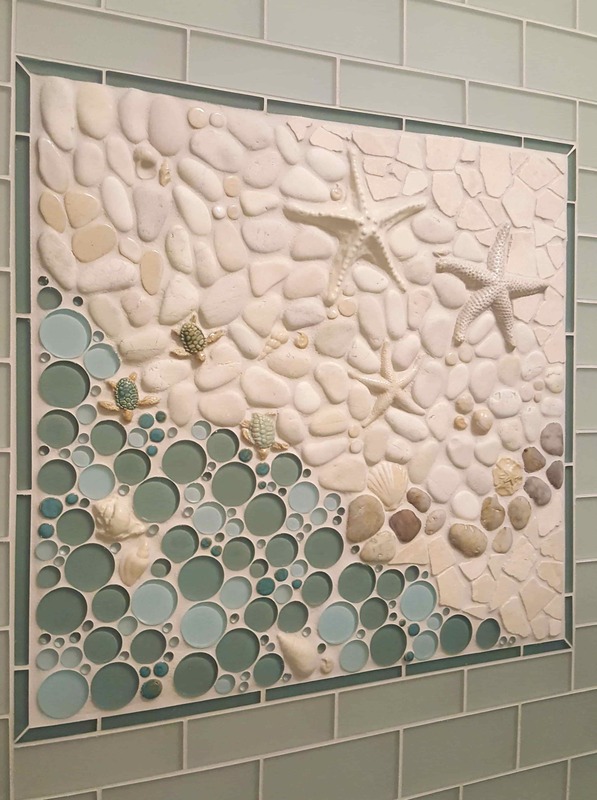 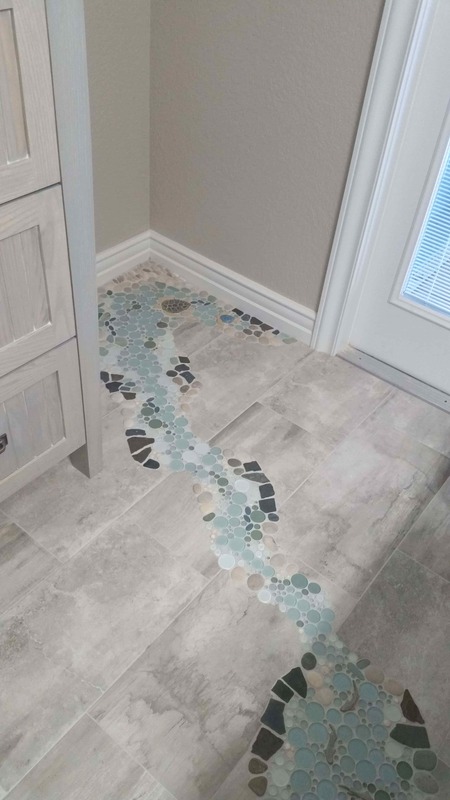 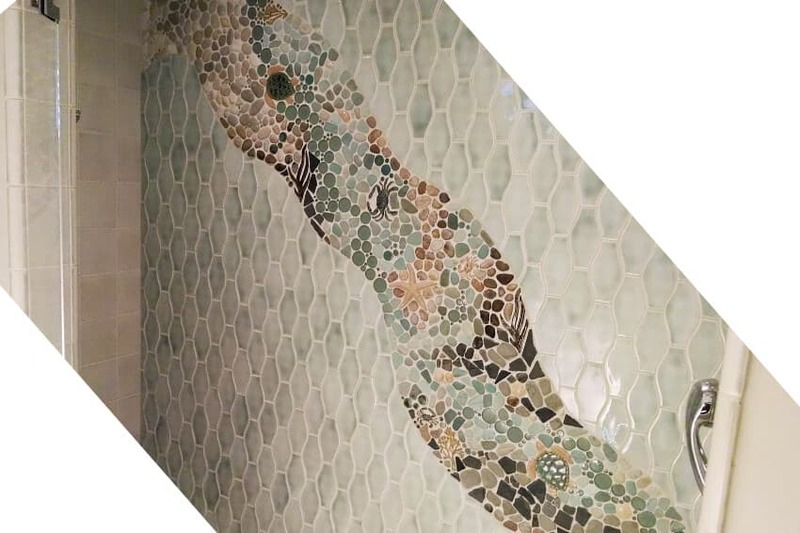 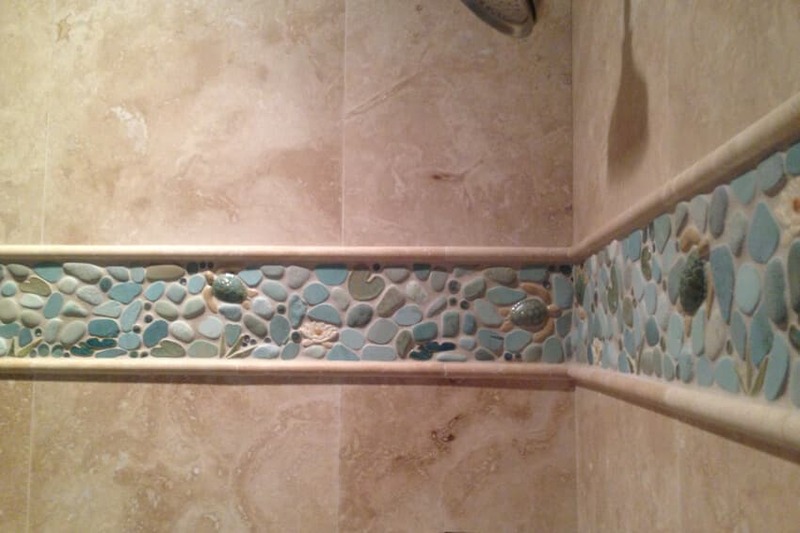 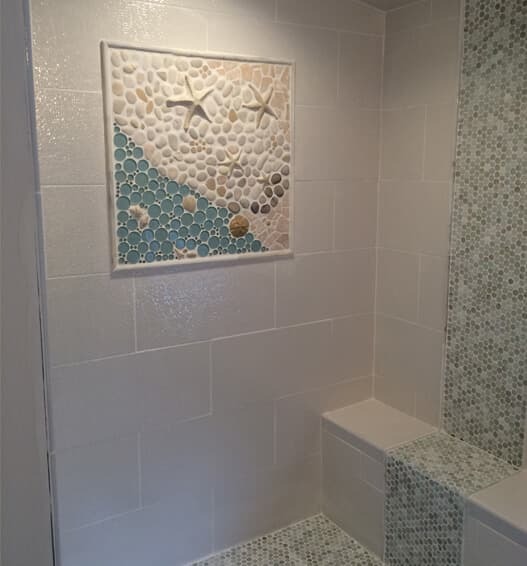 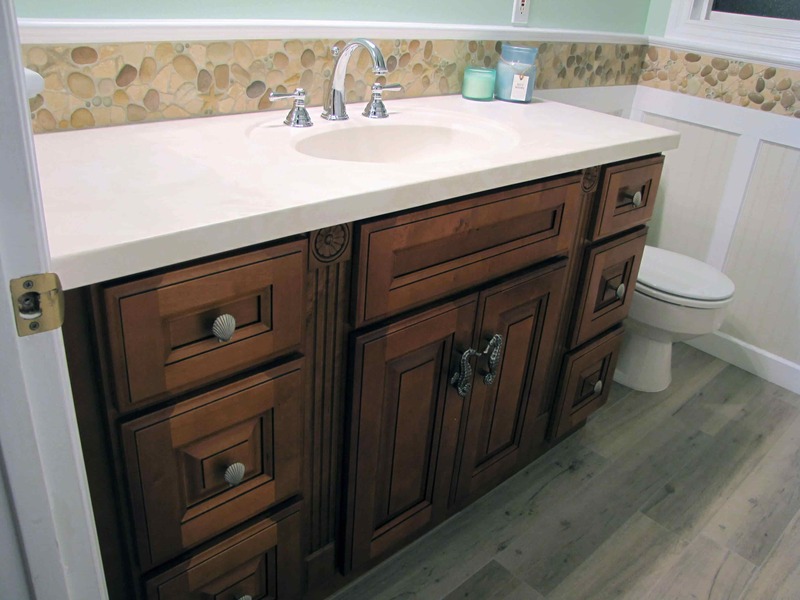 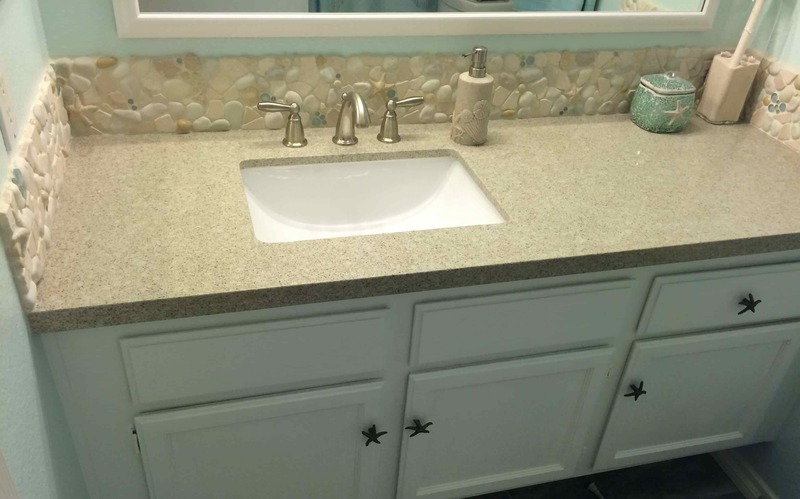 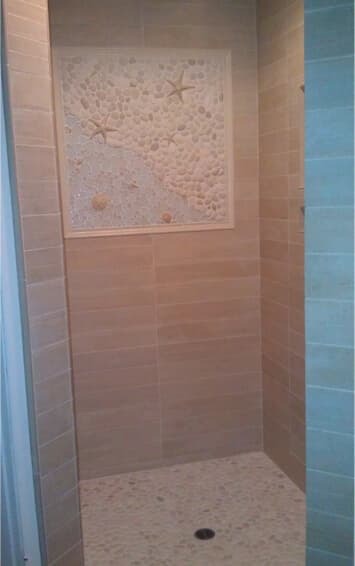 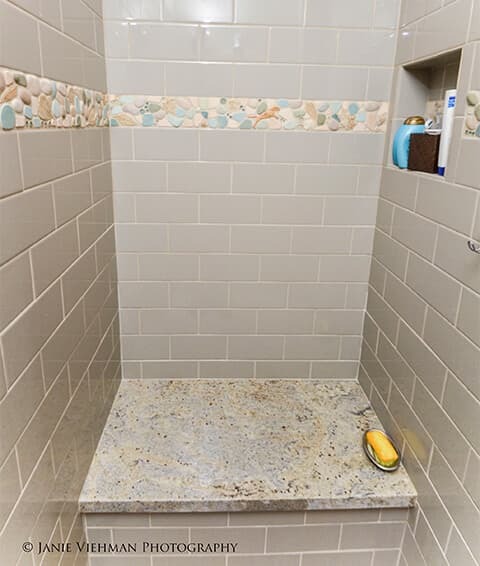 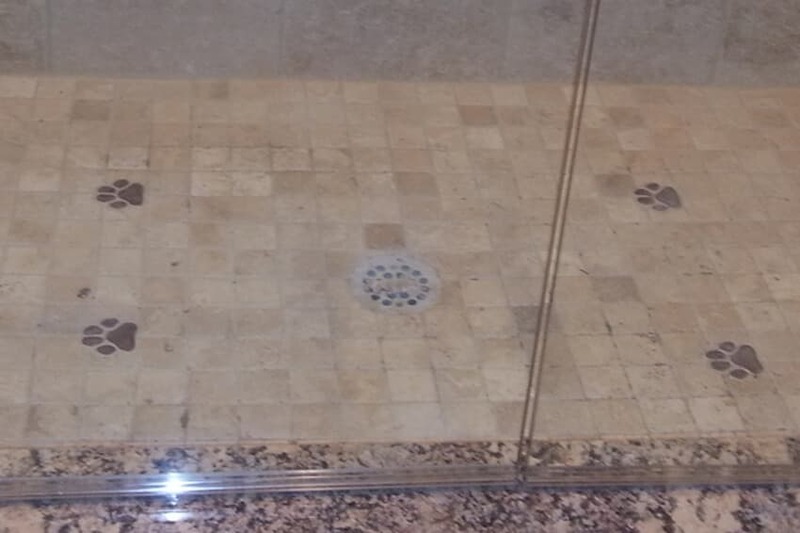 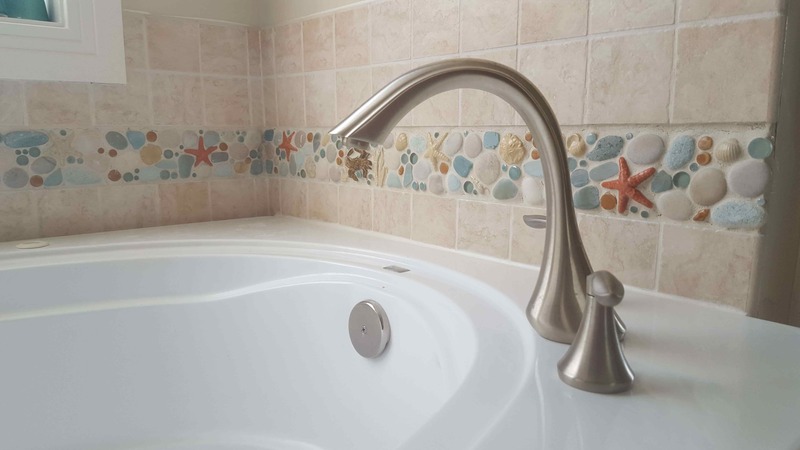 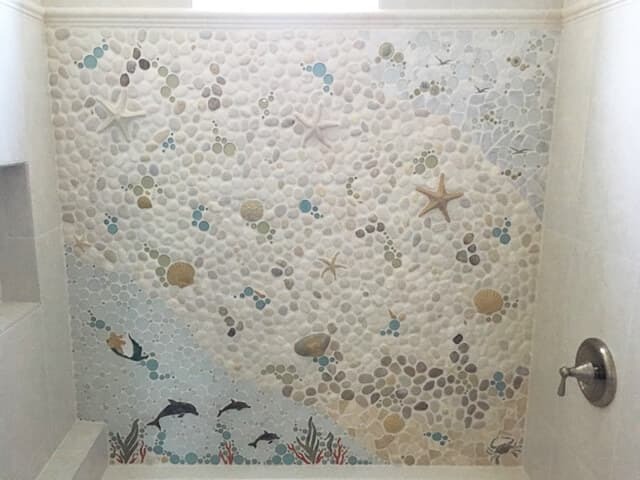 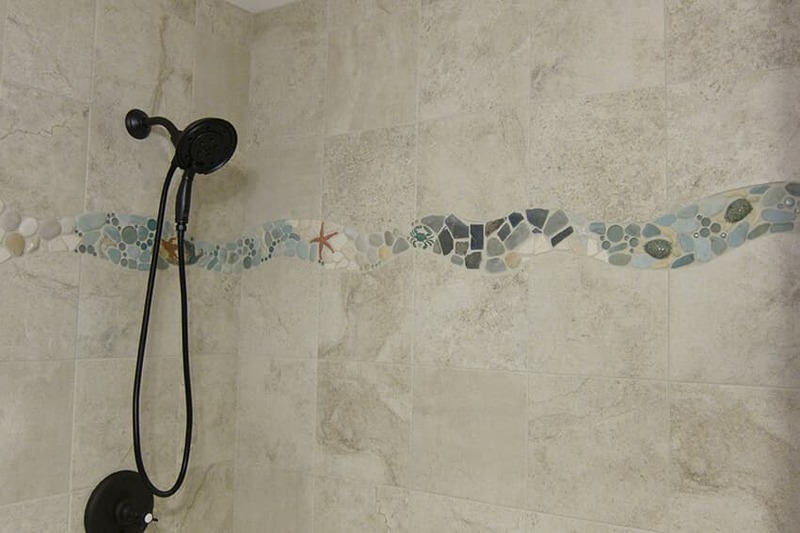 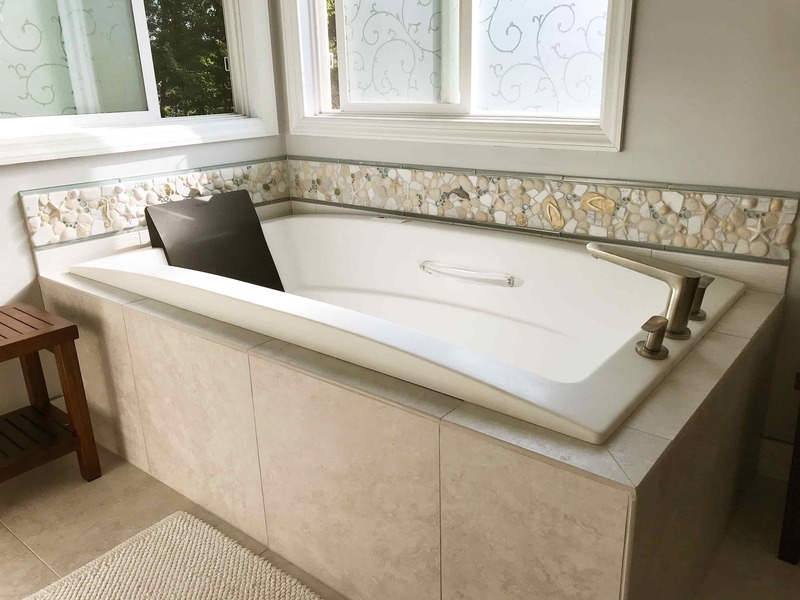 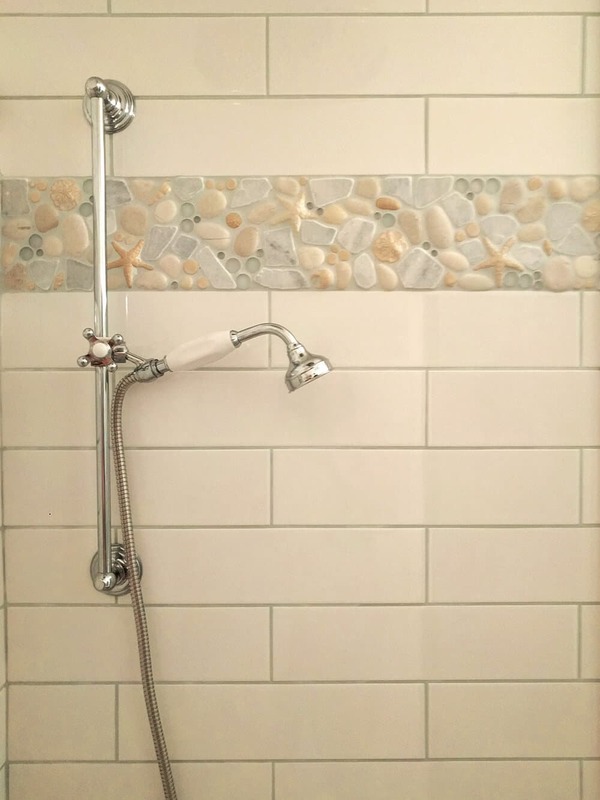 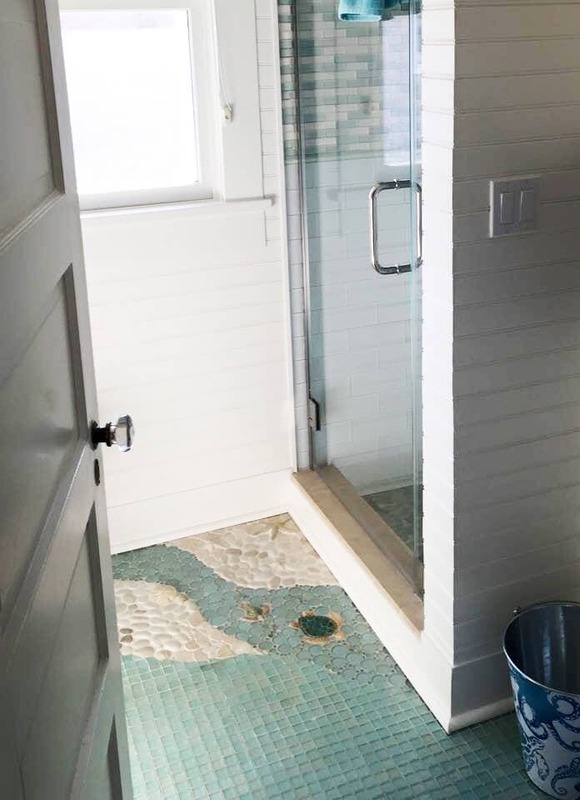 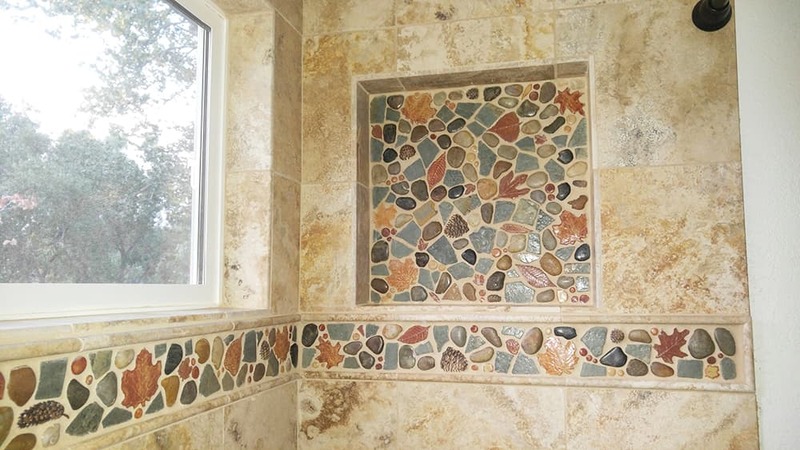 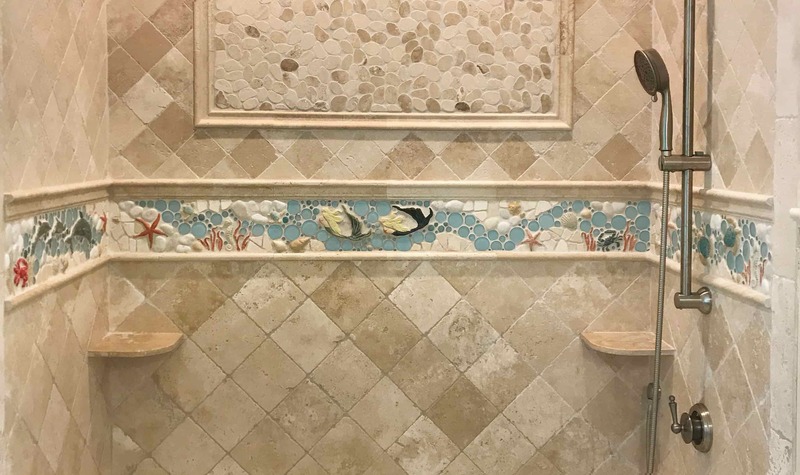 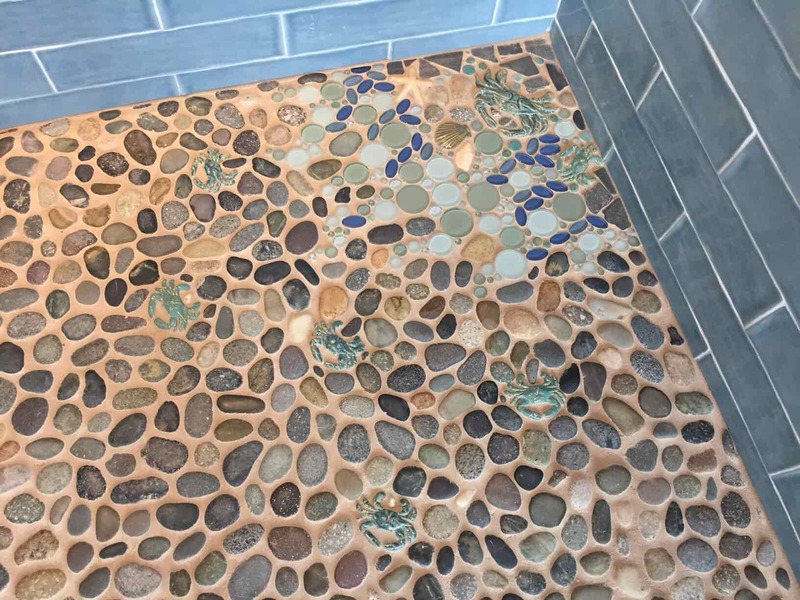 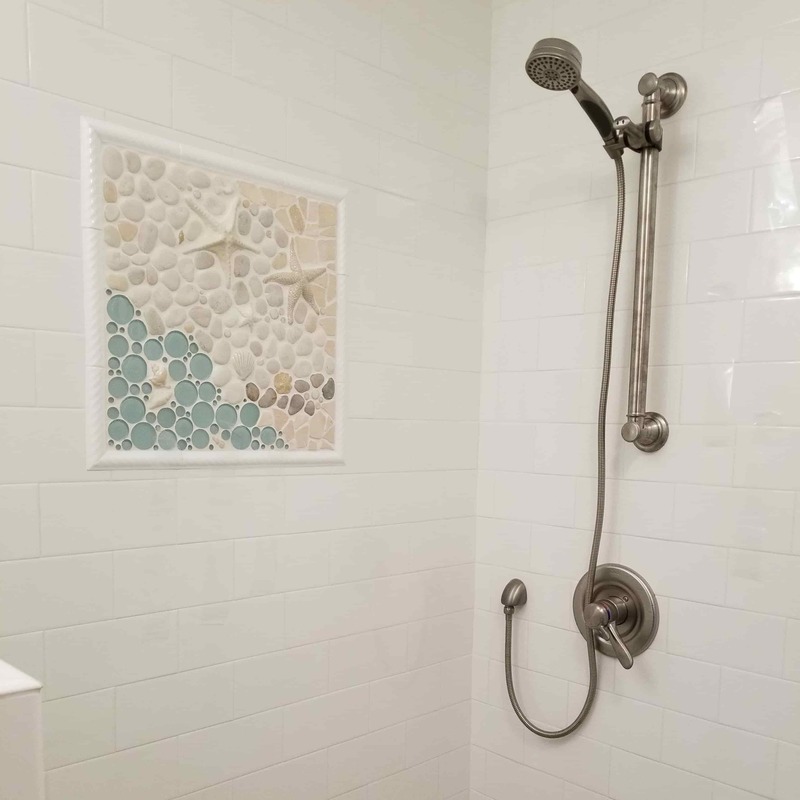 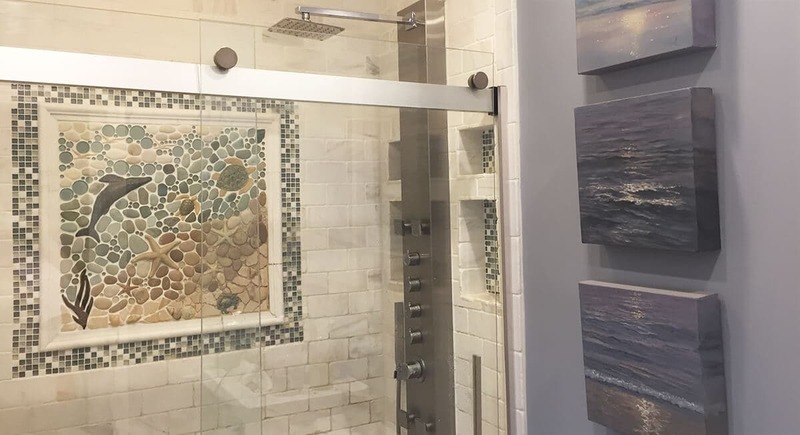 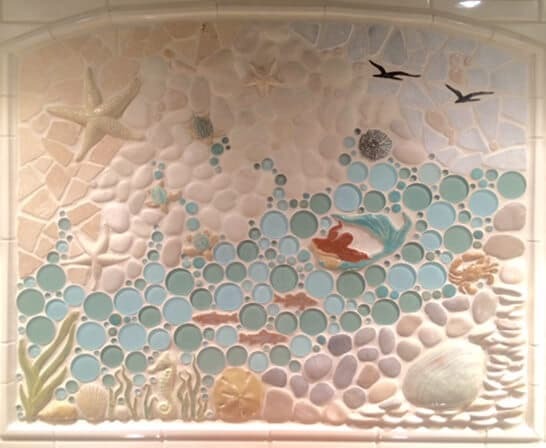 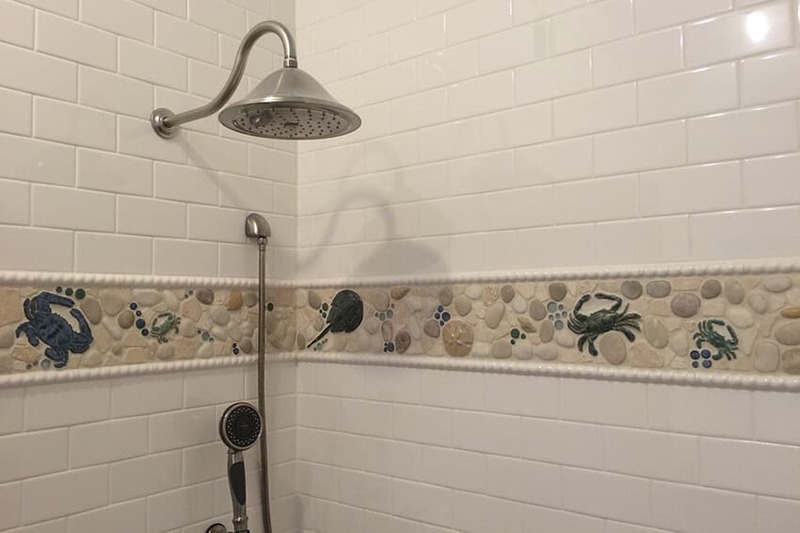 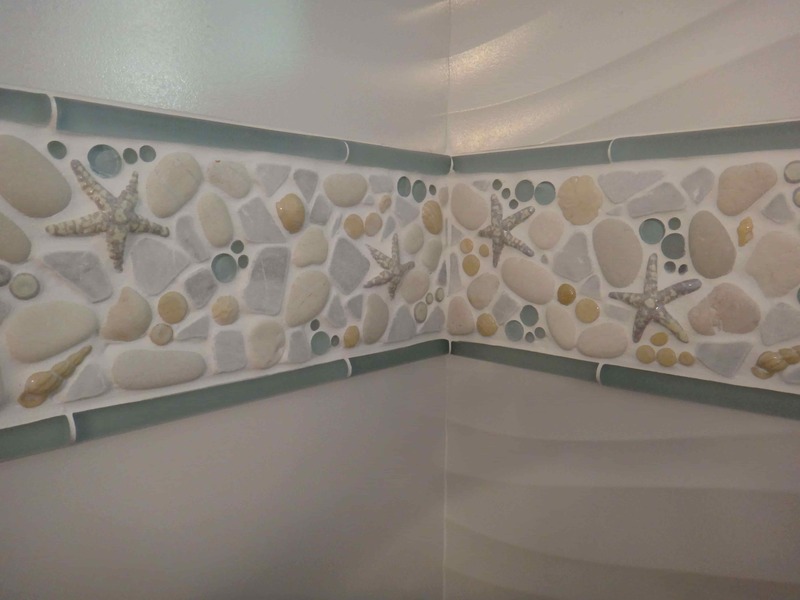 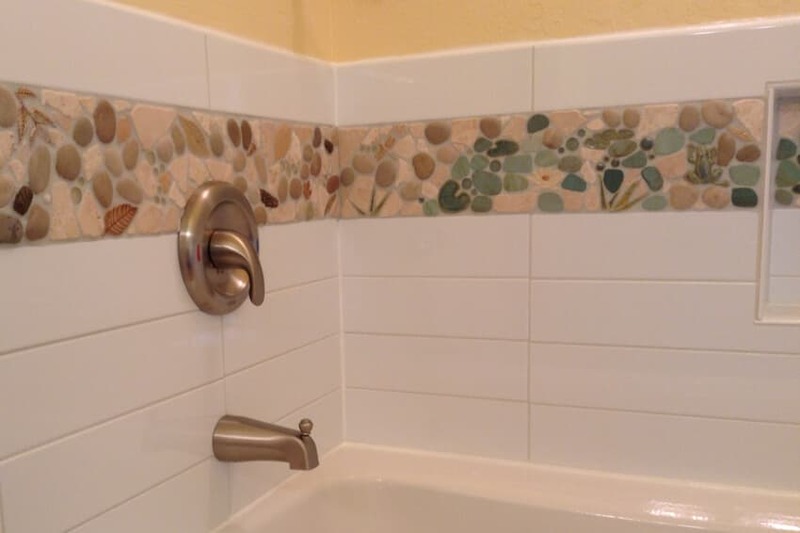 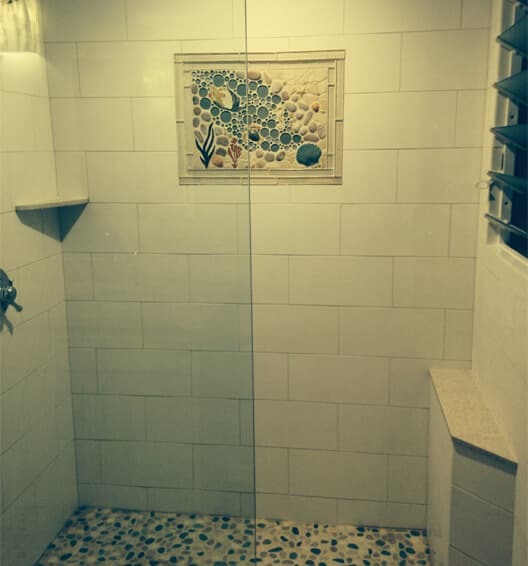 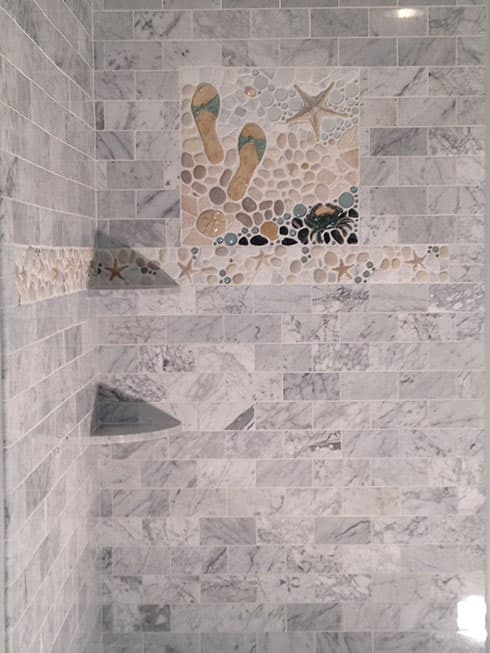 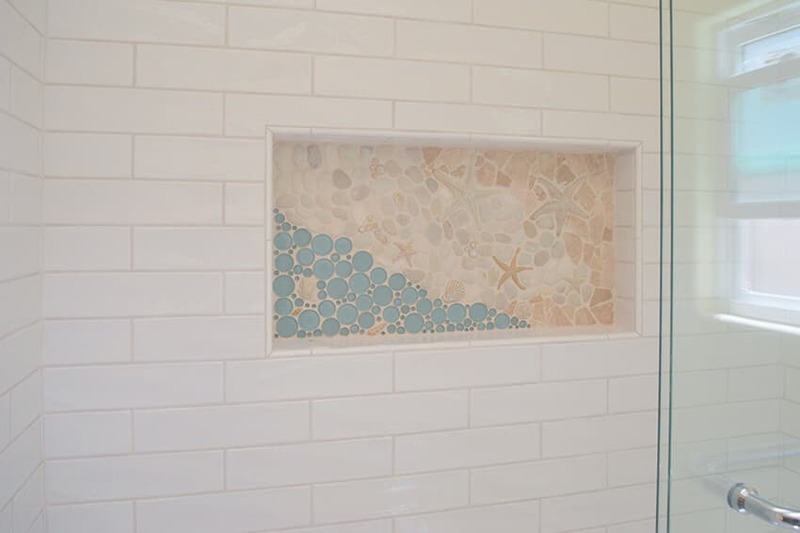 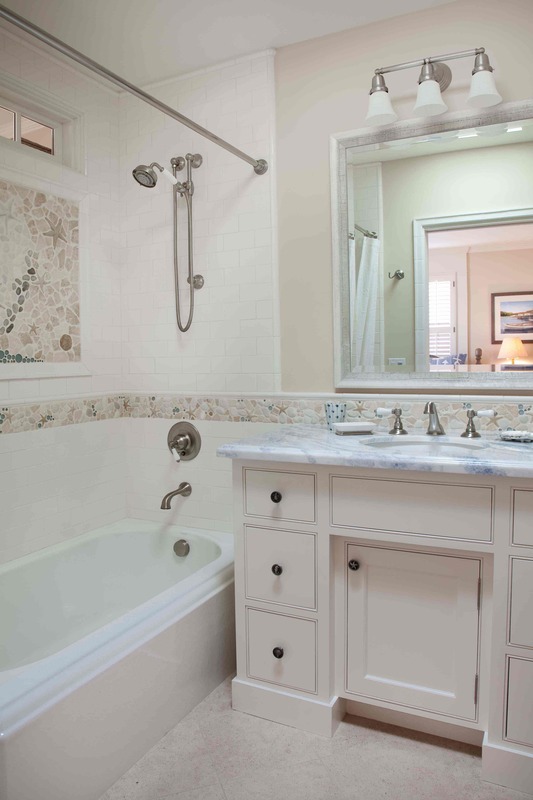 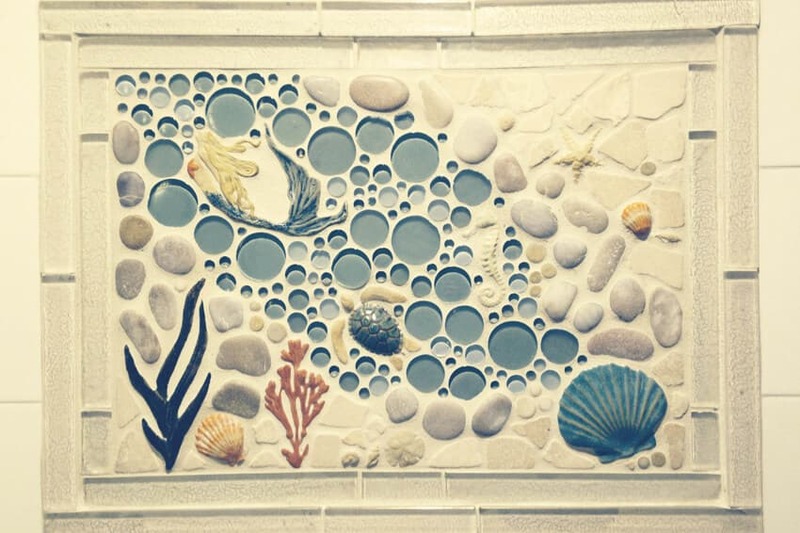 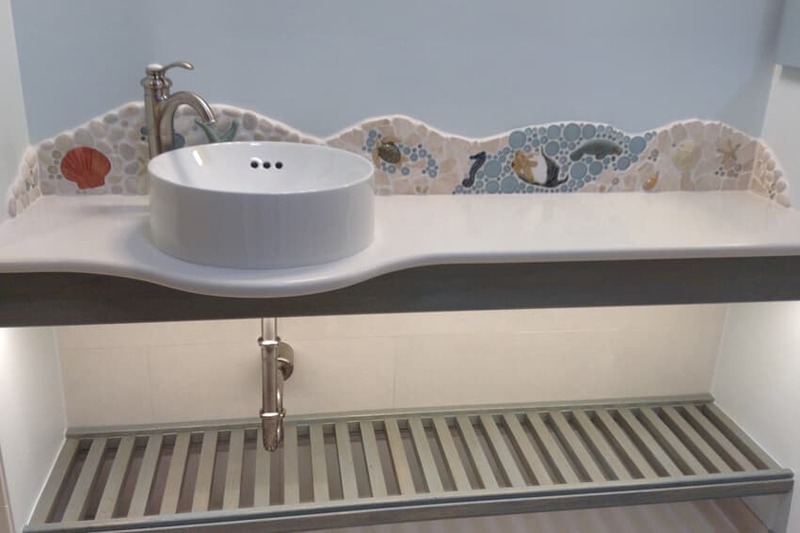 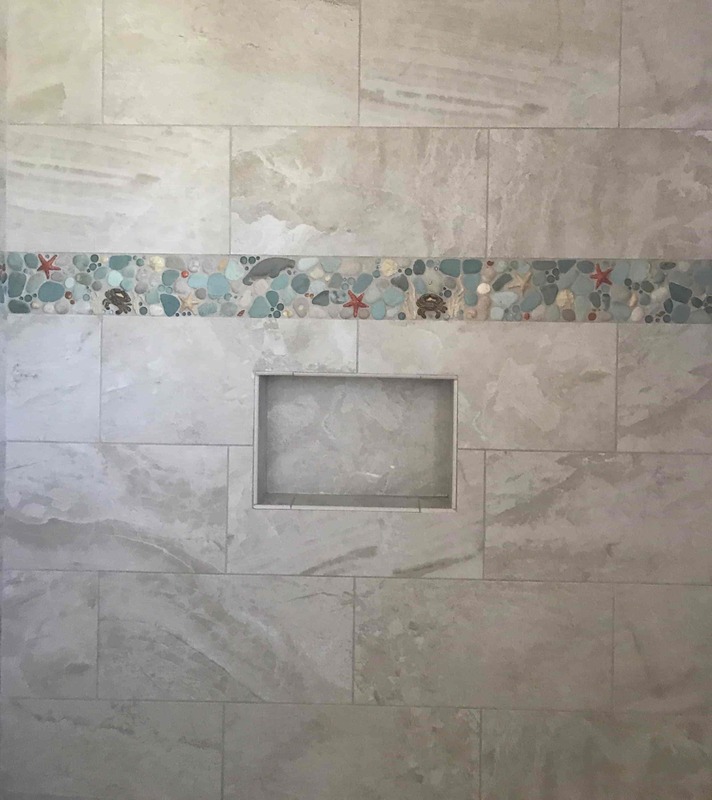 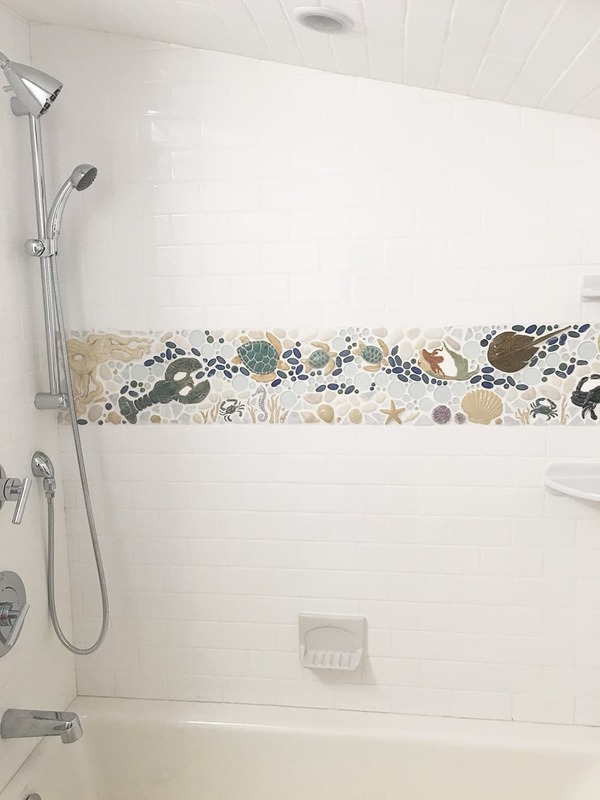 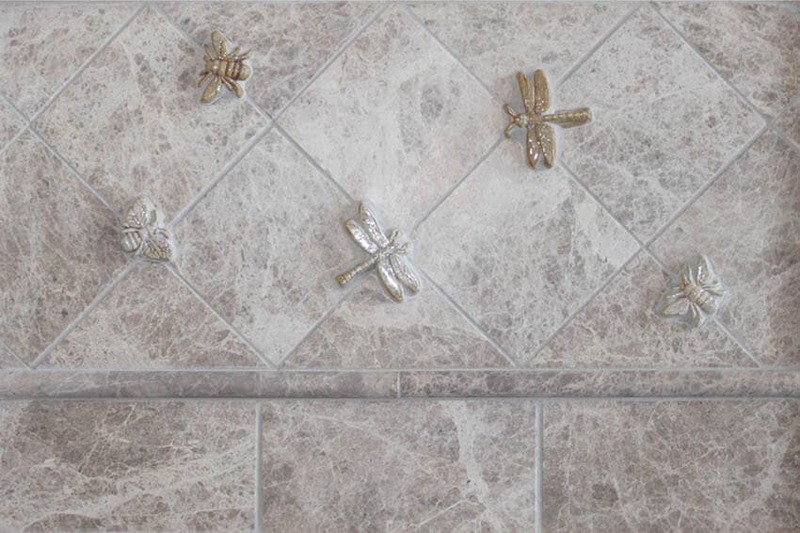 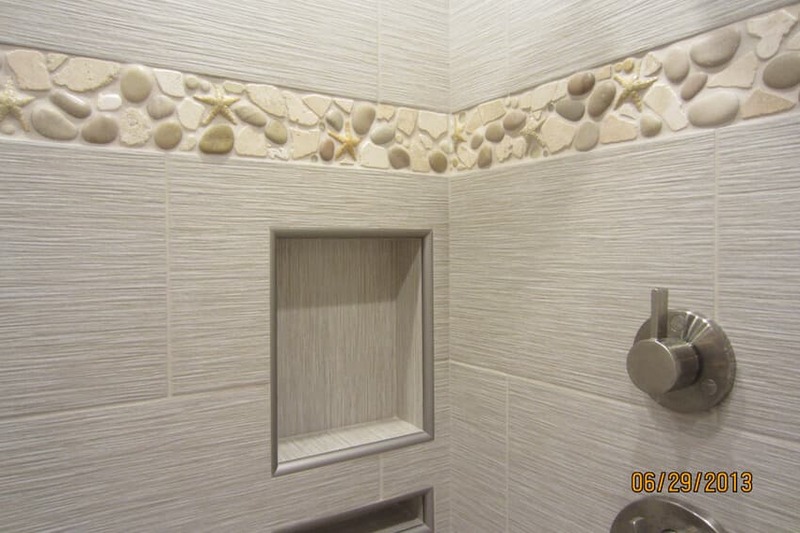 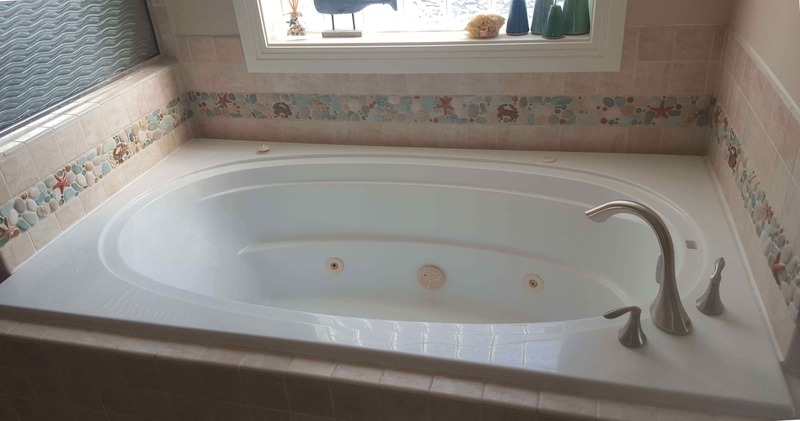 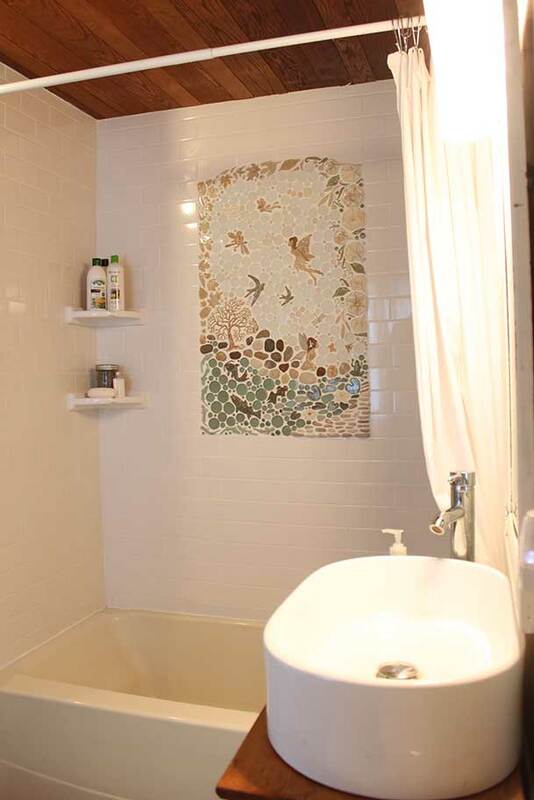 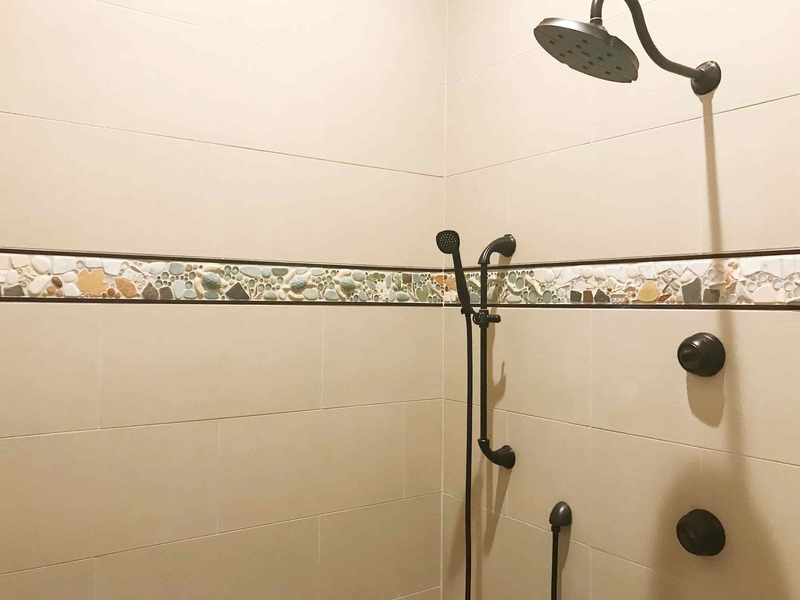 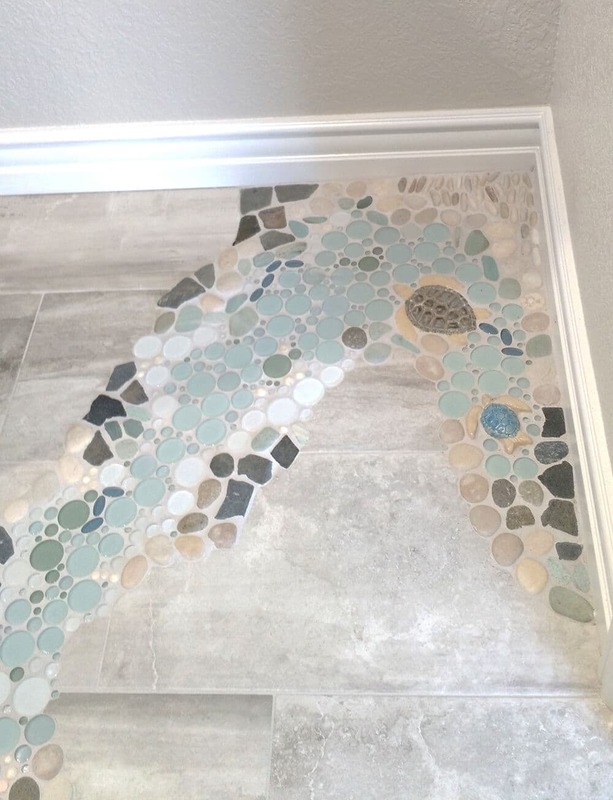 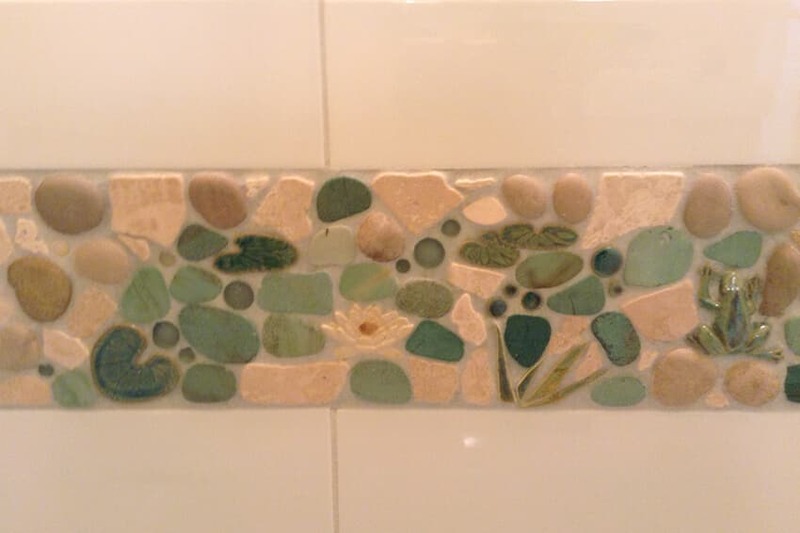 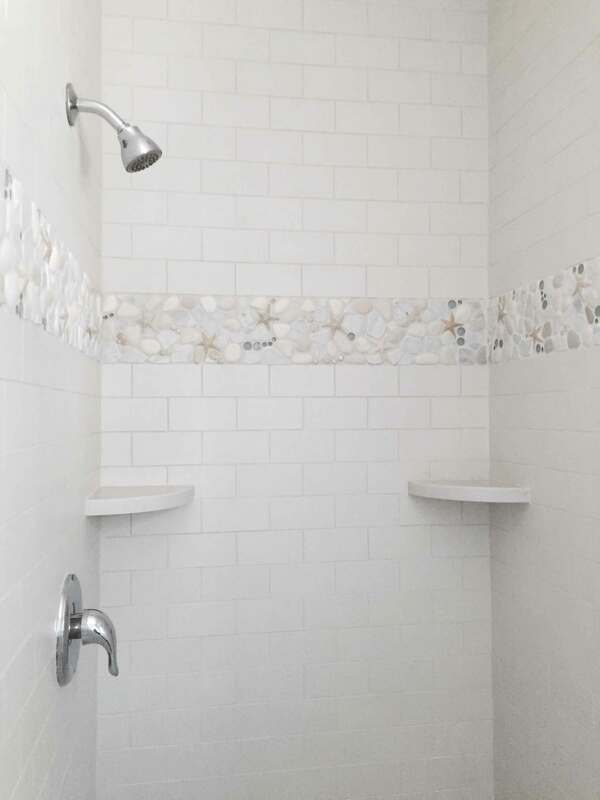 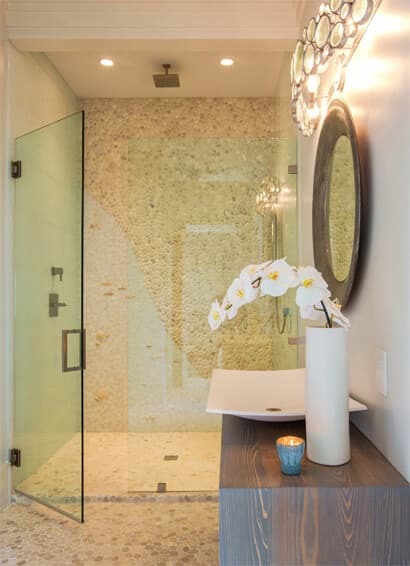 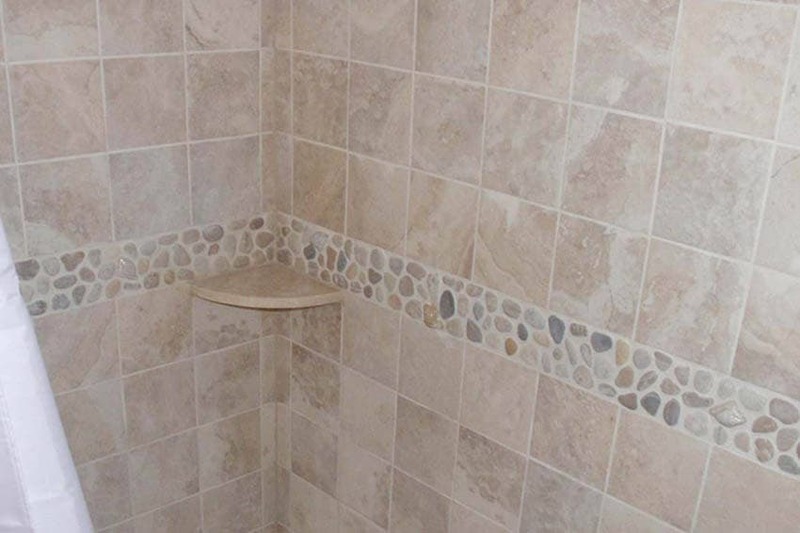 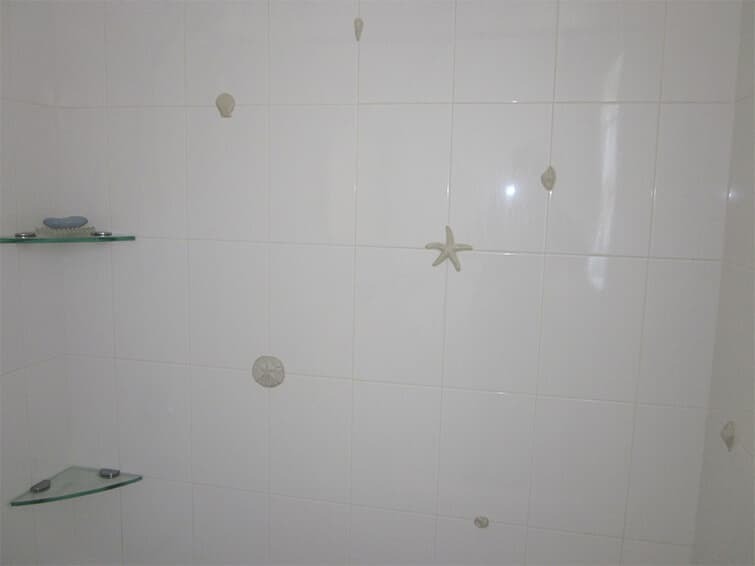 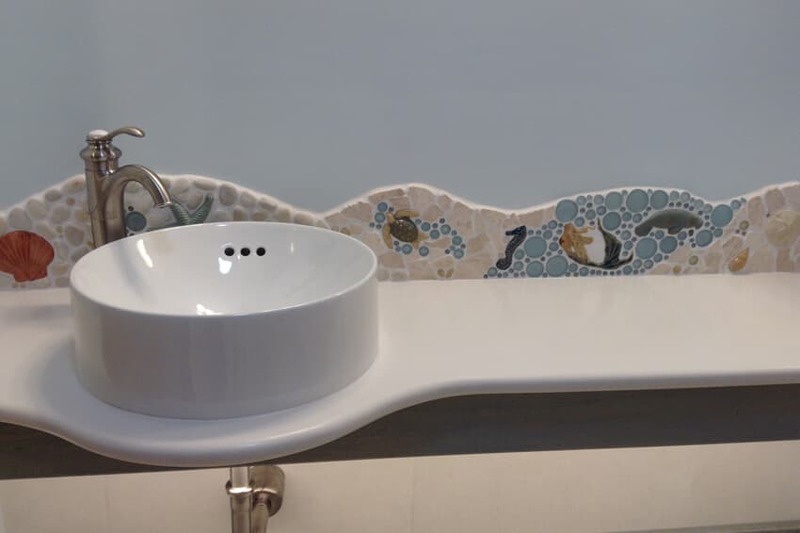 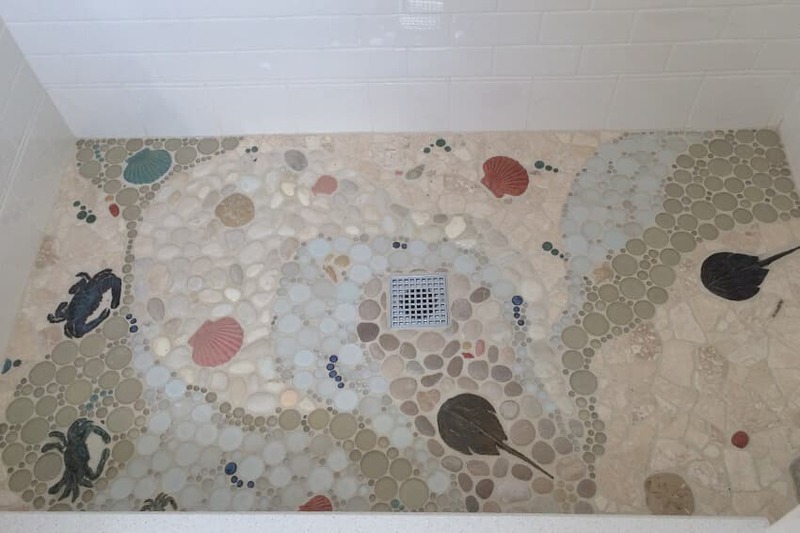 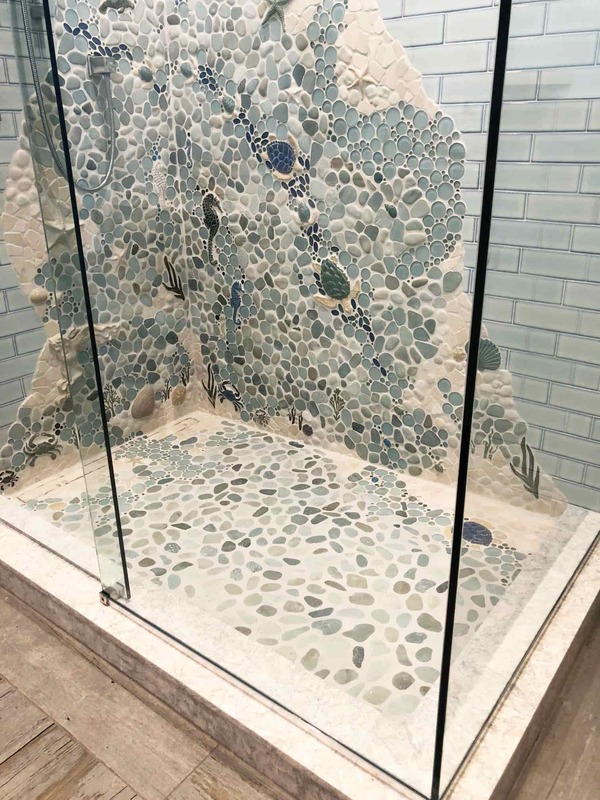 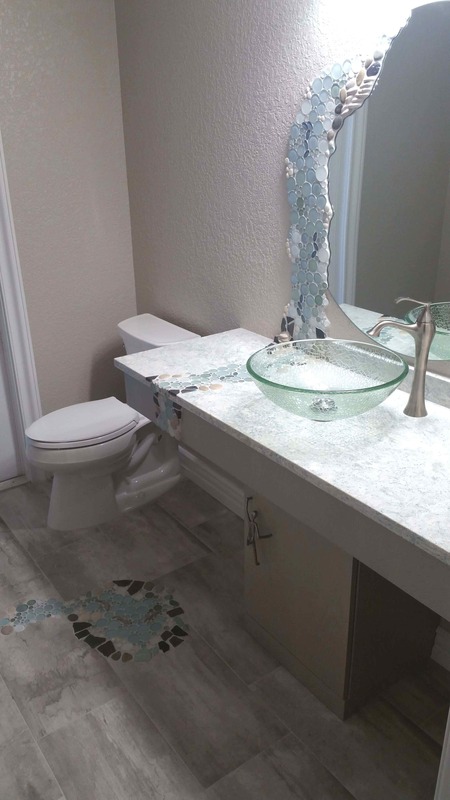 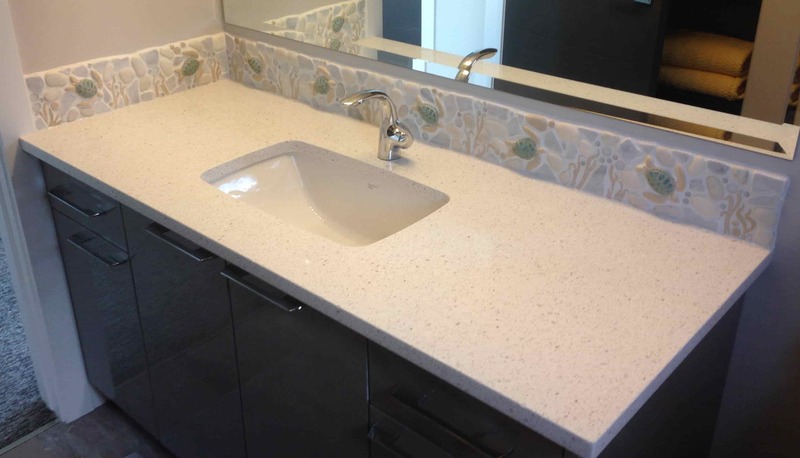 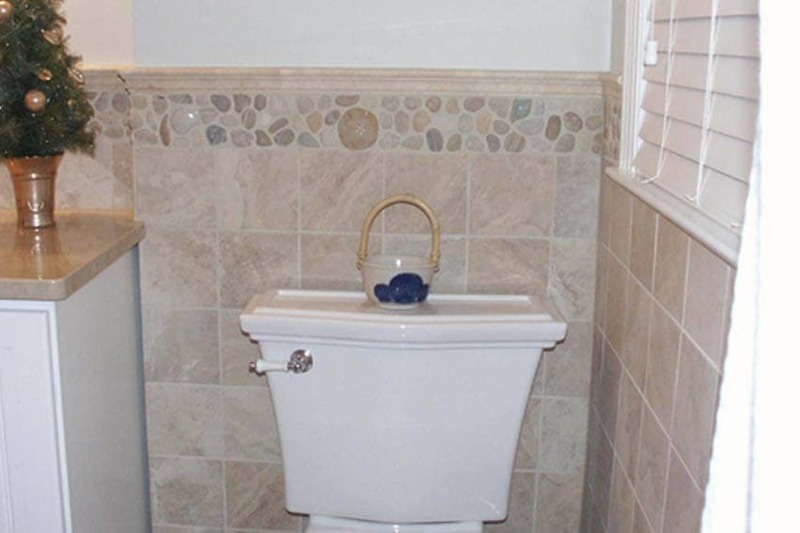 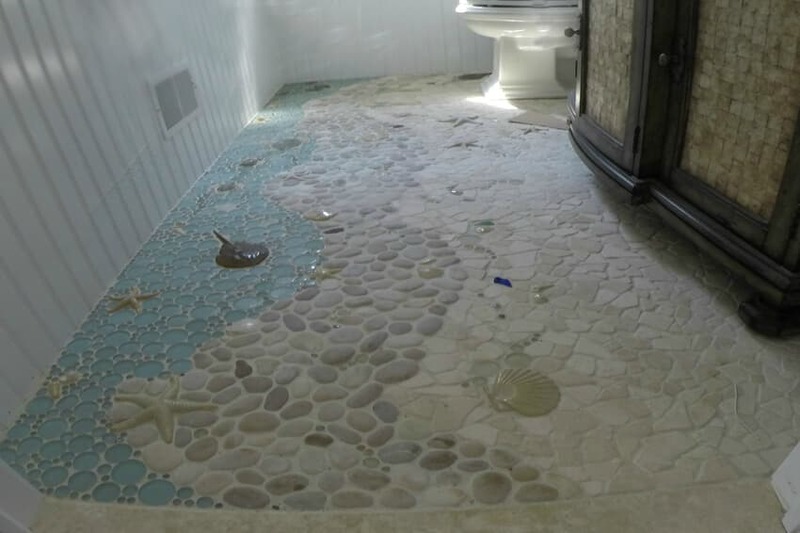 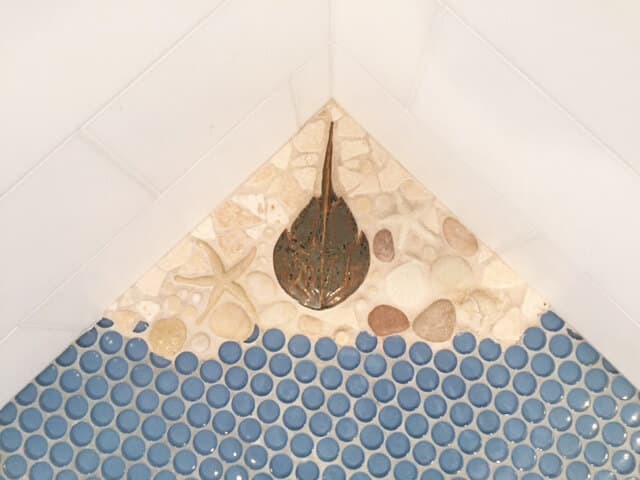 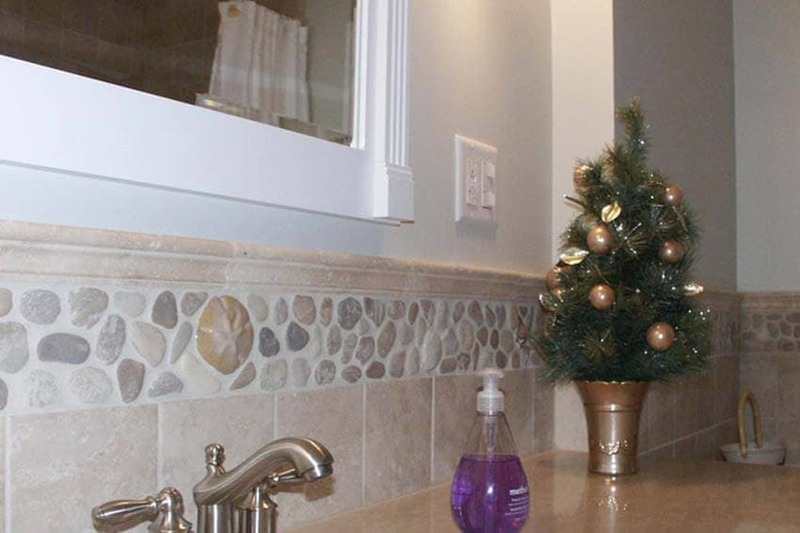 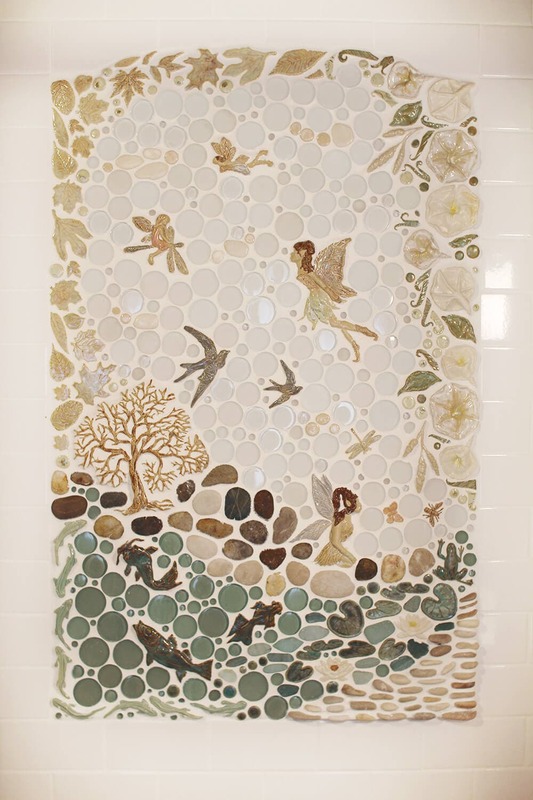 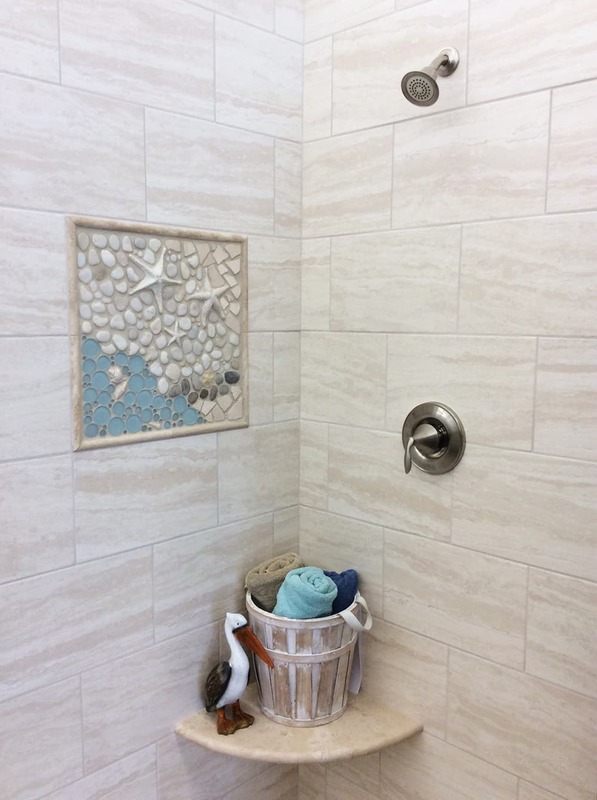 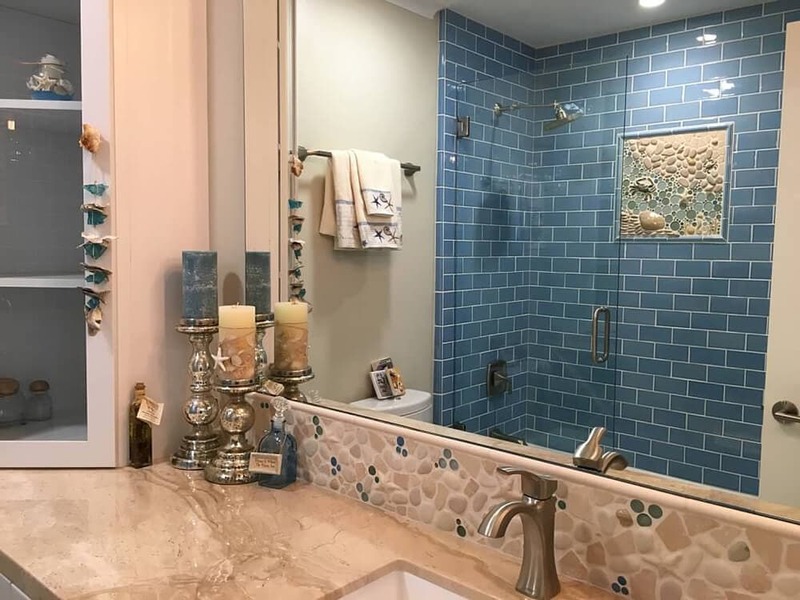 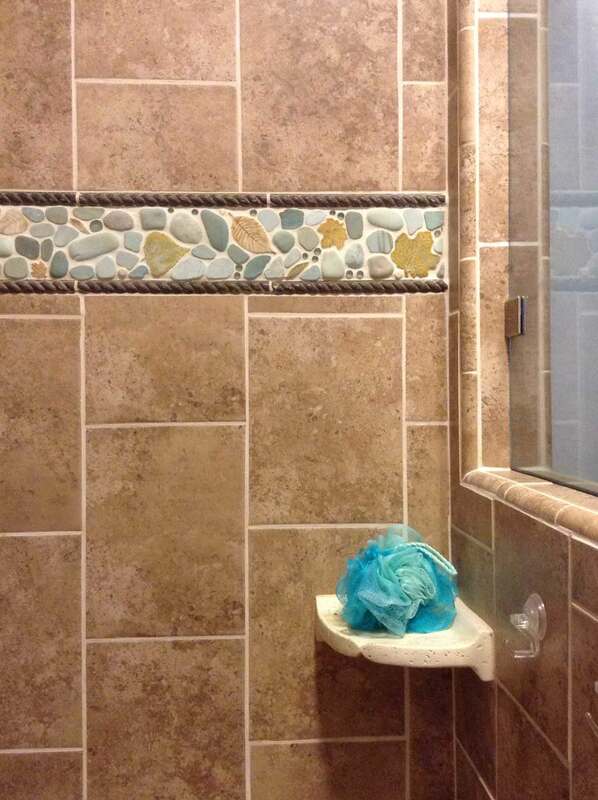 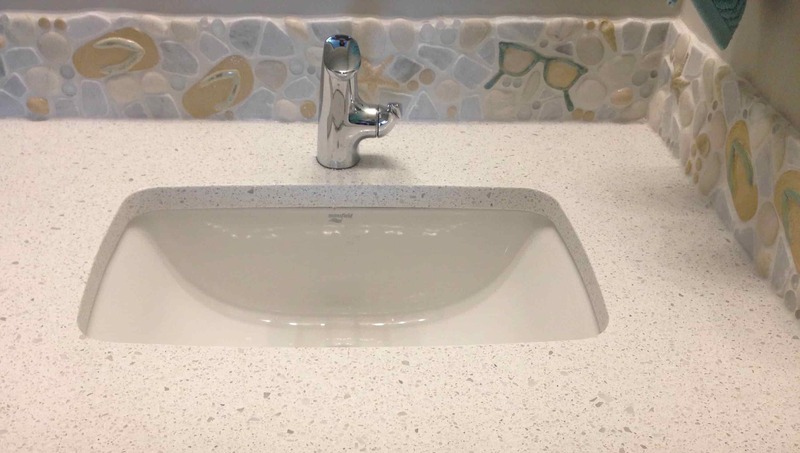 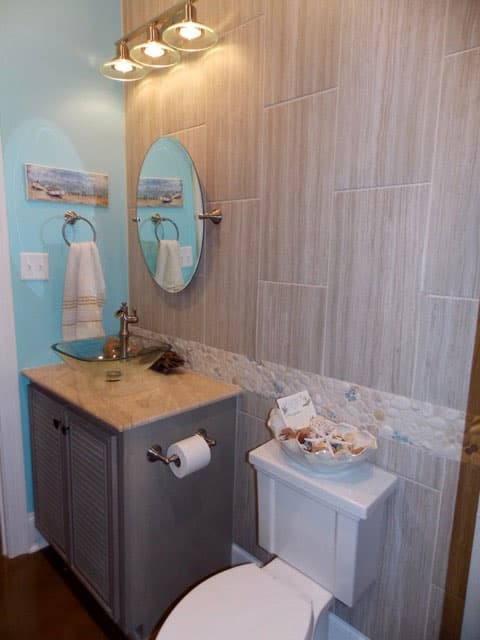 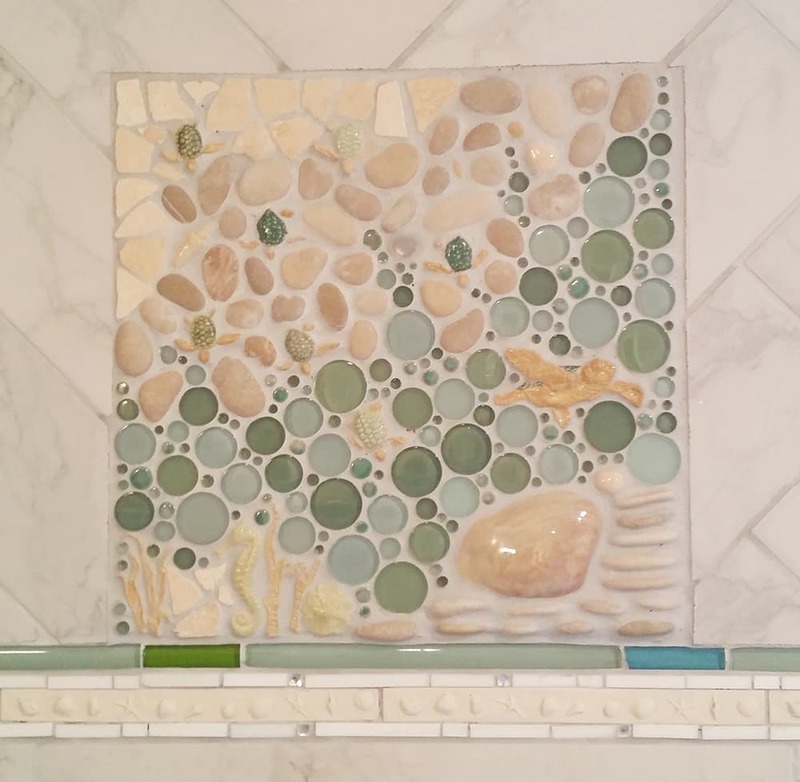 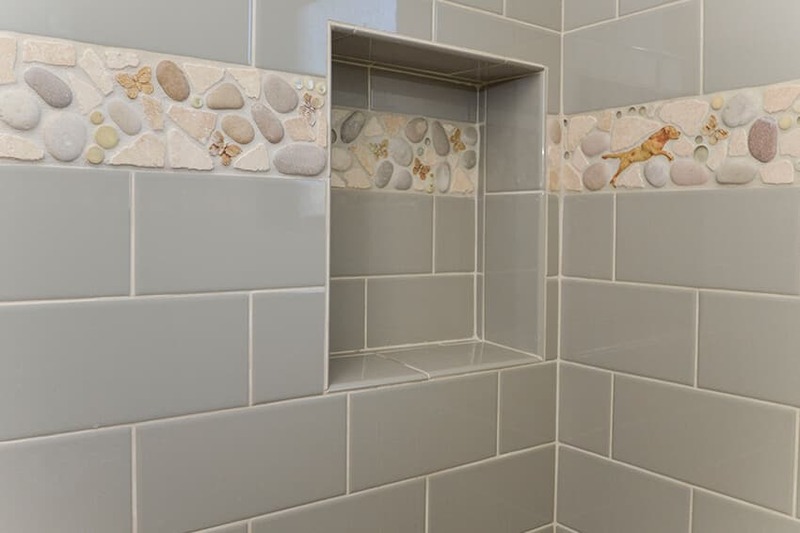 View our Bathroom Gallery to see how our designs can be incorporated into shower walls, shower floors, tub enclosures, bathroom floors, vanity backsplashes, and mirror surrounds. 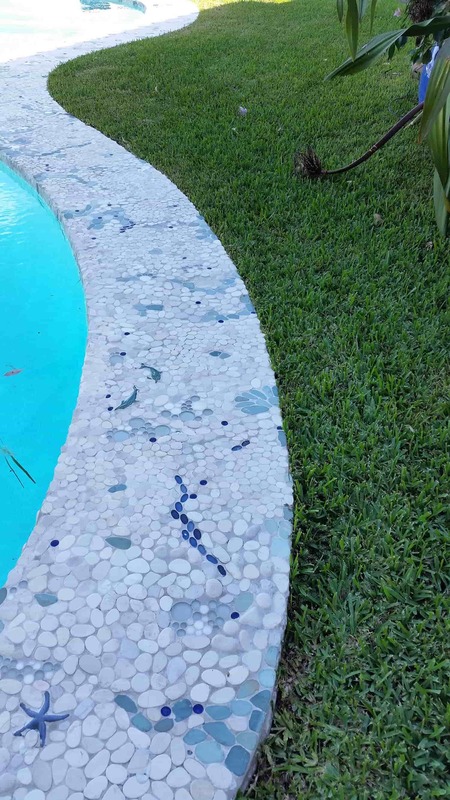 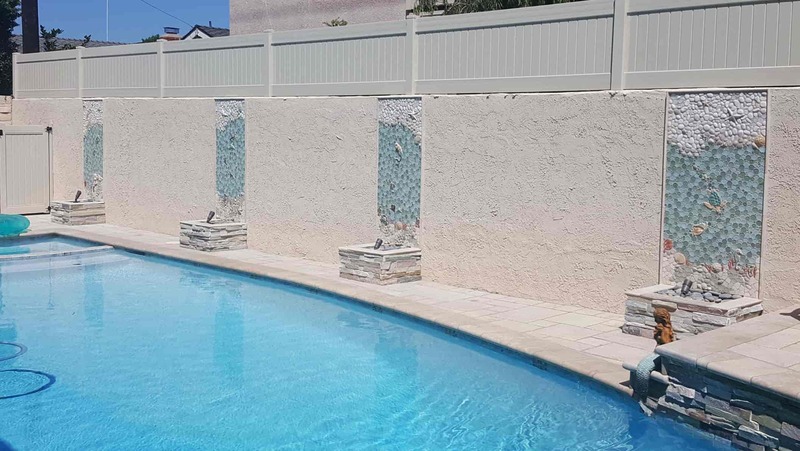 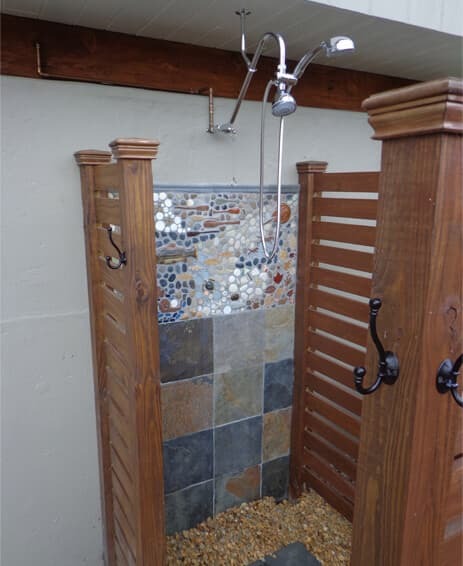 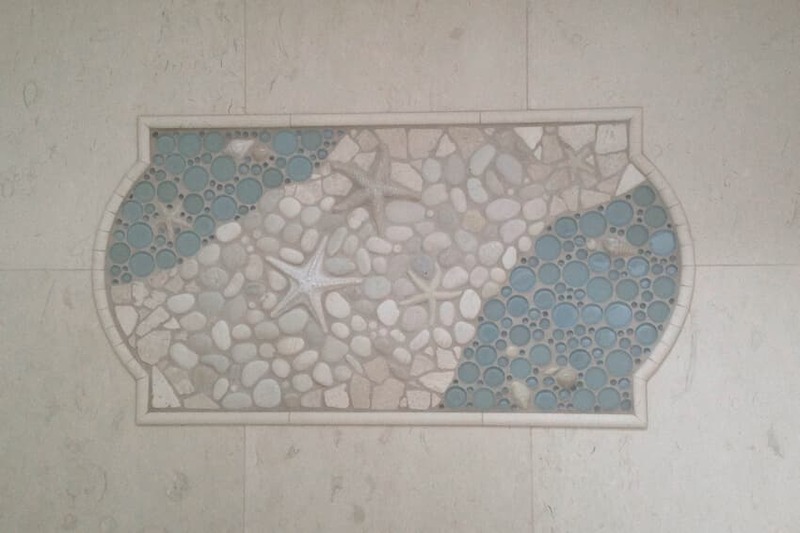 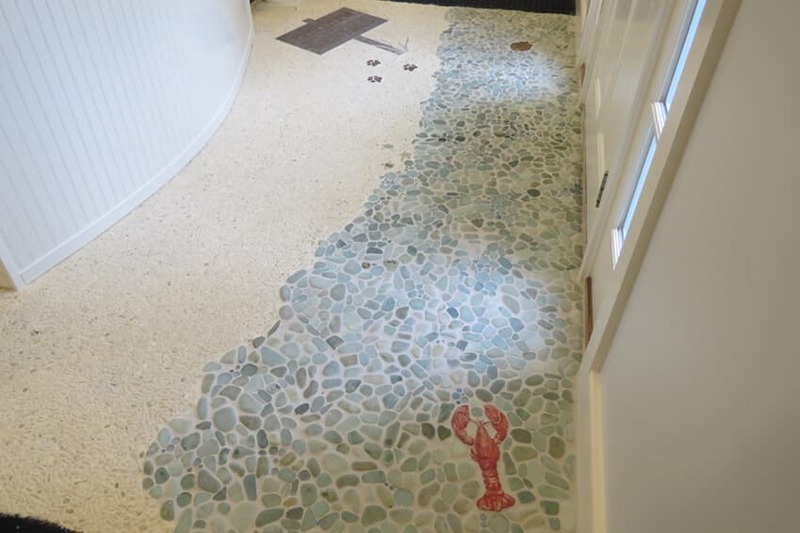 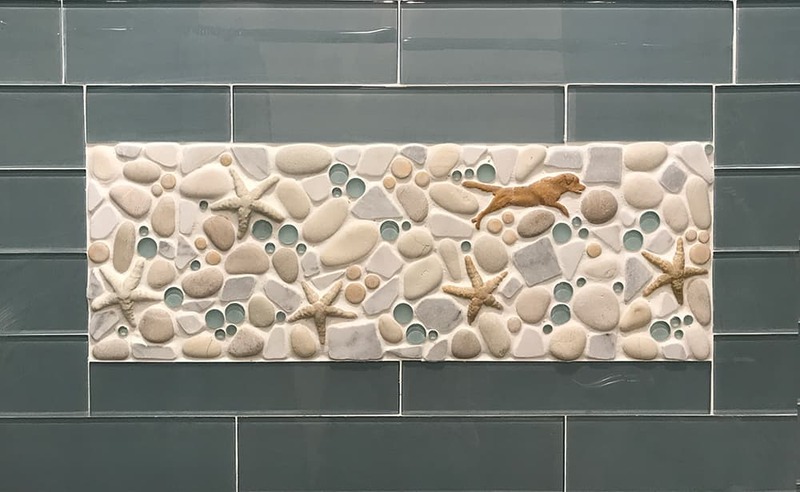 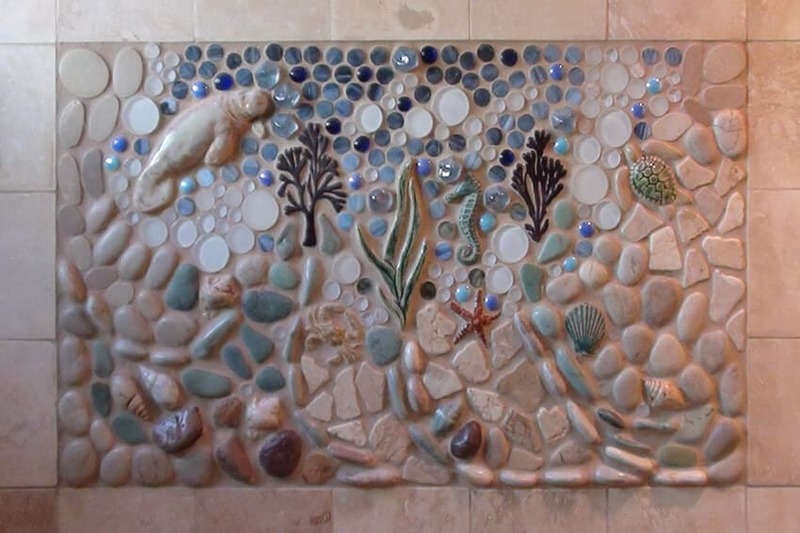 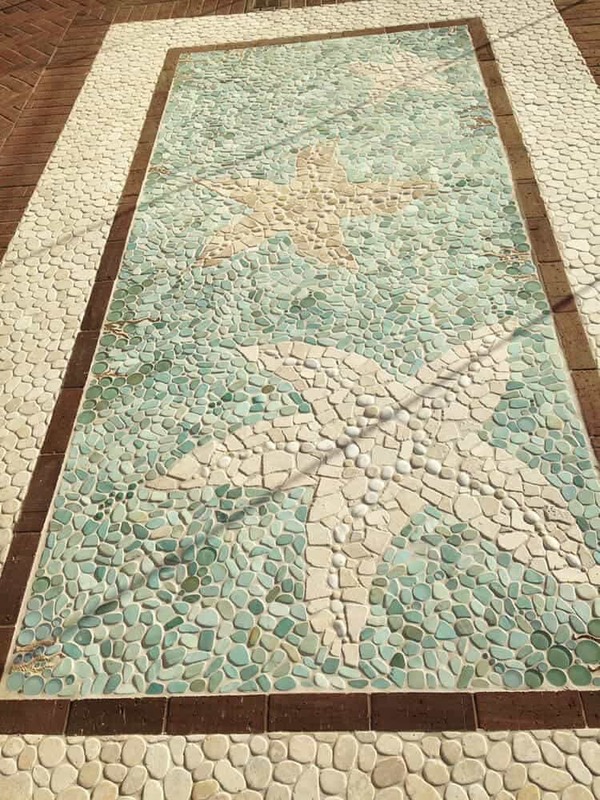 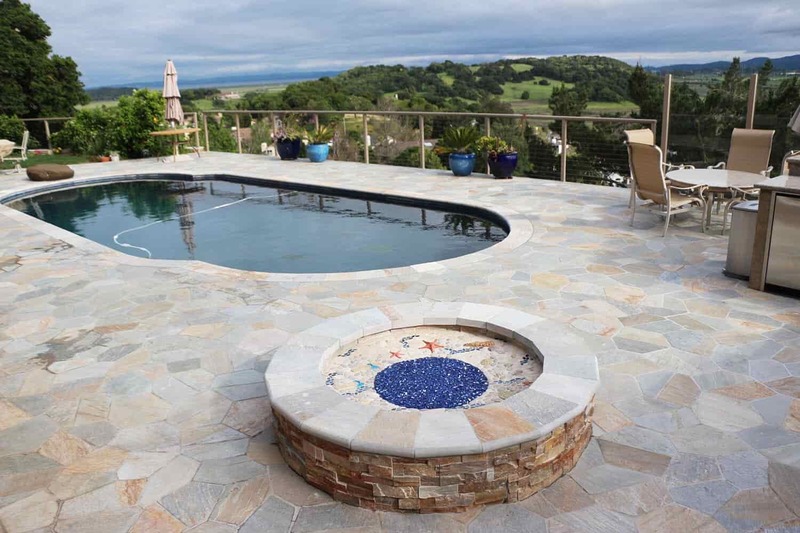 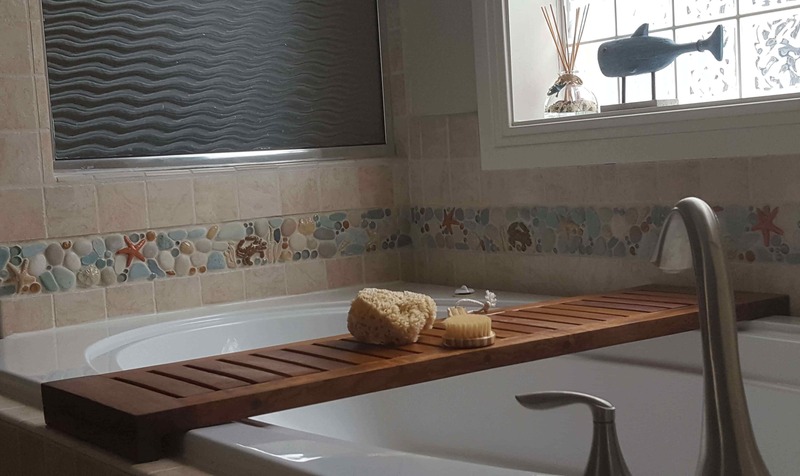 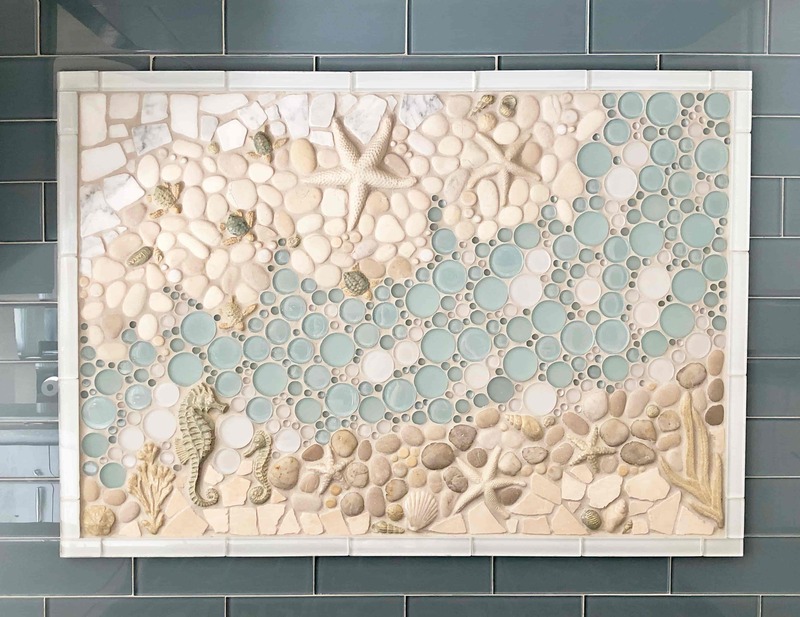 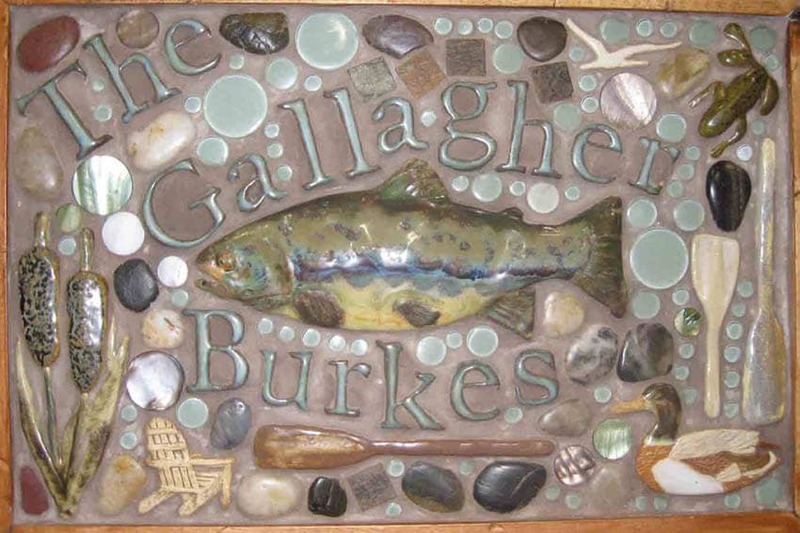 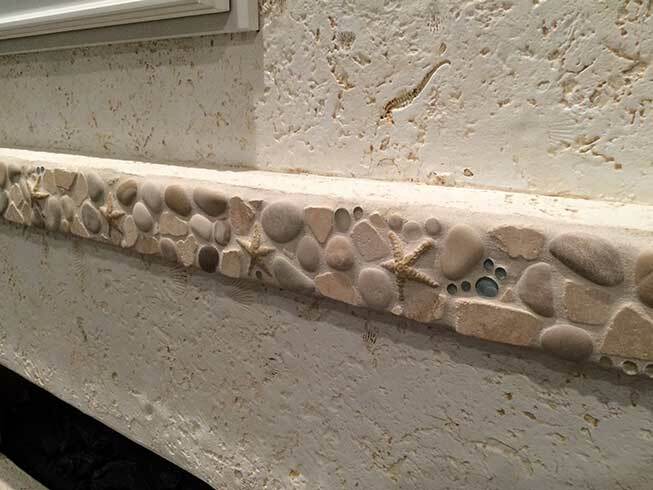 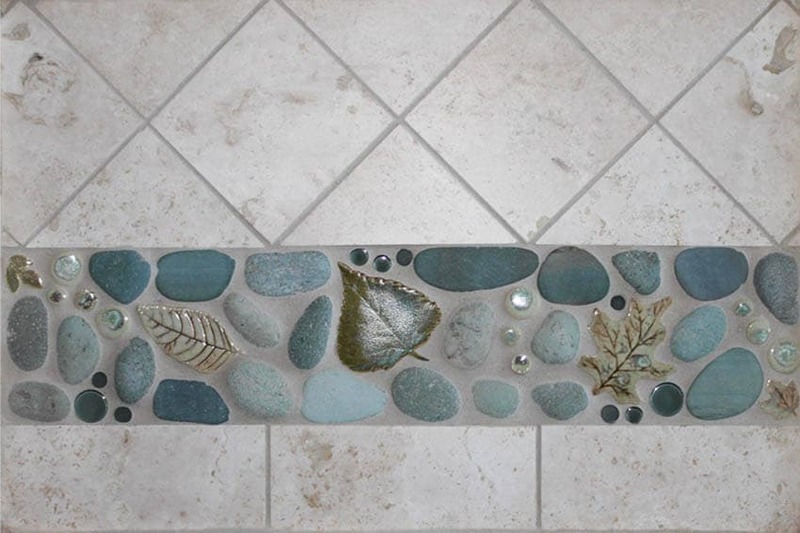 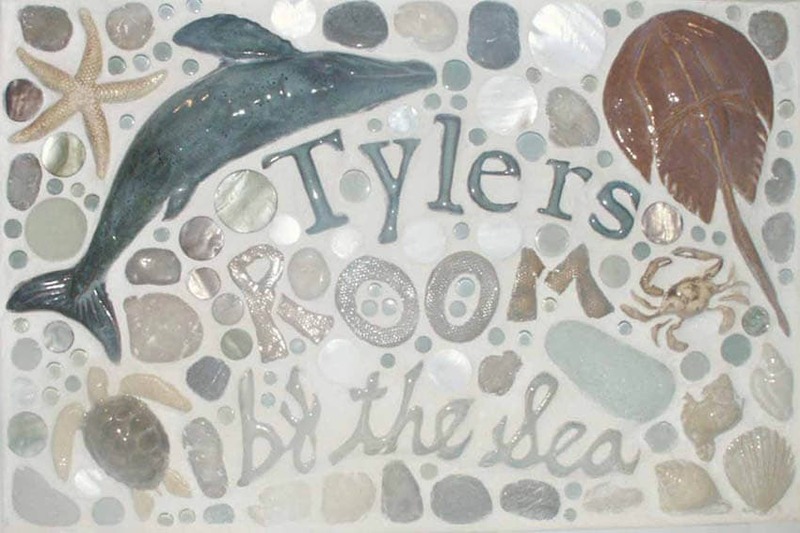 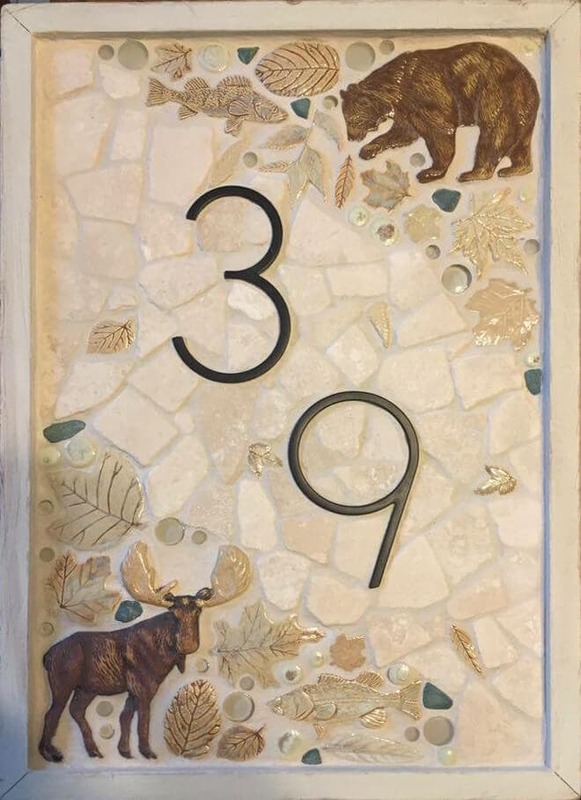 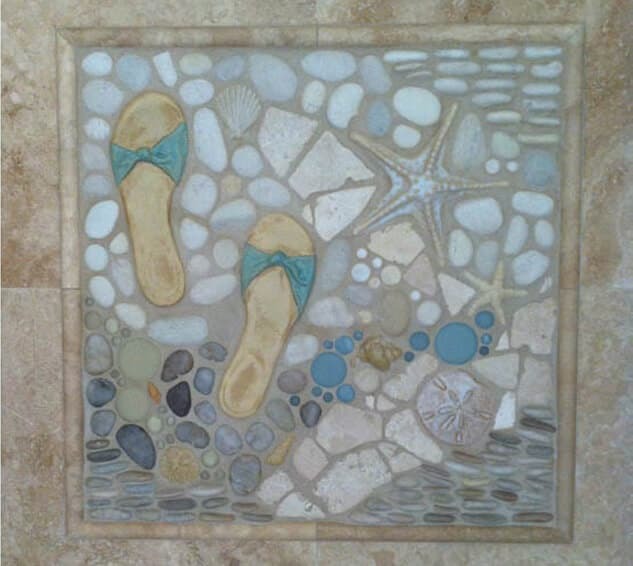 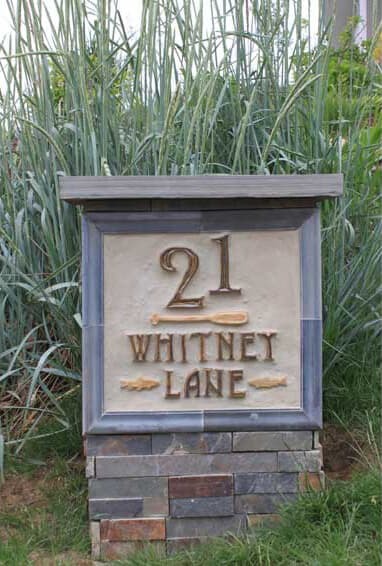 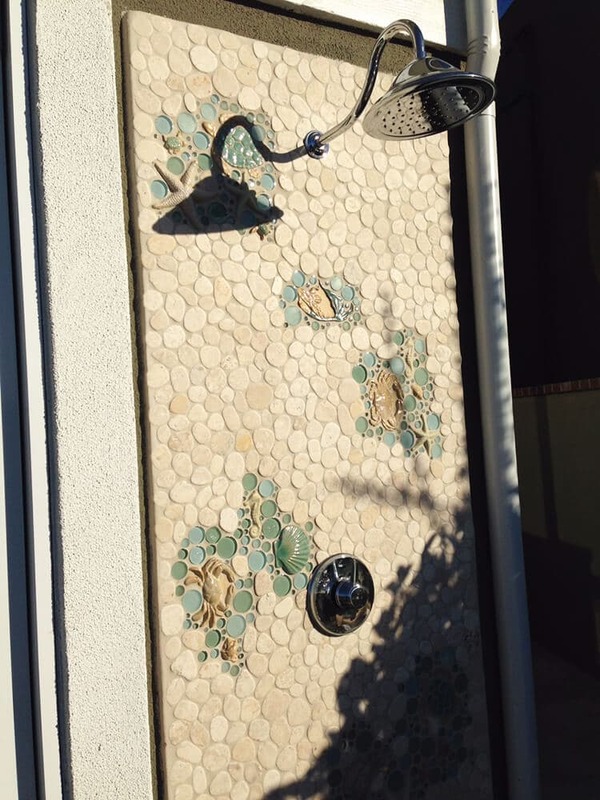 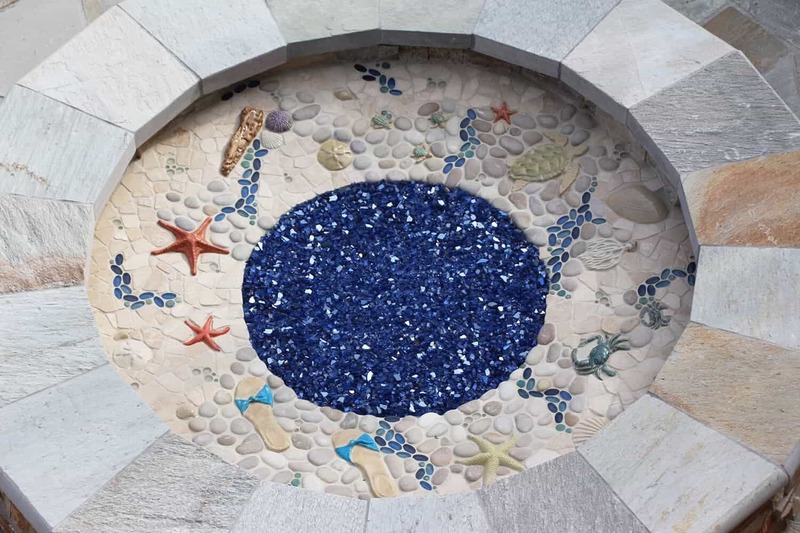 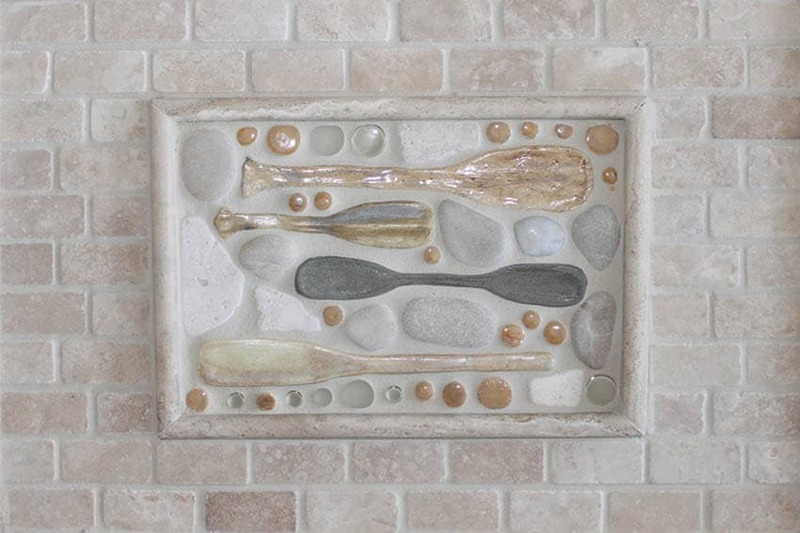 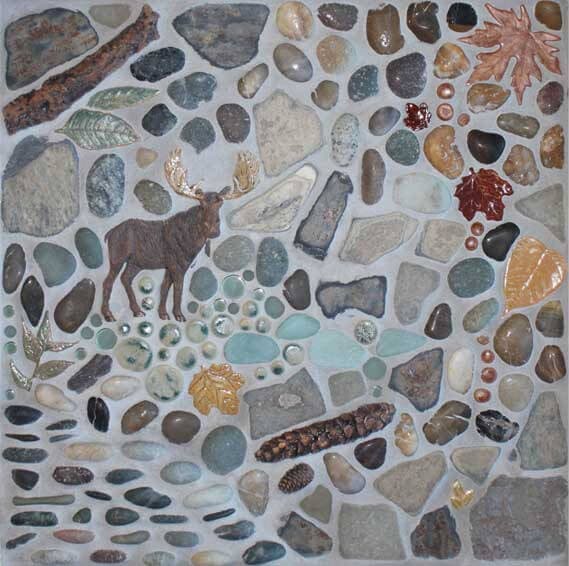 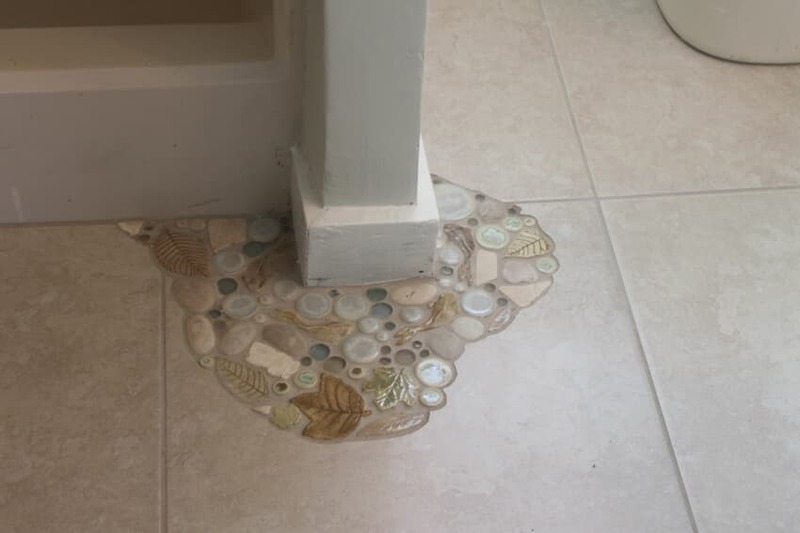 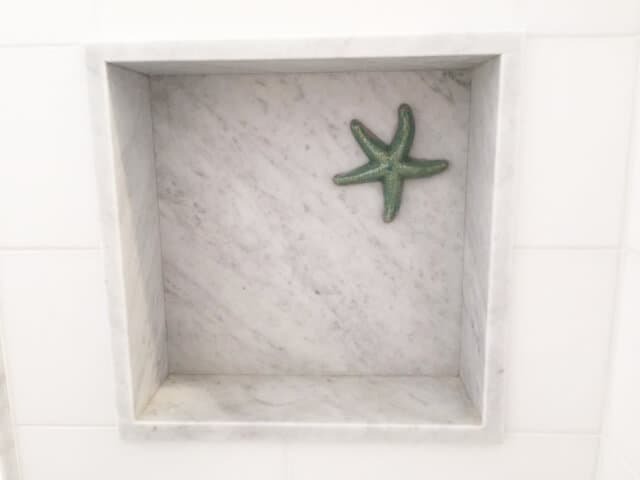 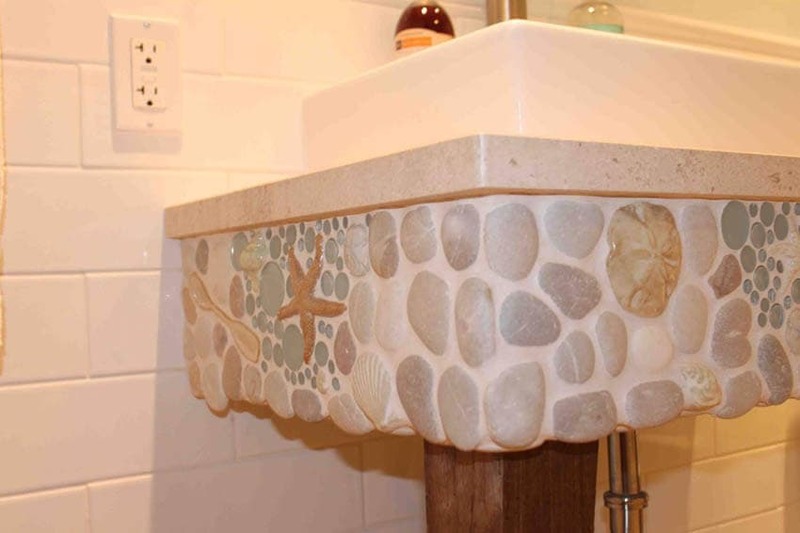 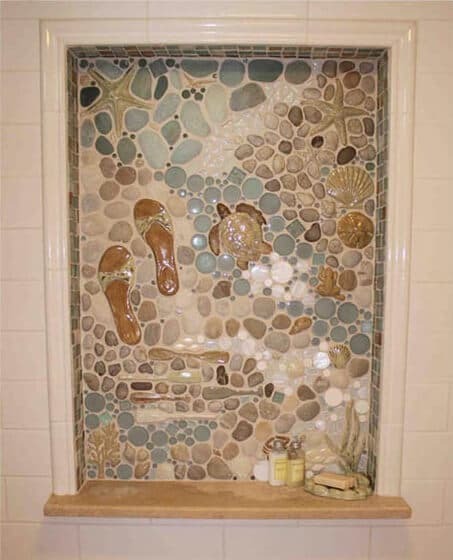 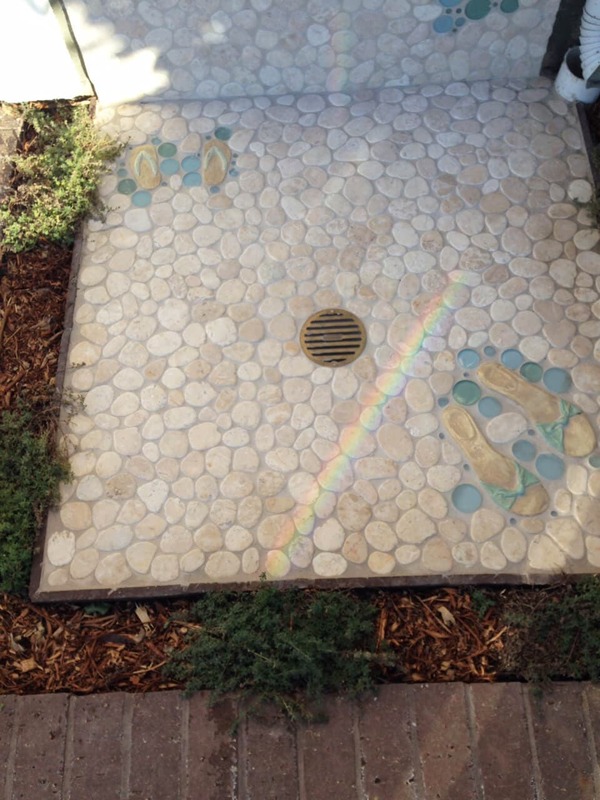 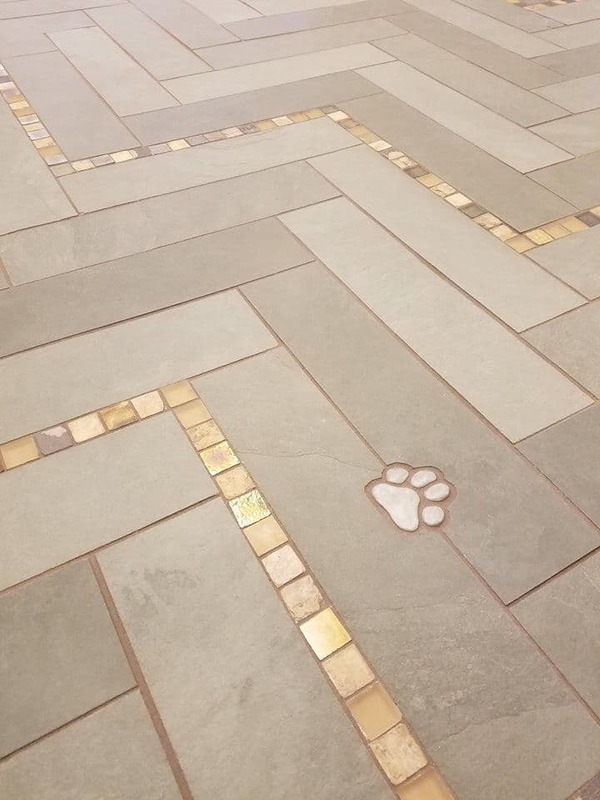 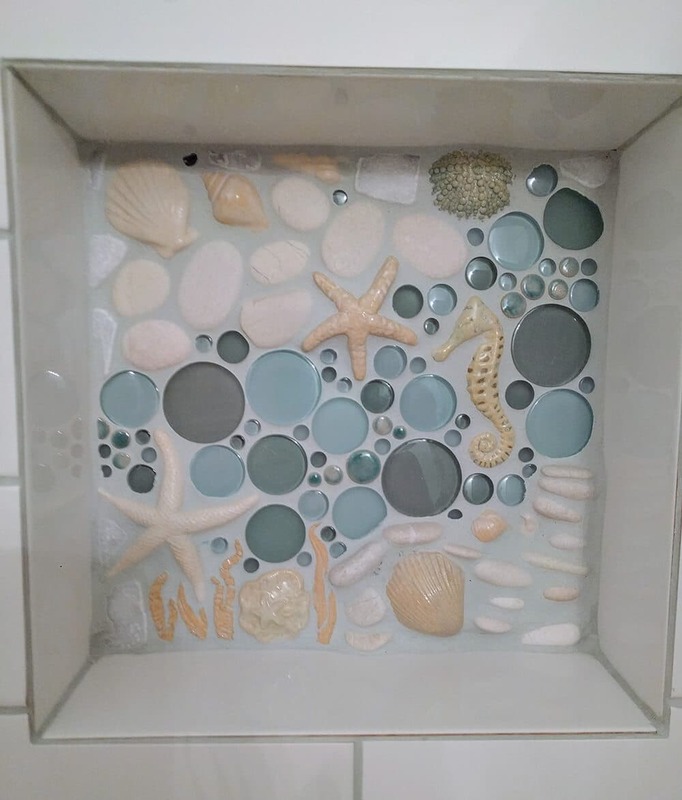 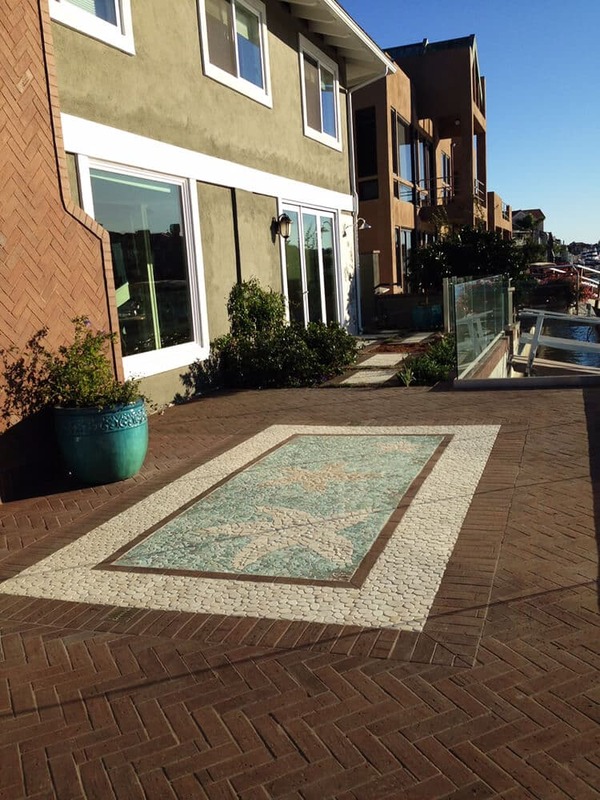 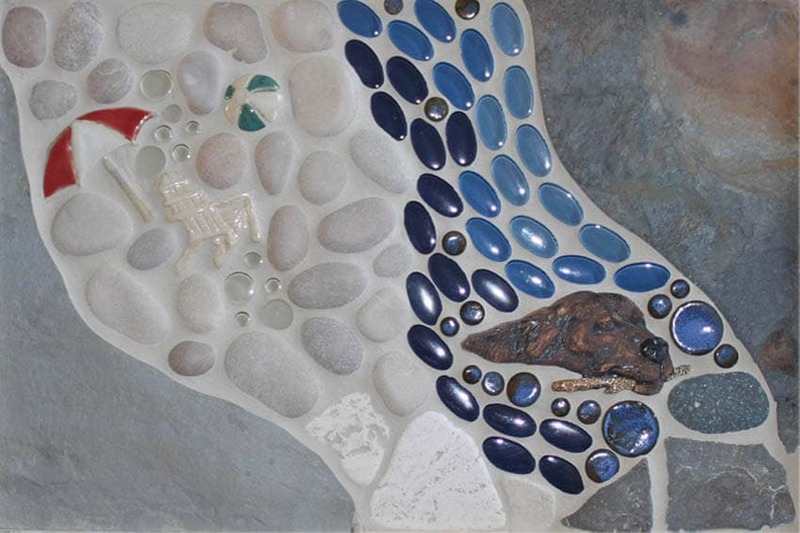 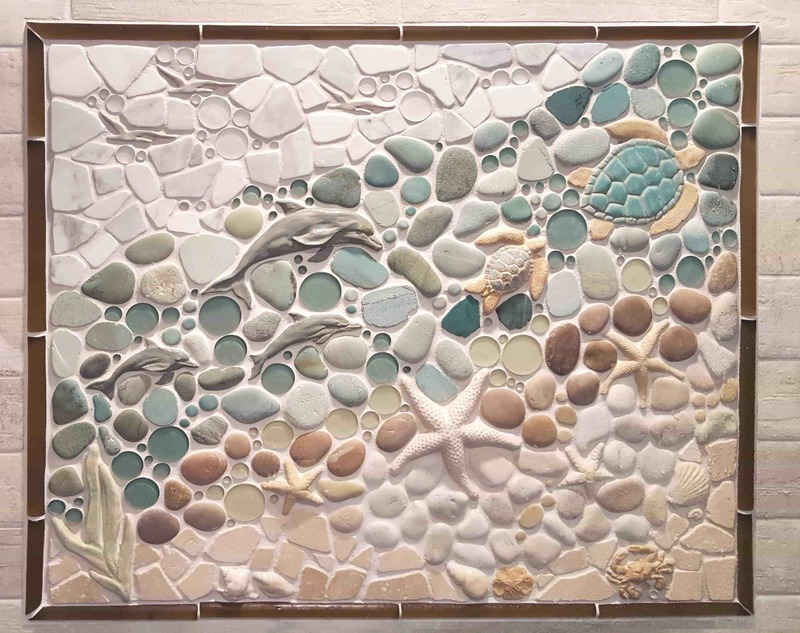 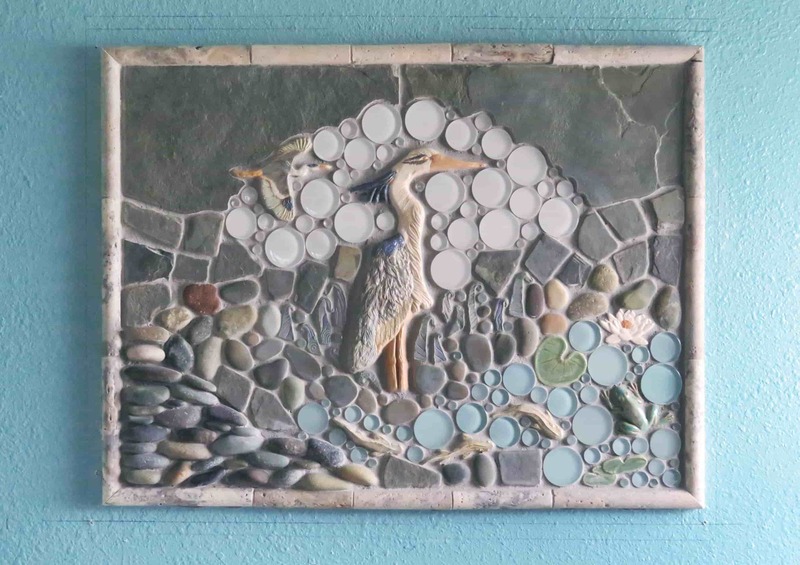 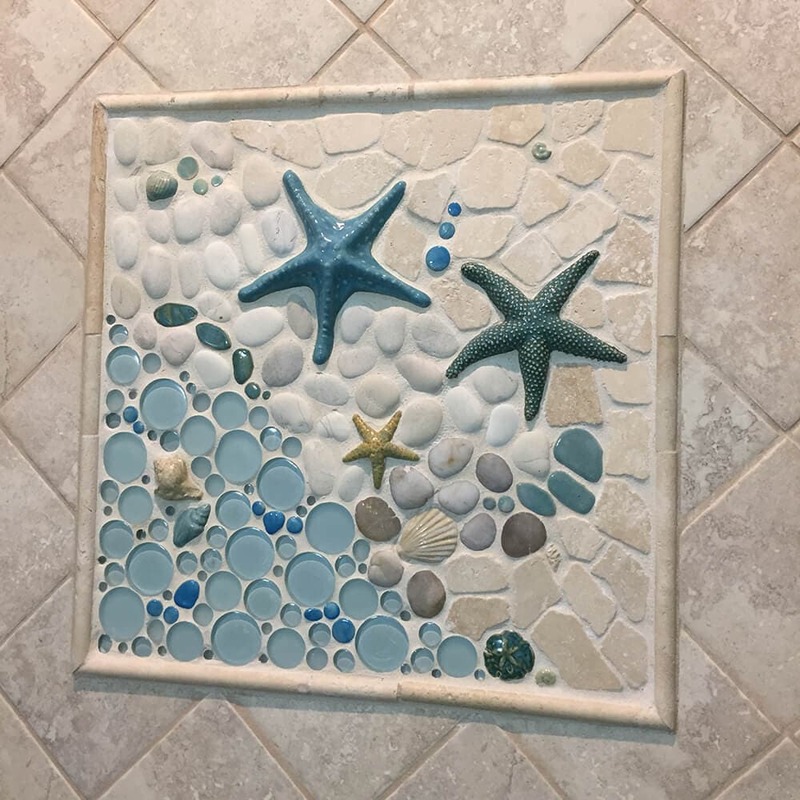 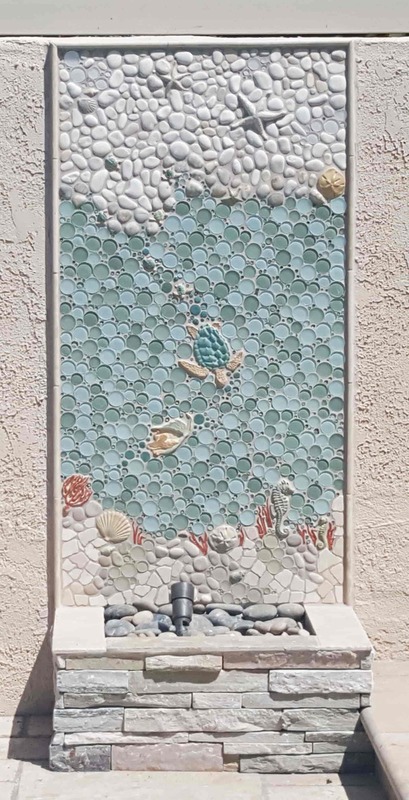 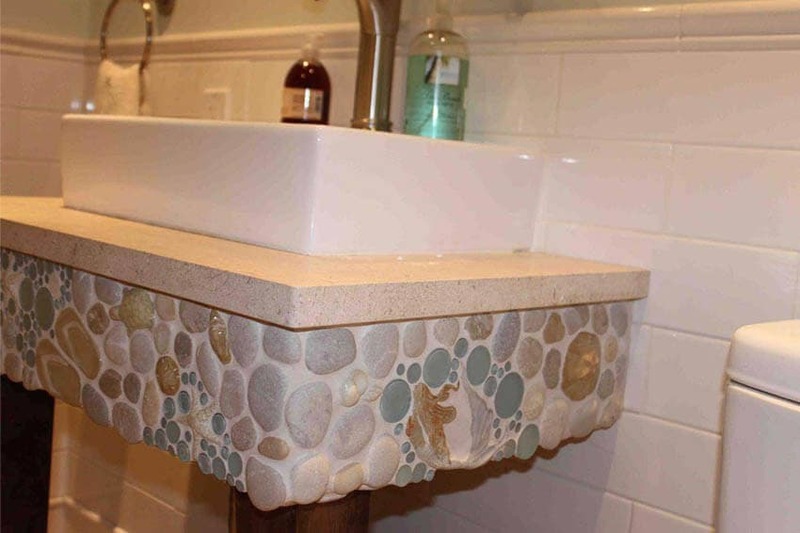 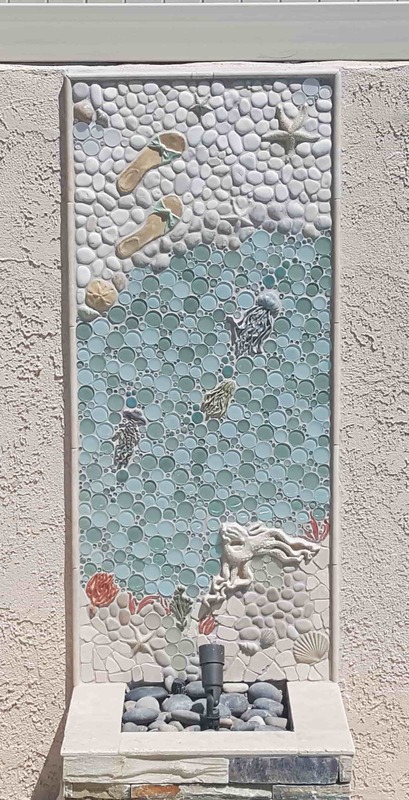 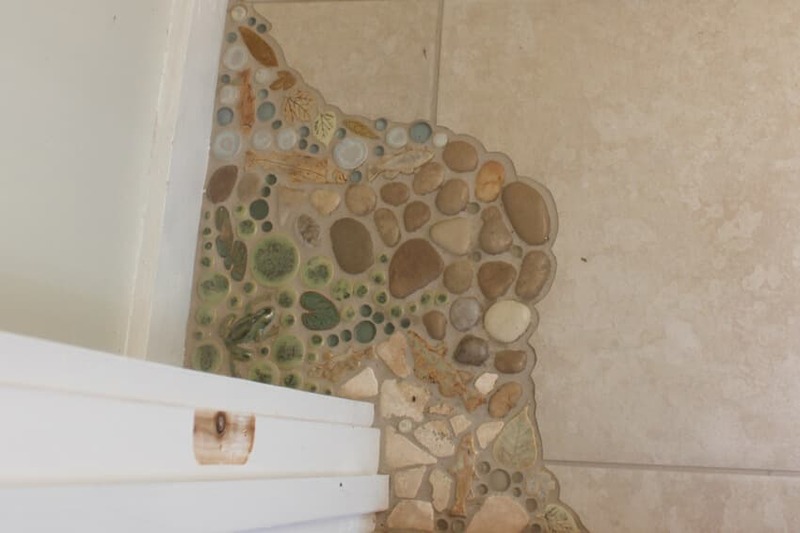 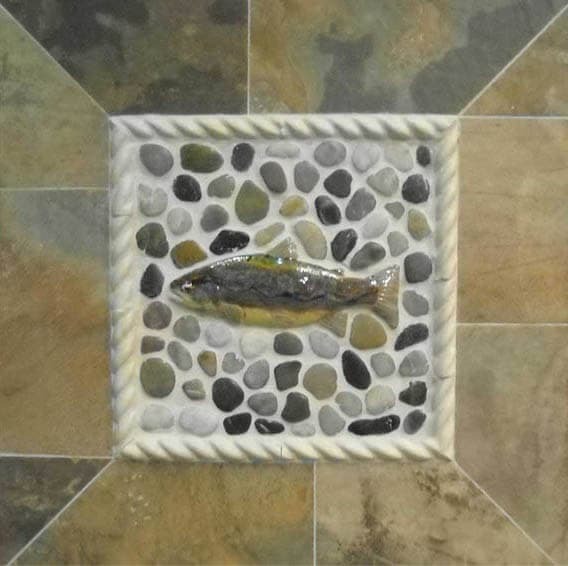 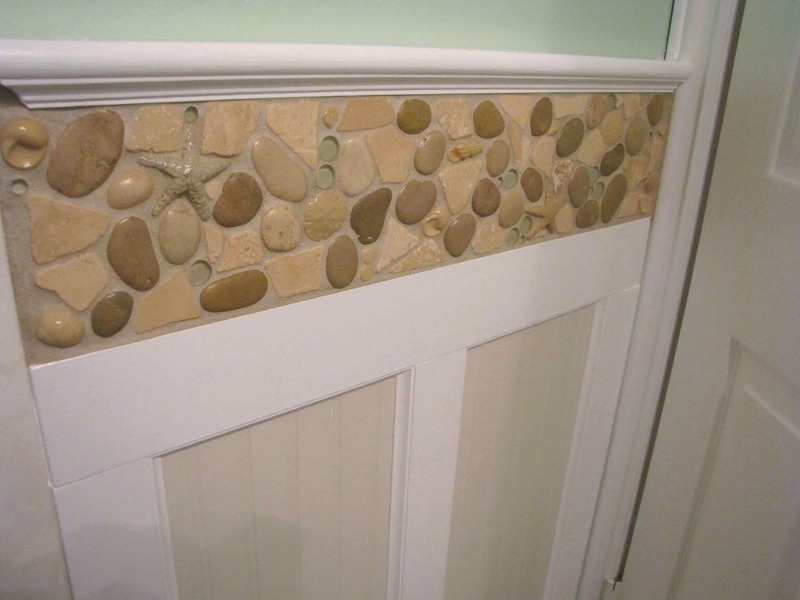 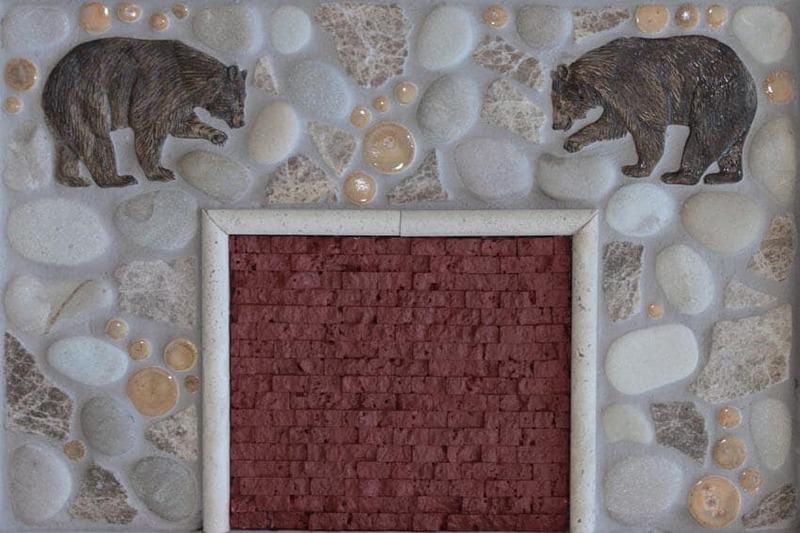 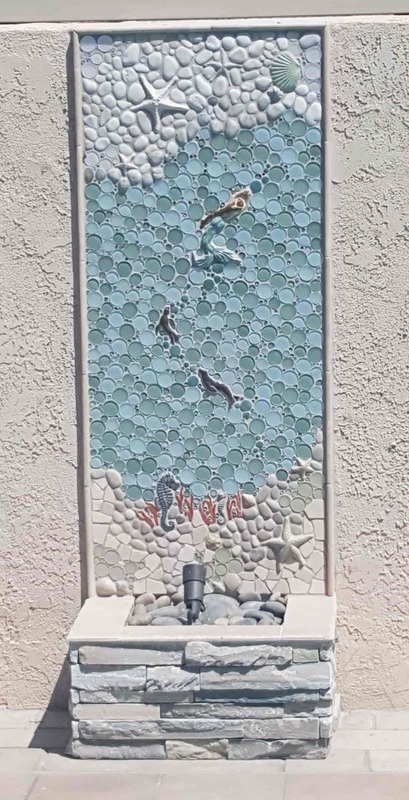 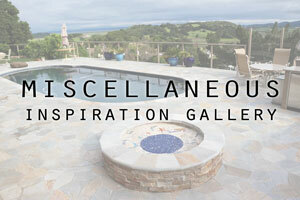 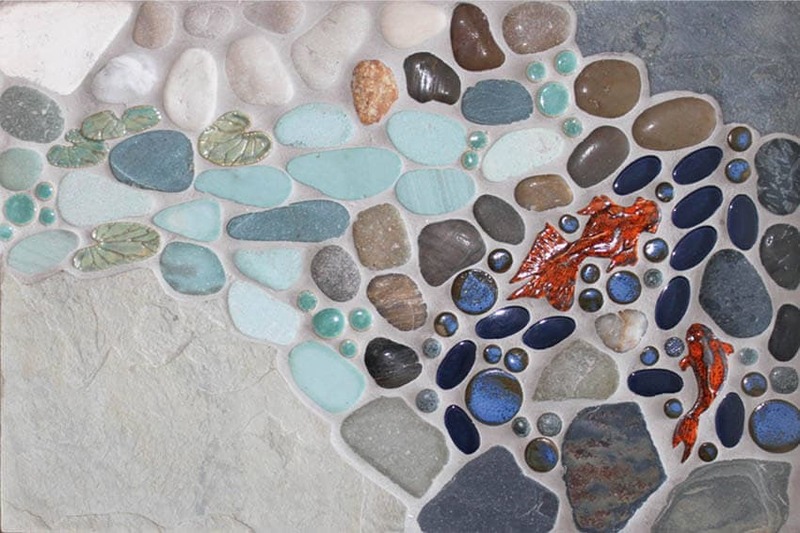 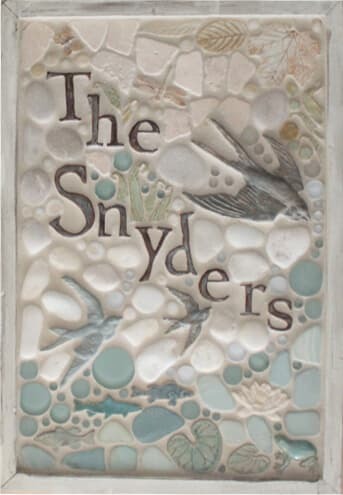 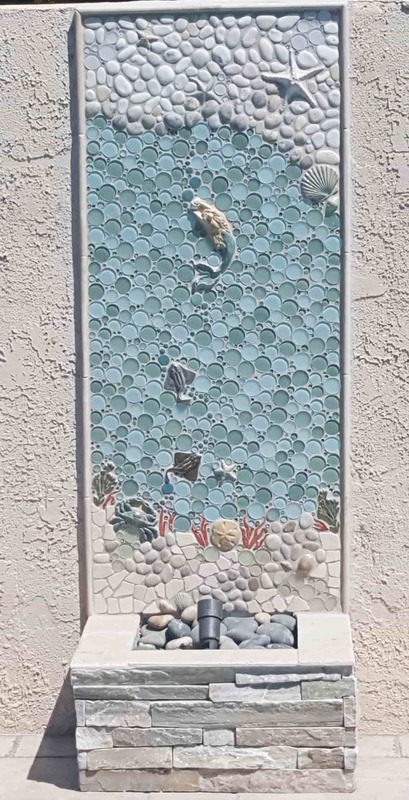 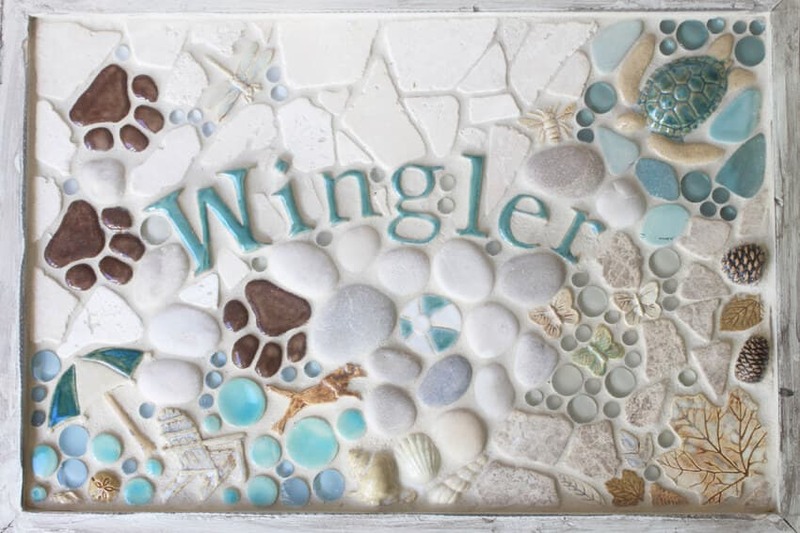 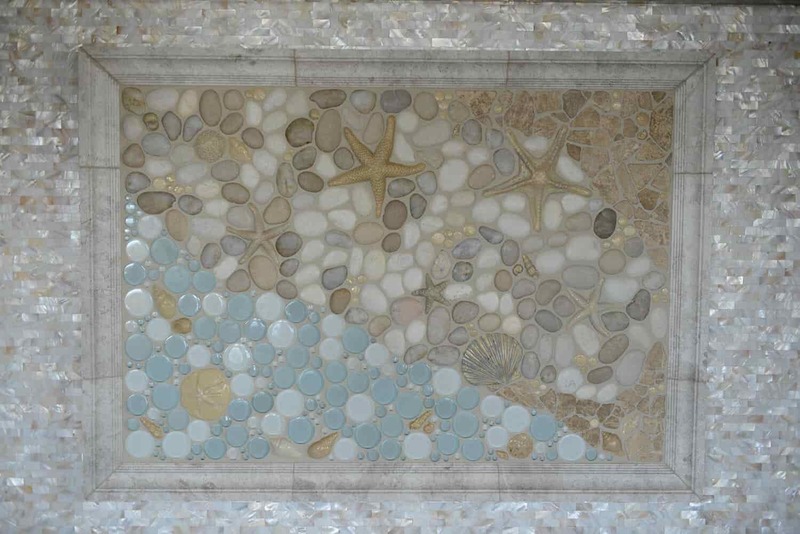 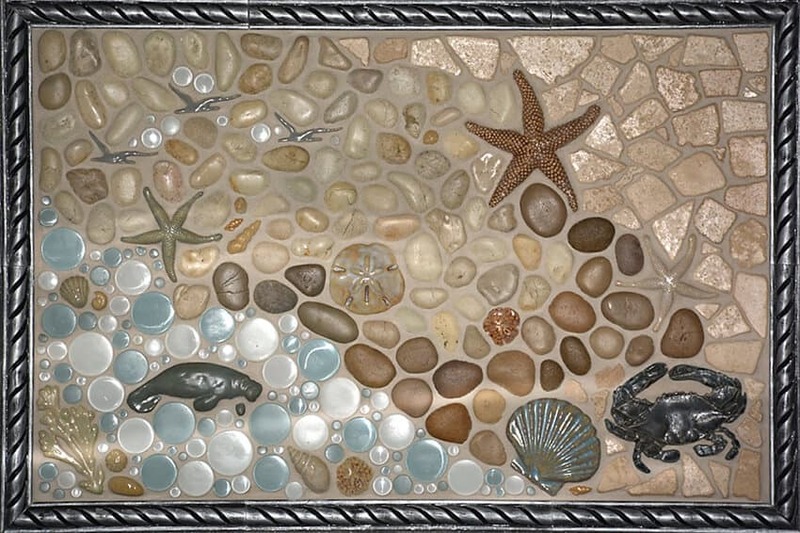 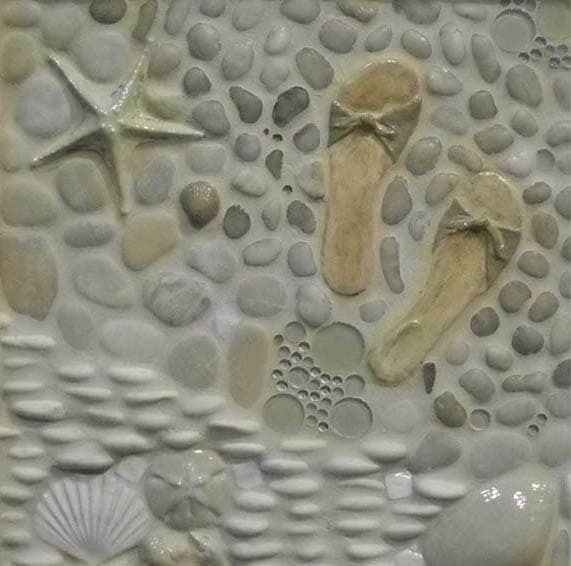 Last but not least, check out our Miscellaneous Gallery for other unique projects such as outdoor showers, pools, stair risers, or address plaques. 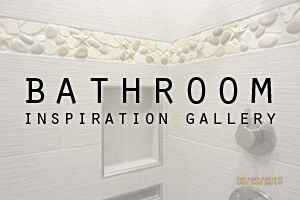 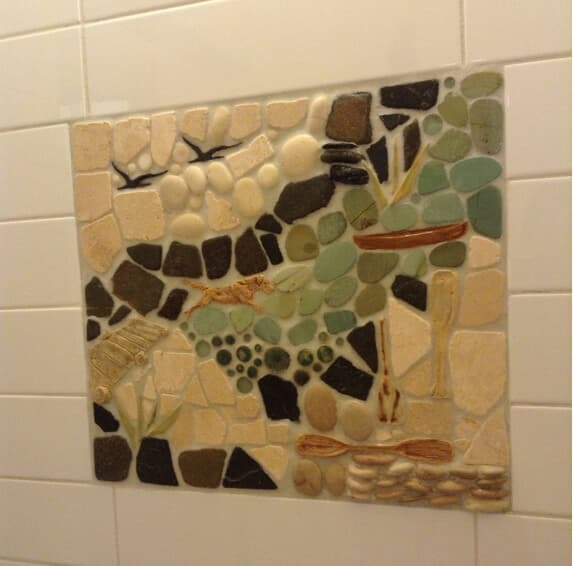 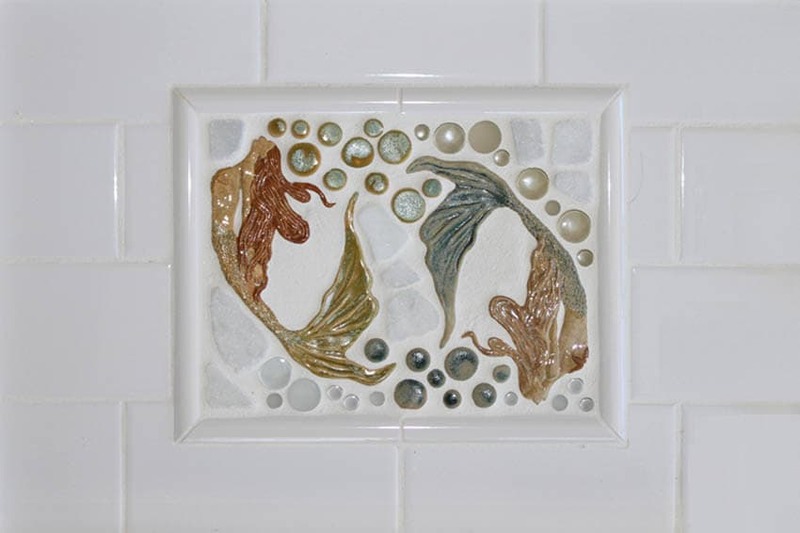 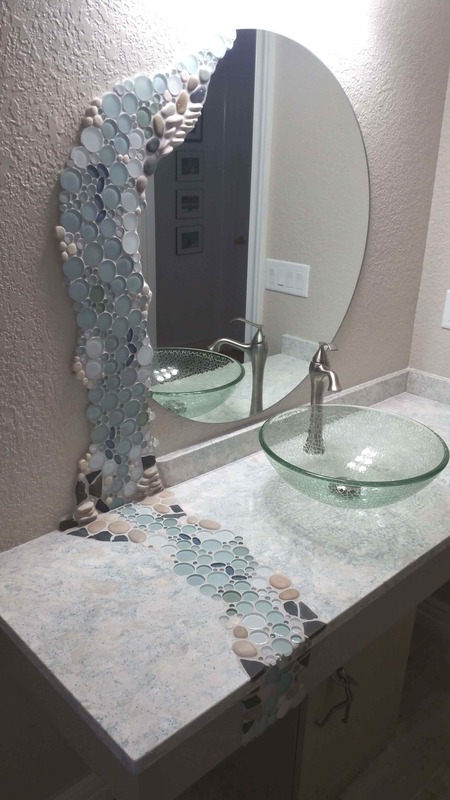 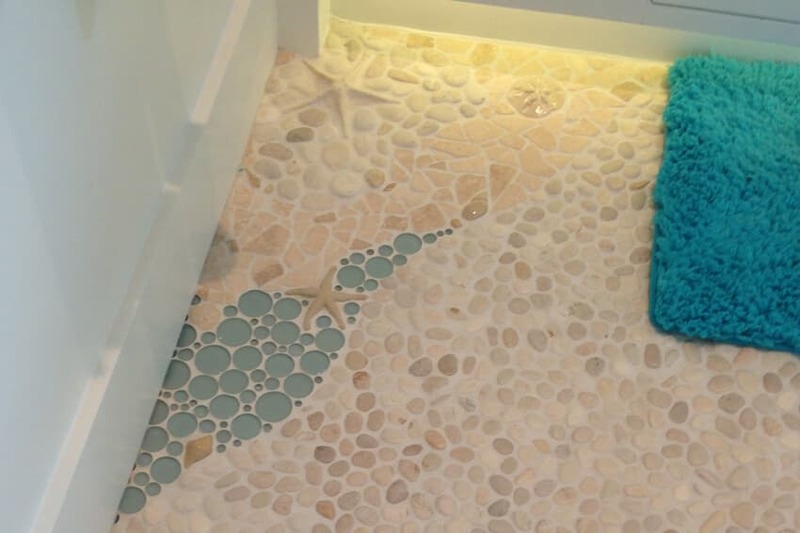 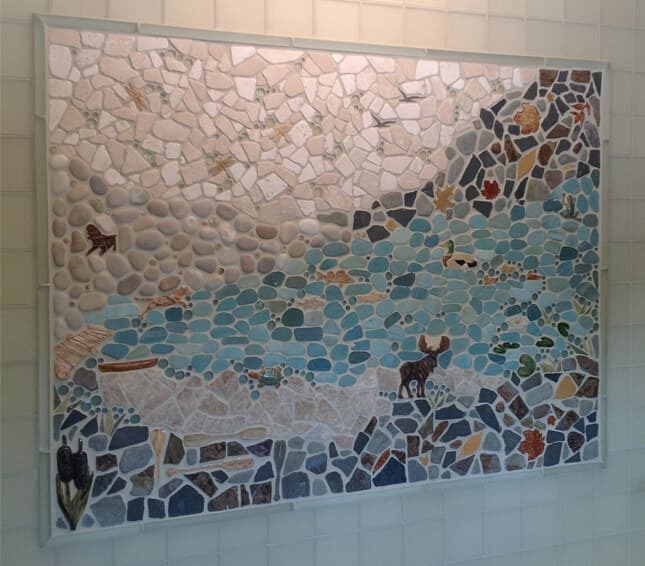 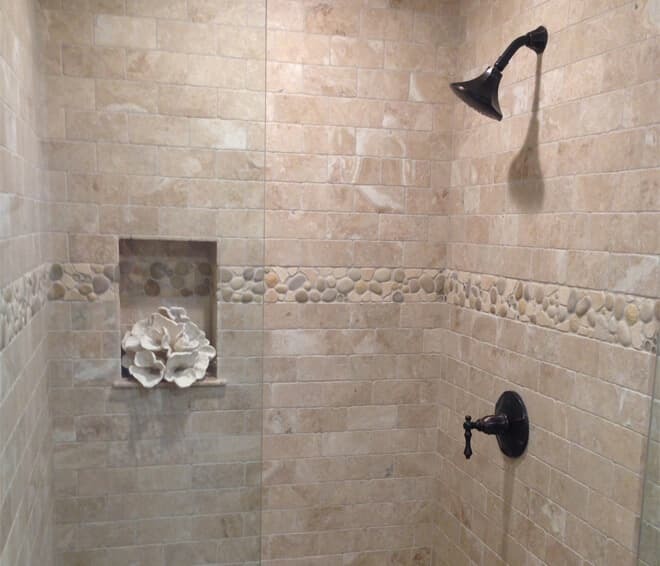 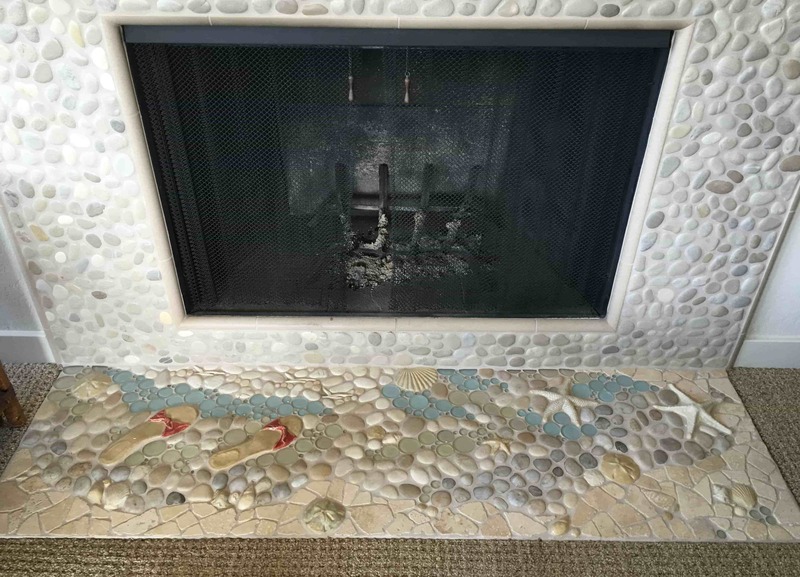 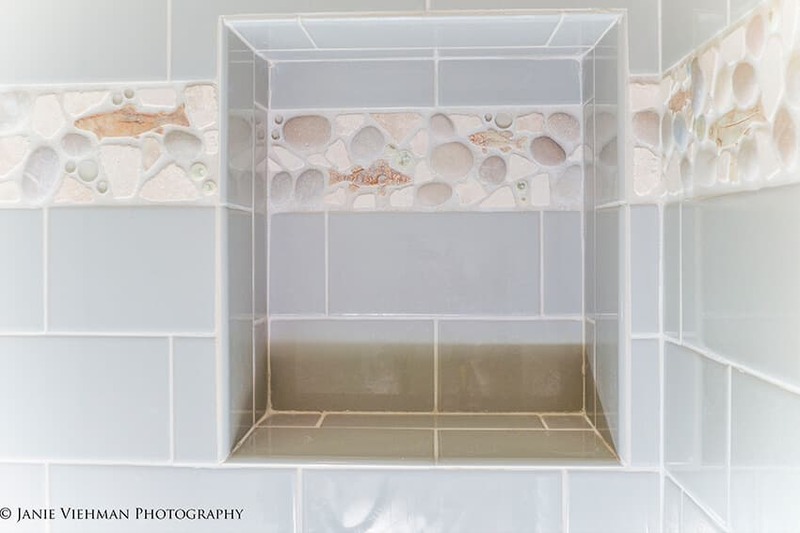 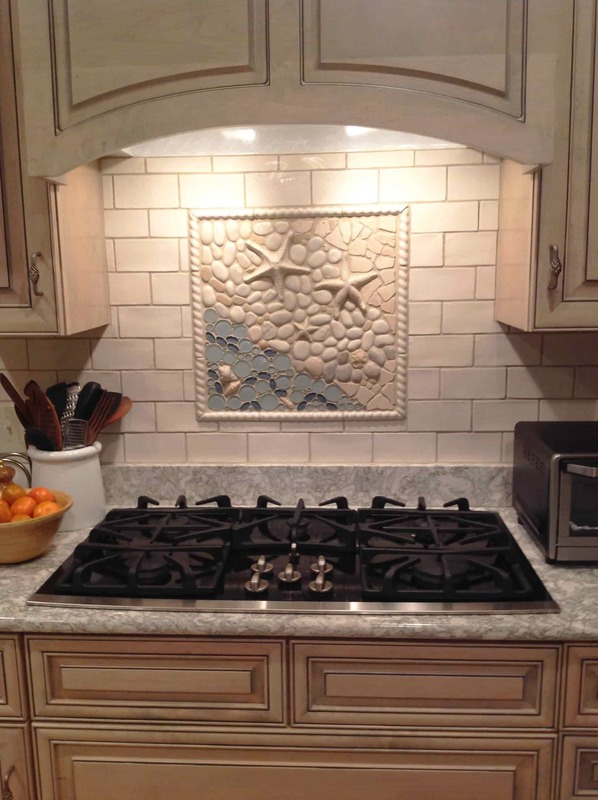 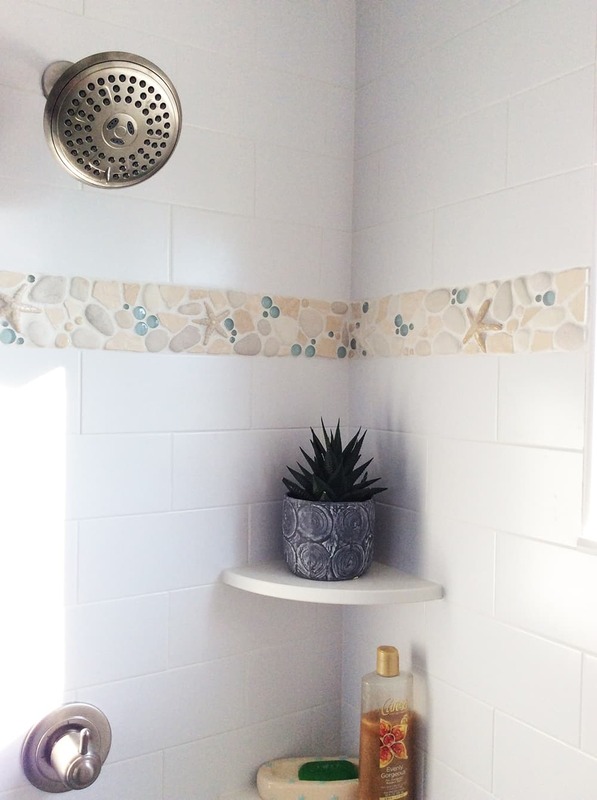 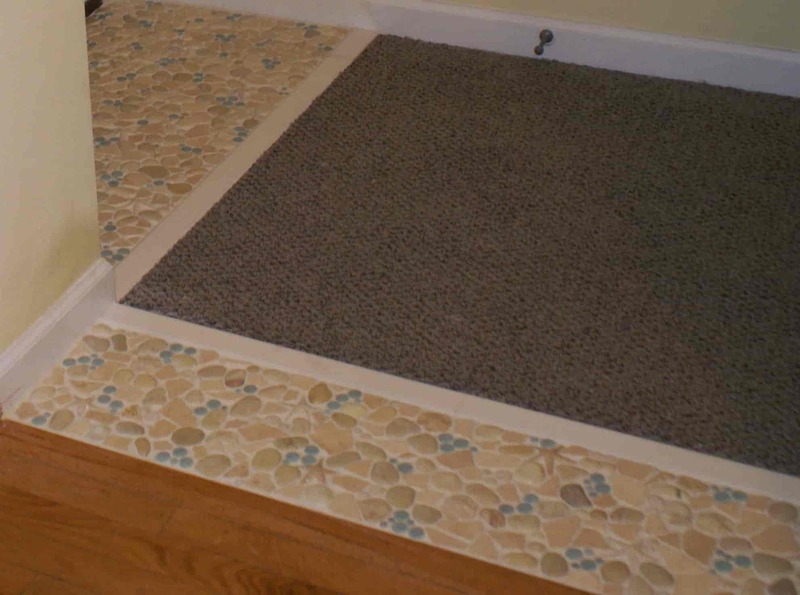 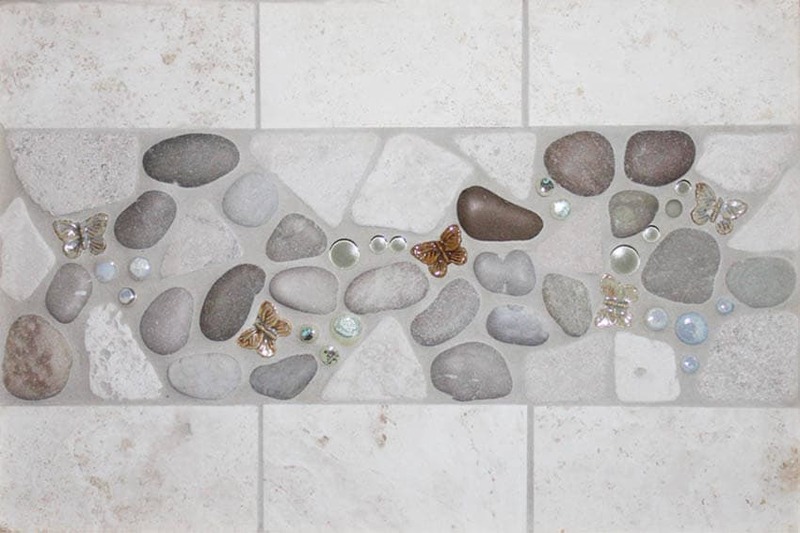 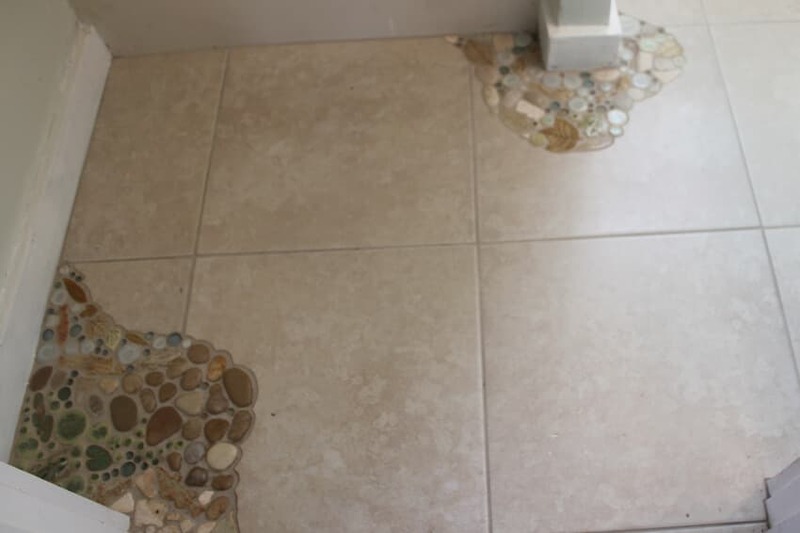 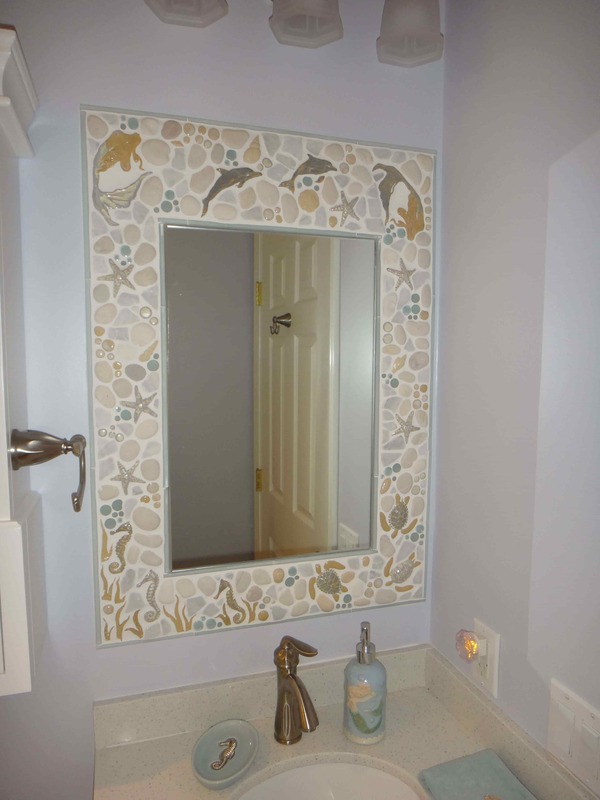 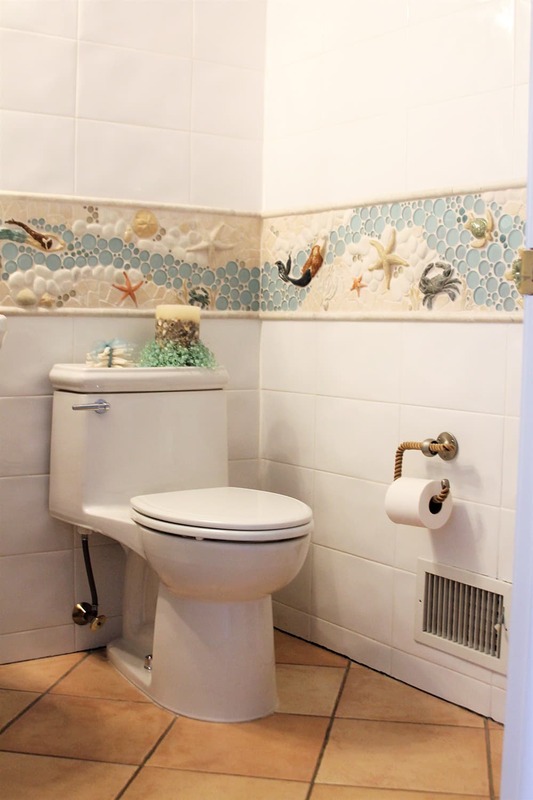 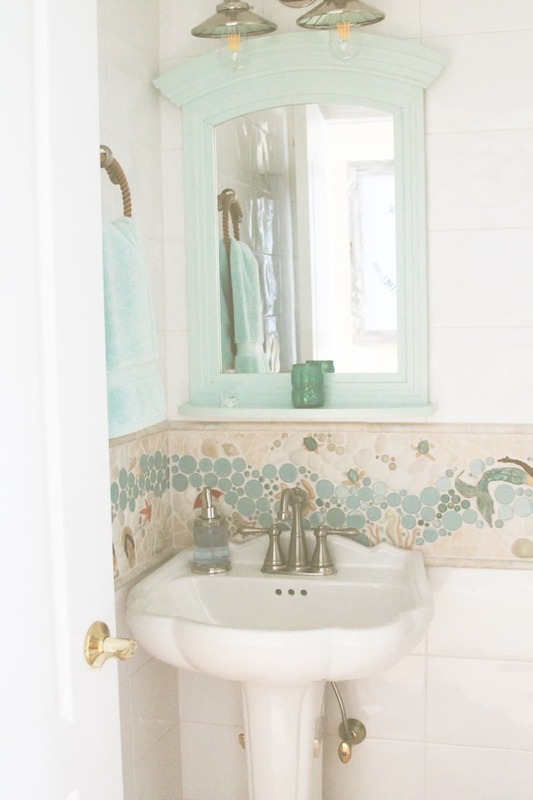 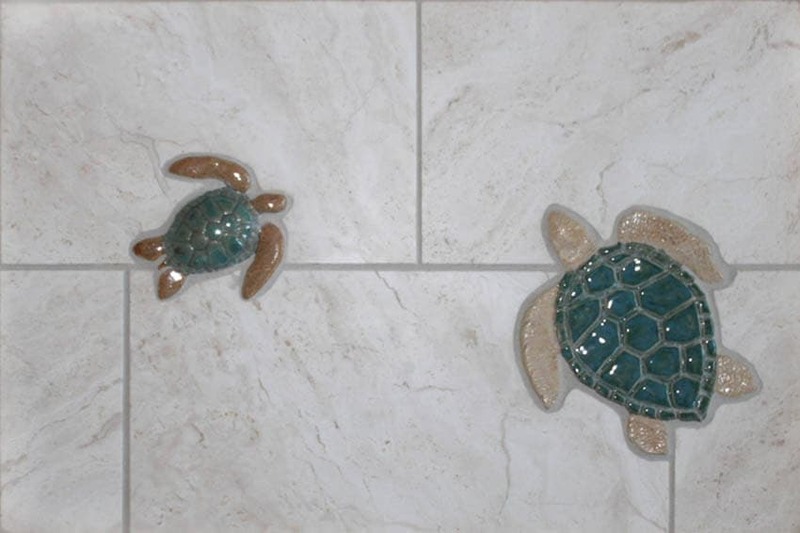 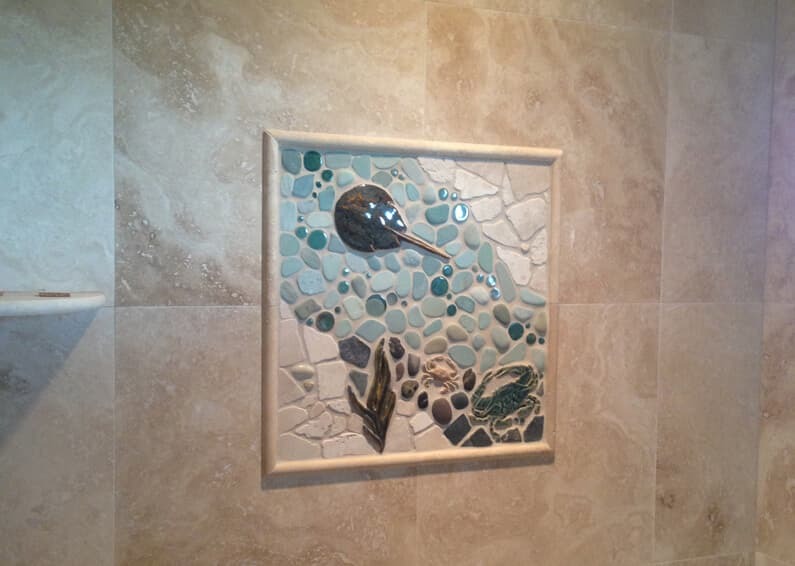 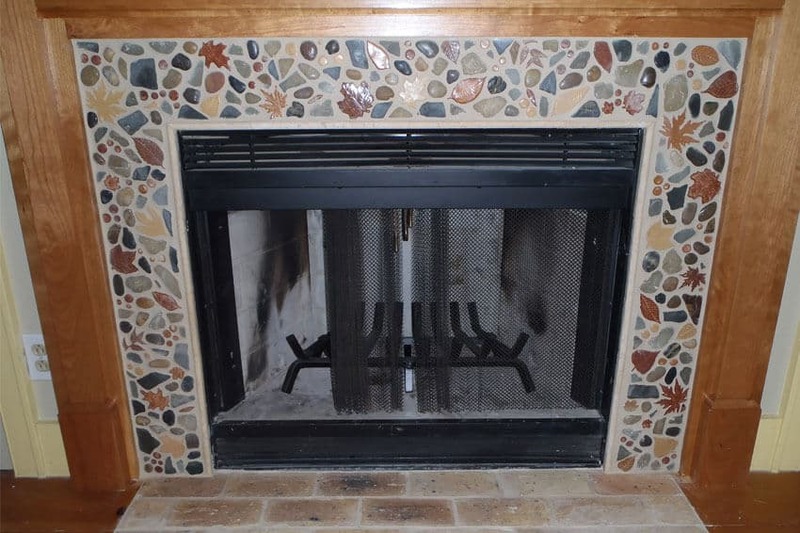 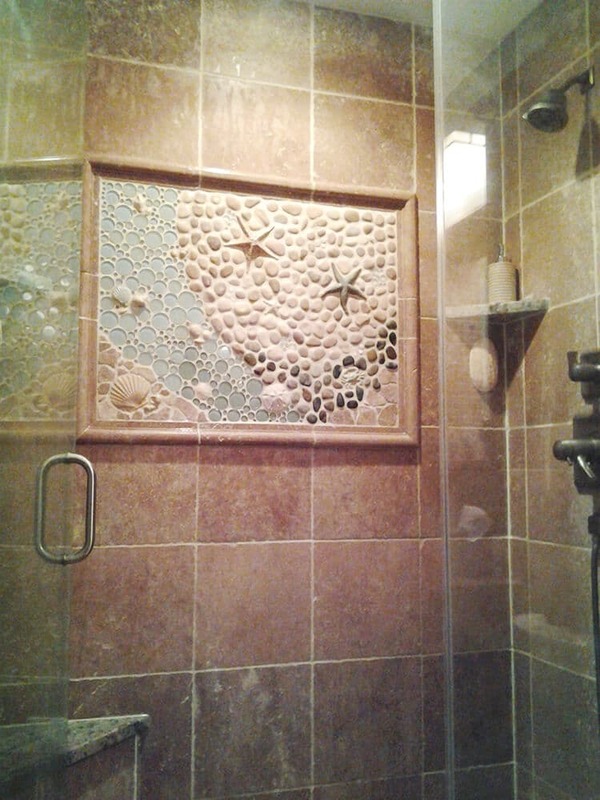 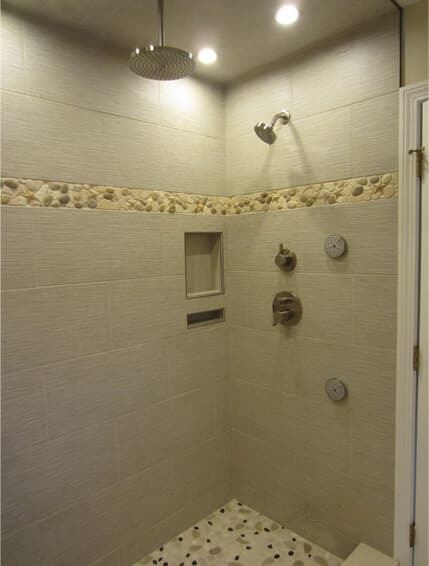 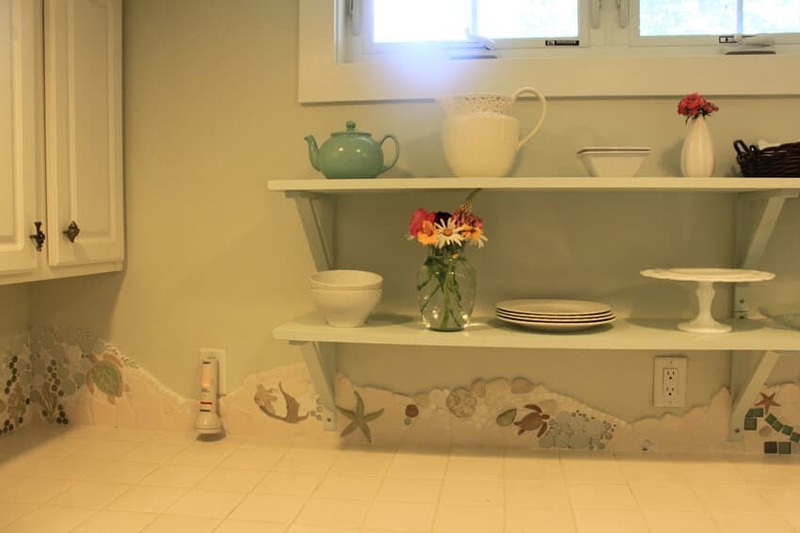 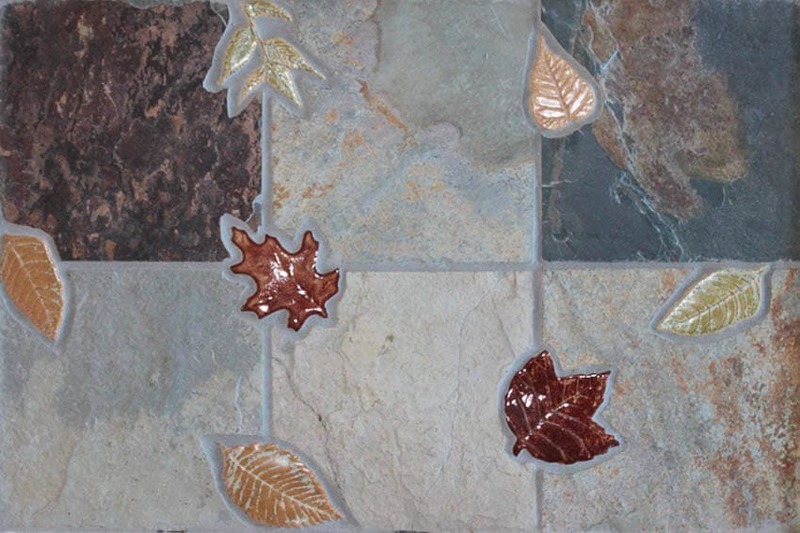 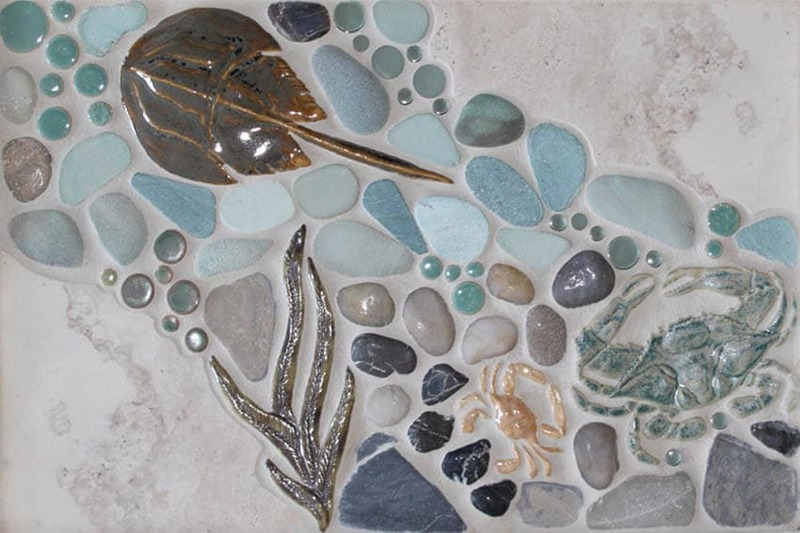 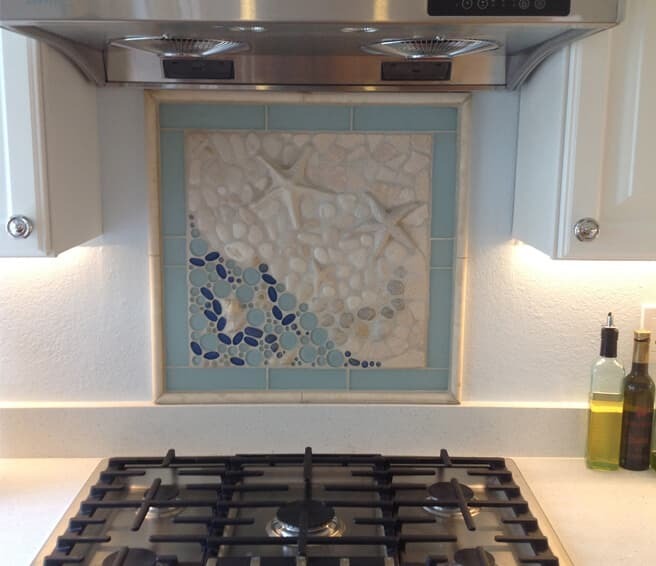 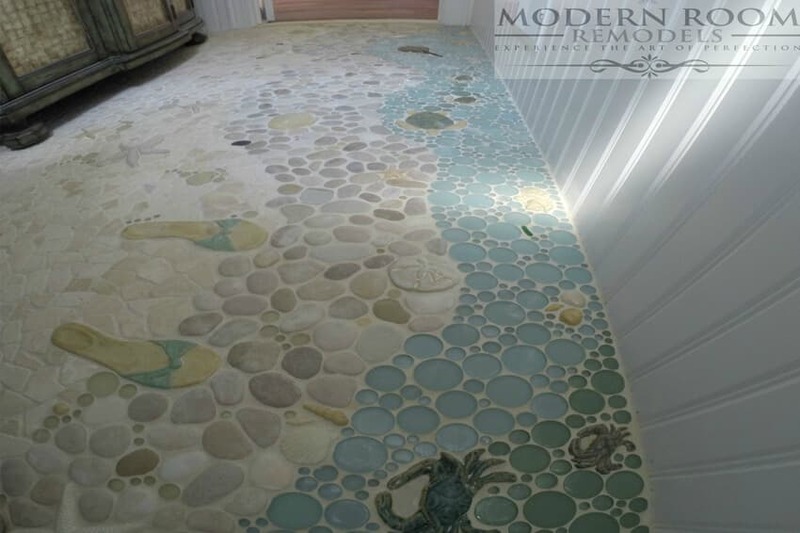 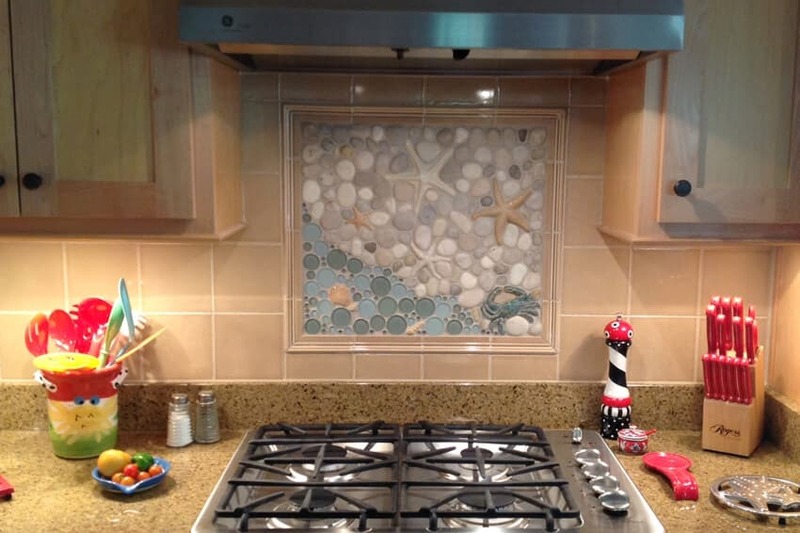 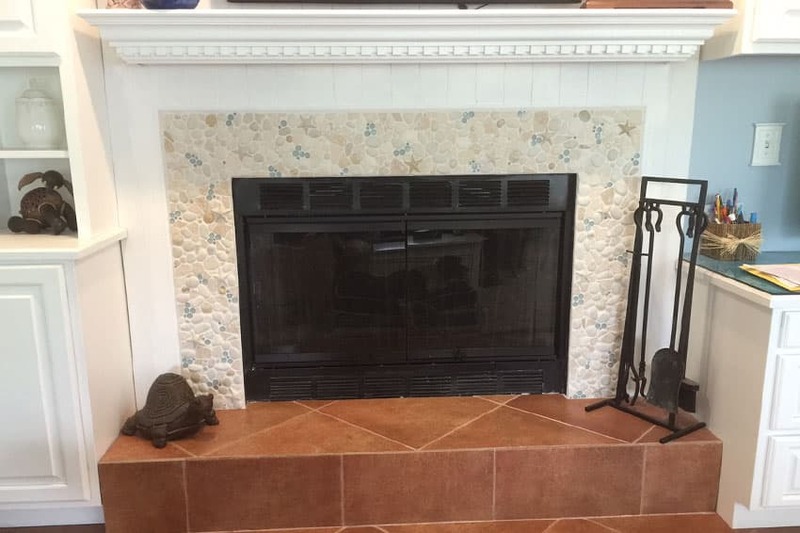 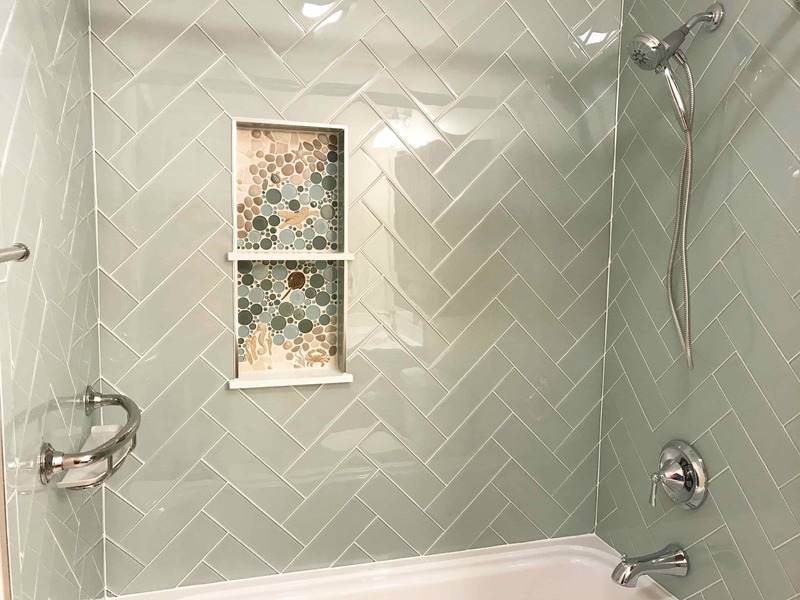 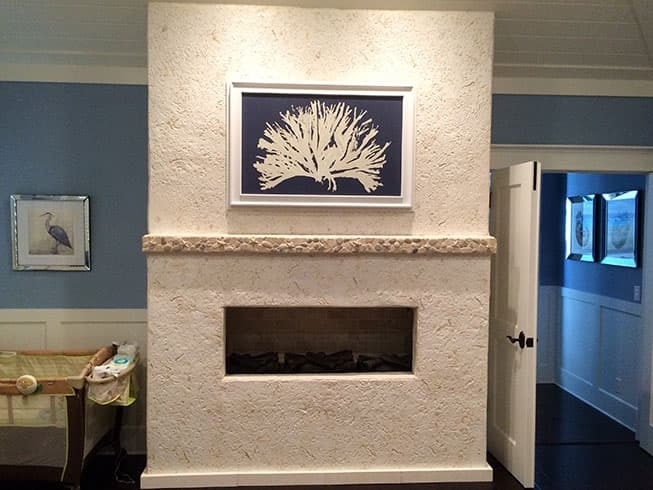 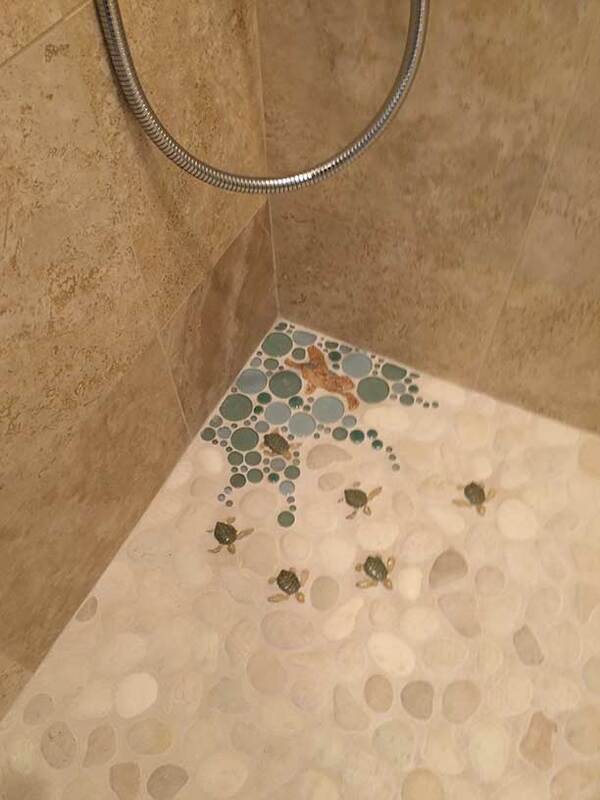 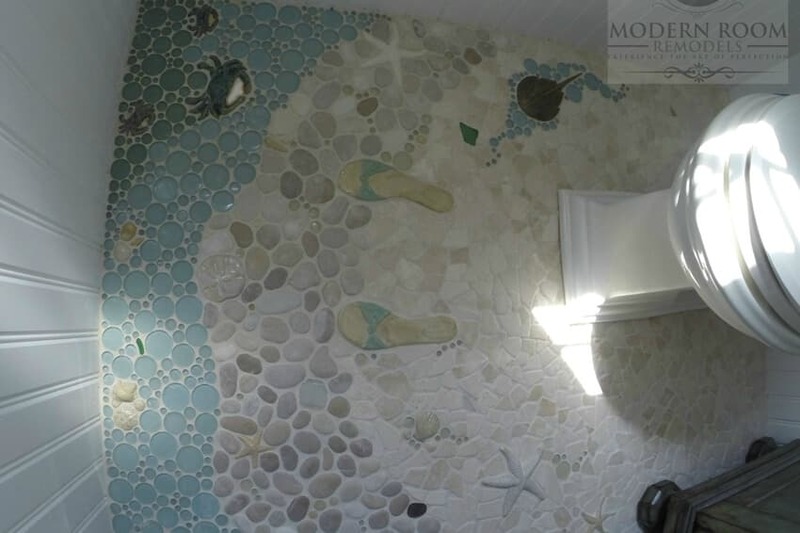 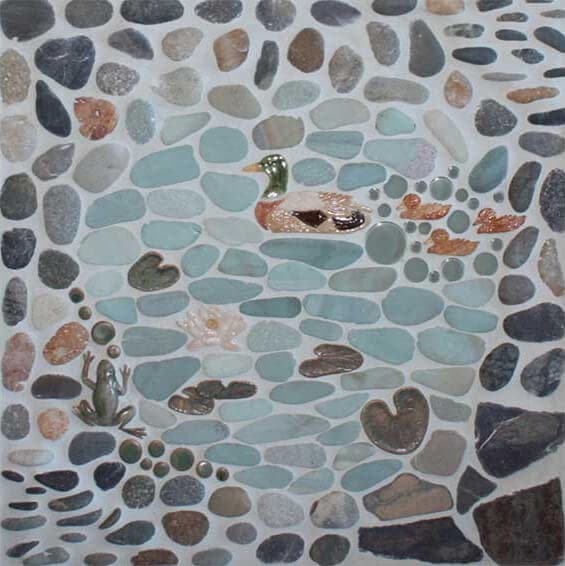 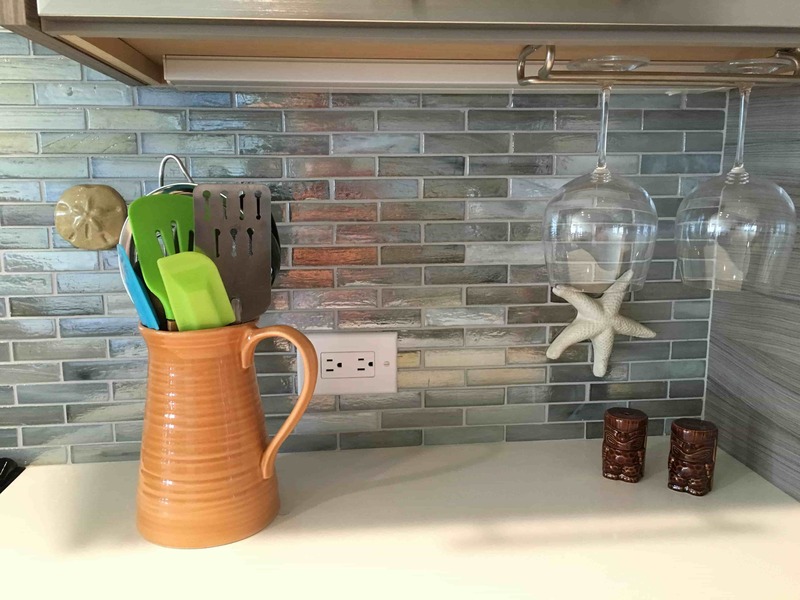 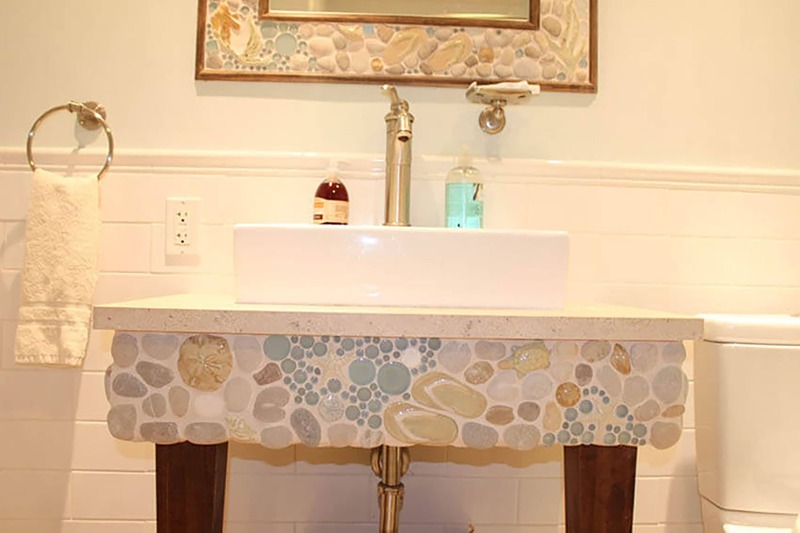 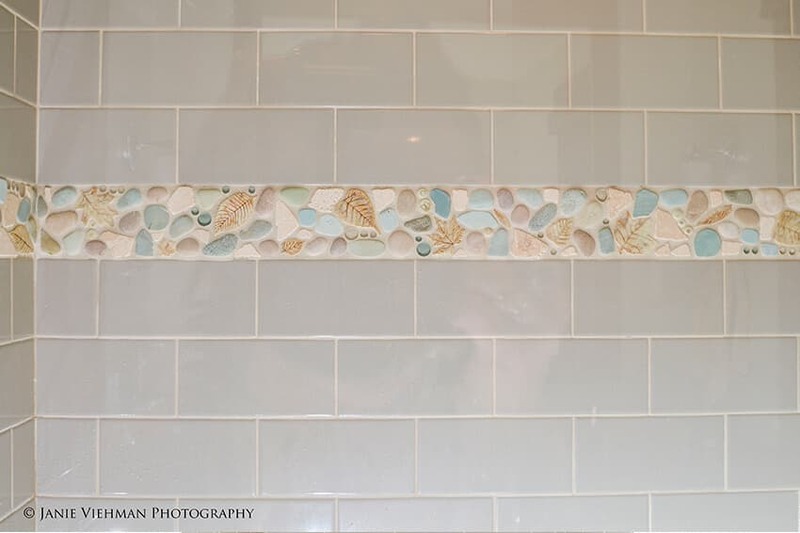 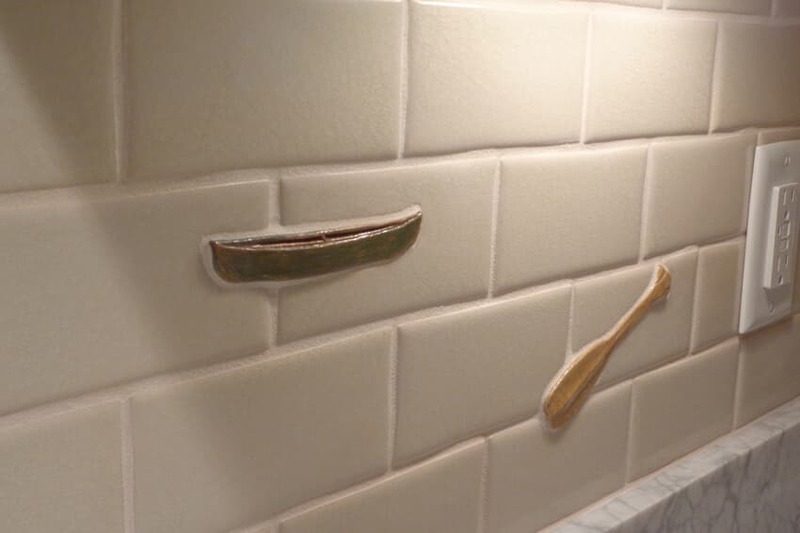 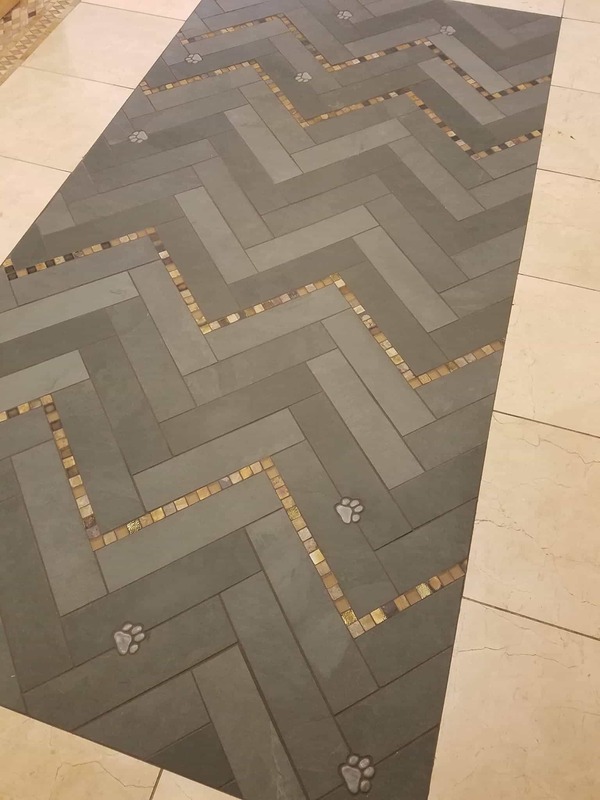 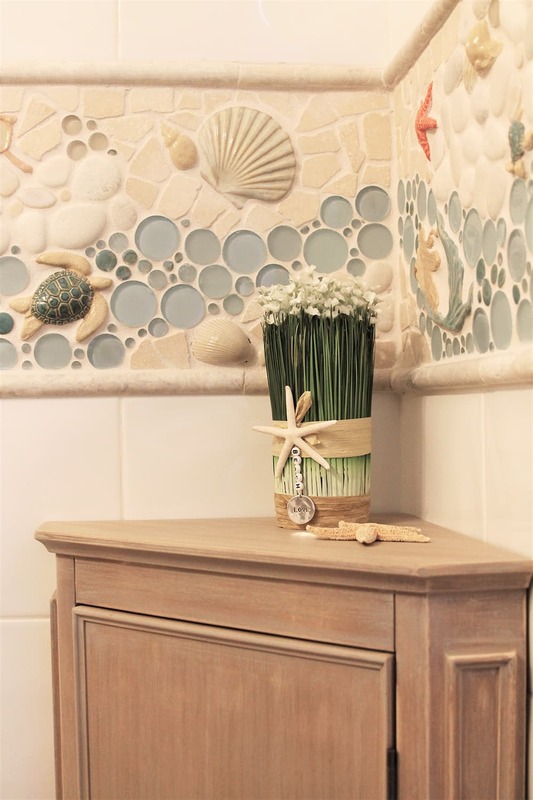 Check back soon for more tile ideas, as we are always adding new photos! 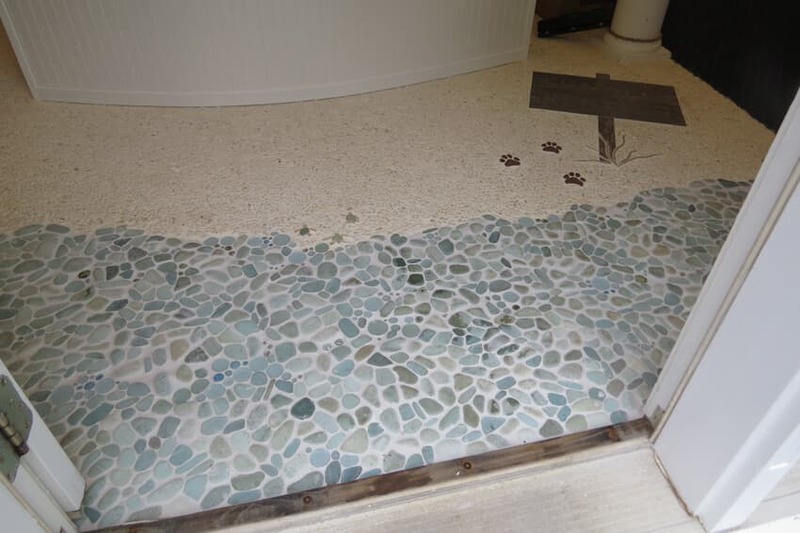 For more ideas and current trends, check out the Wet Dog Blog!